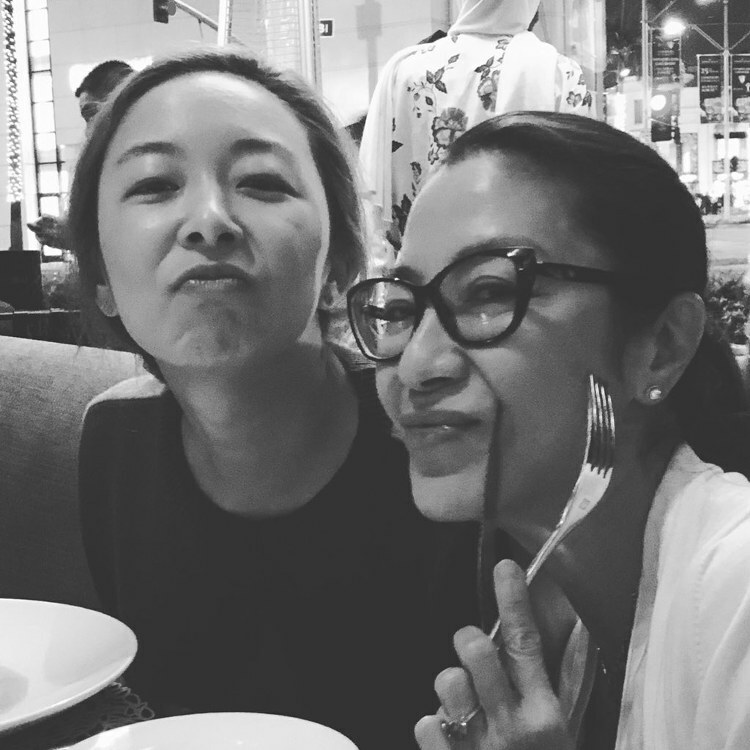 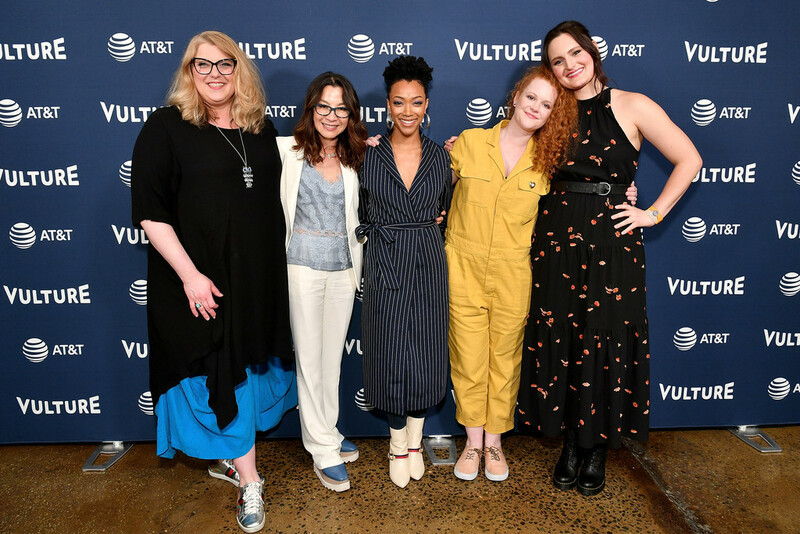 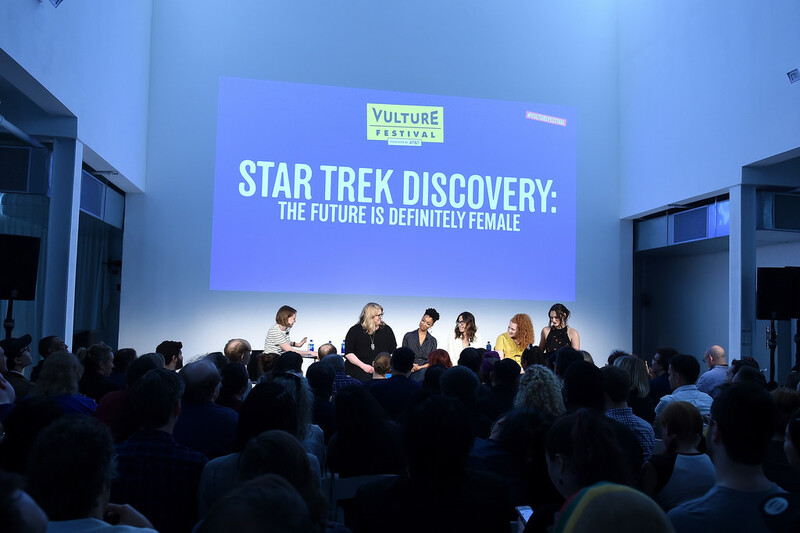 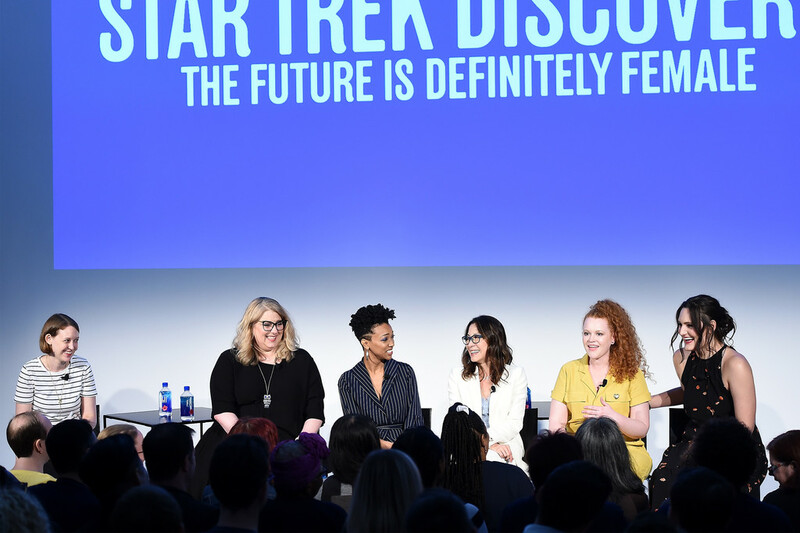 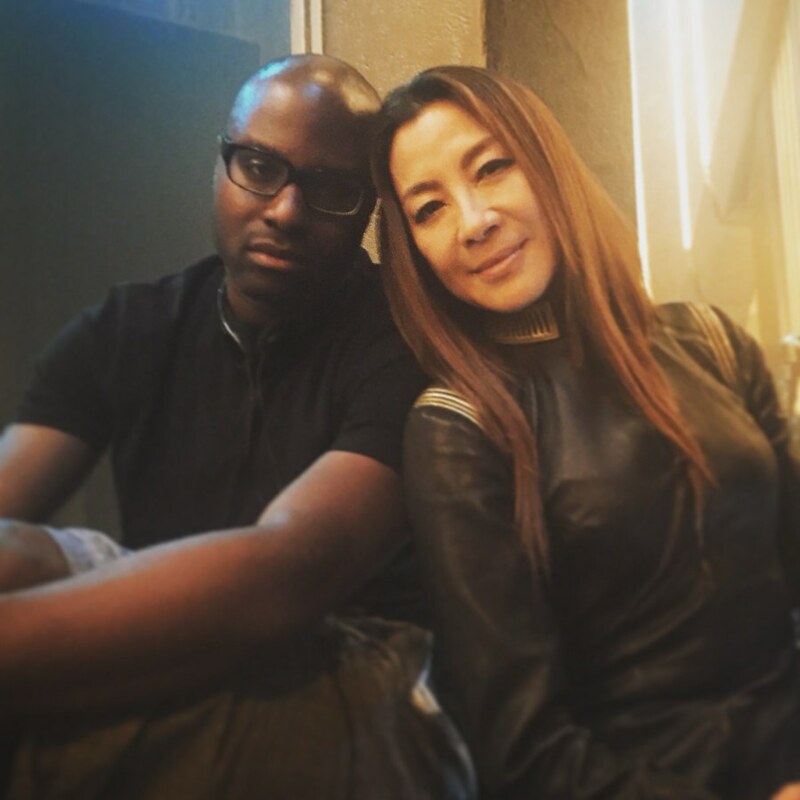 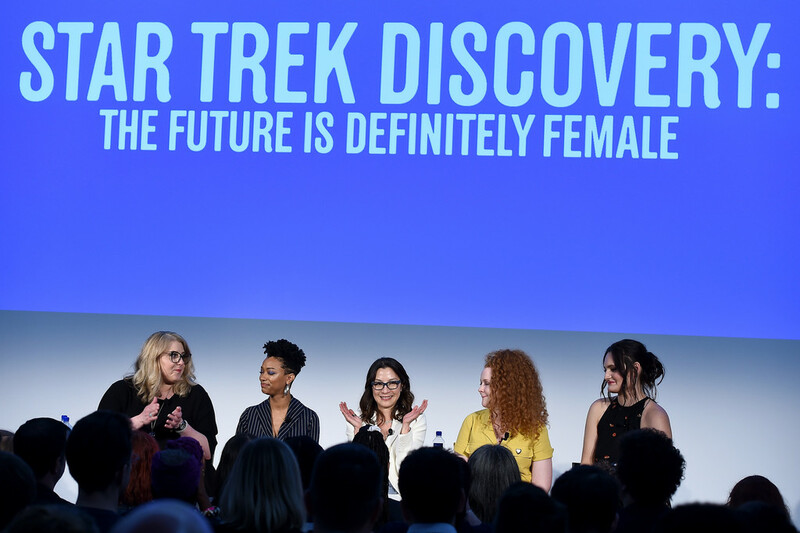 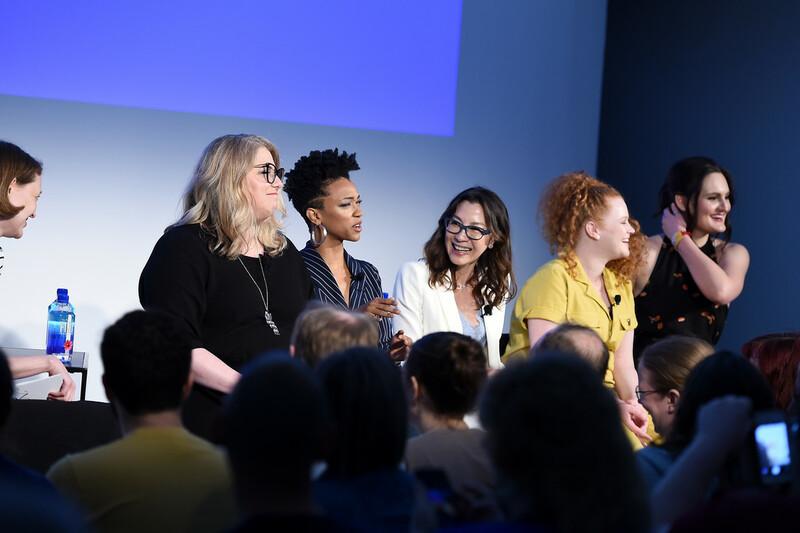 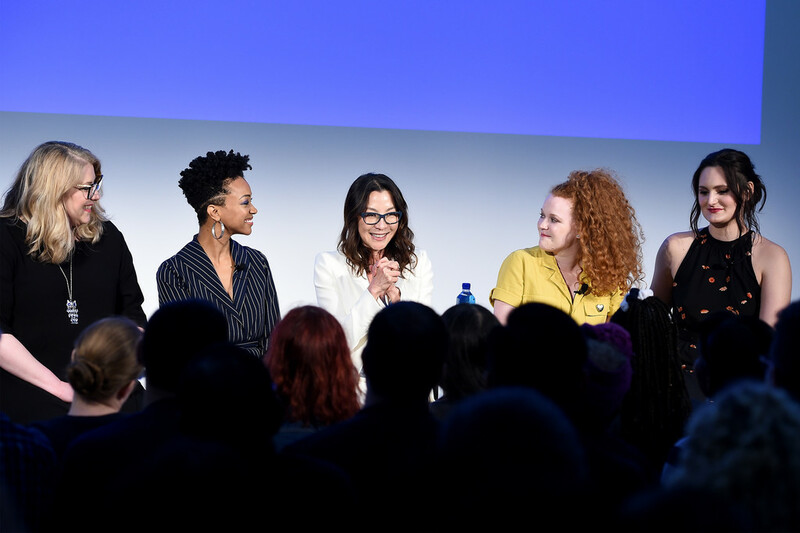 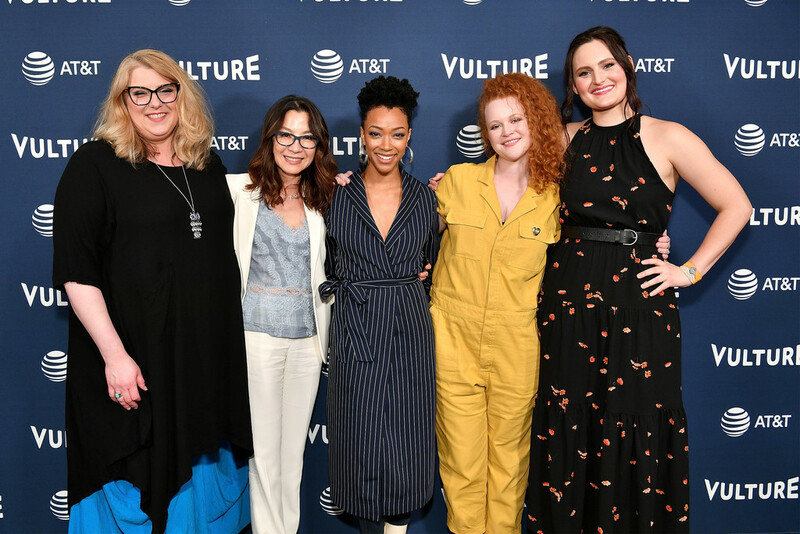 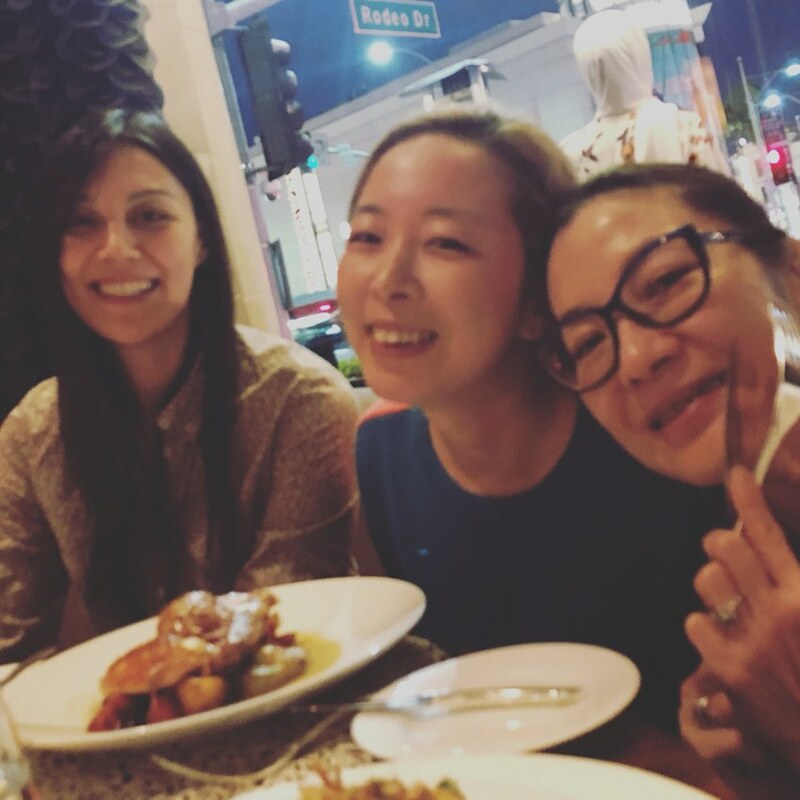 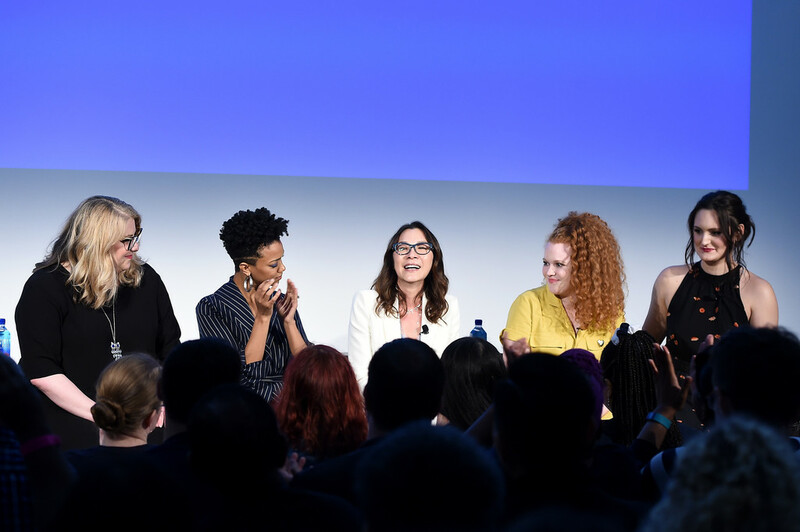 - Photos: Michelle with some of the Star Trek: Discovery writers. 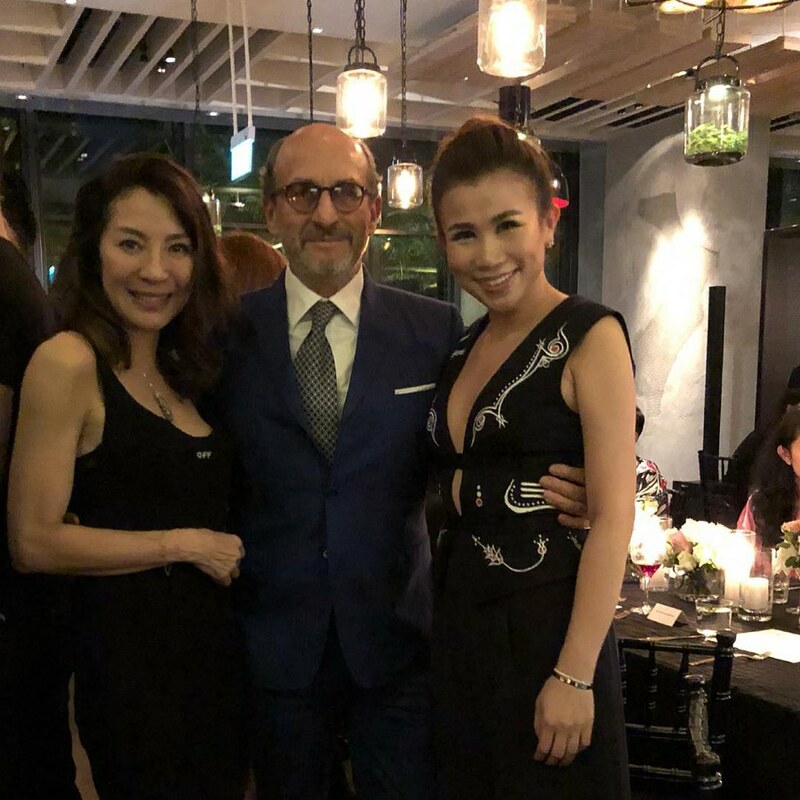 - Some earlier photos of Michelle, Henry Jacques Boutique, Singapore. 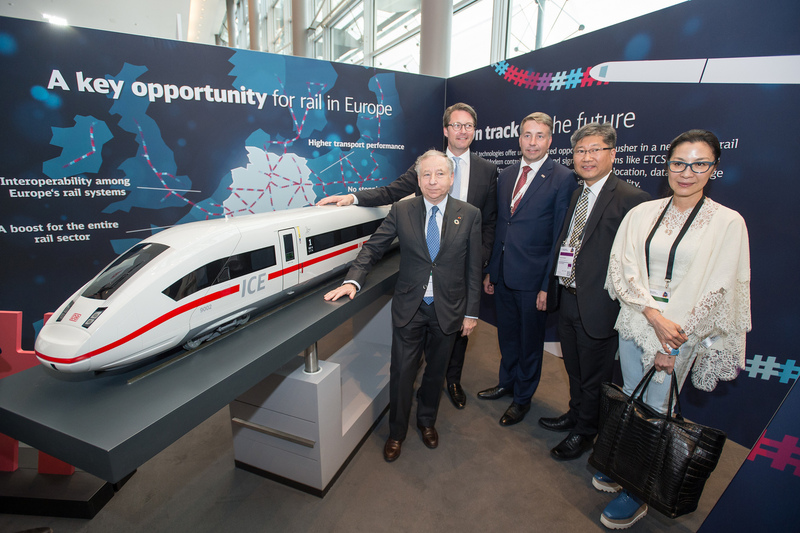 - More photos from Leipzig, Germany. 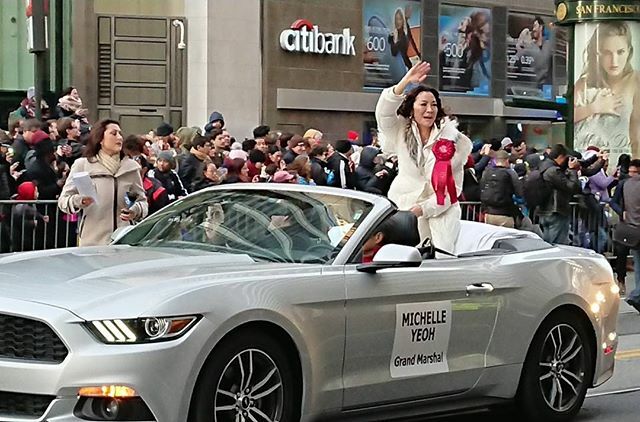 Michelle has flown to America from Europe. 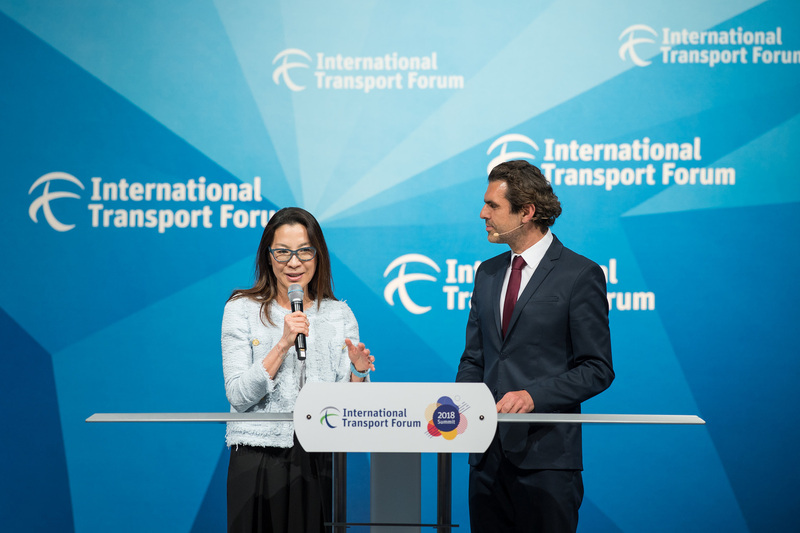 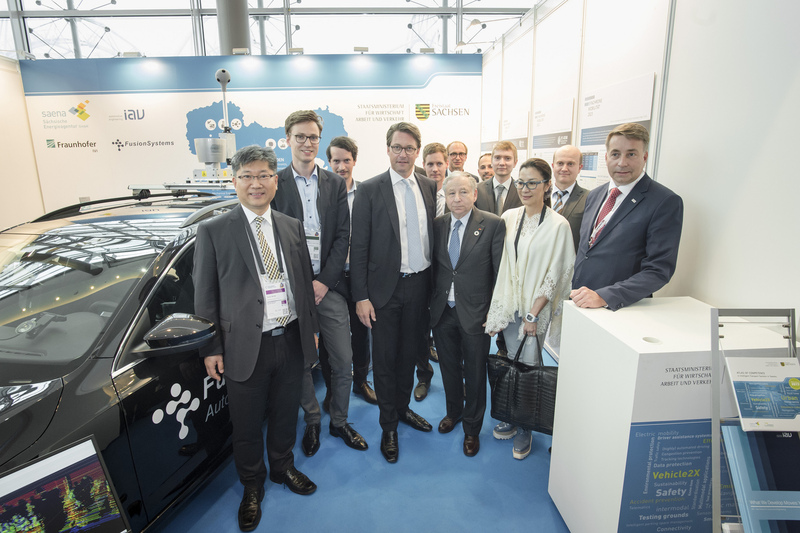 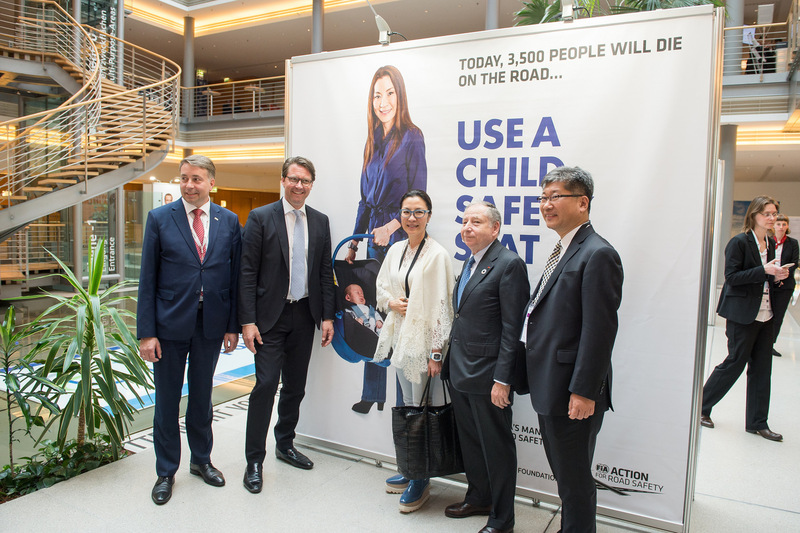 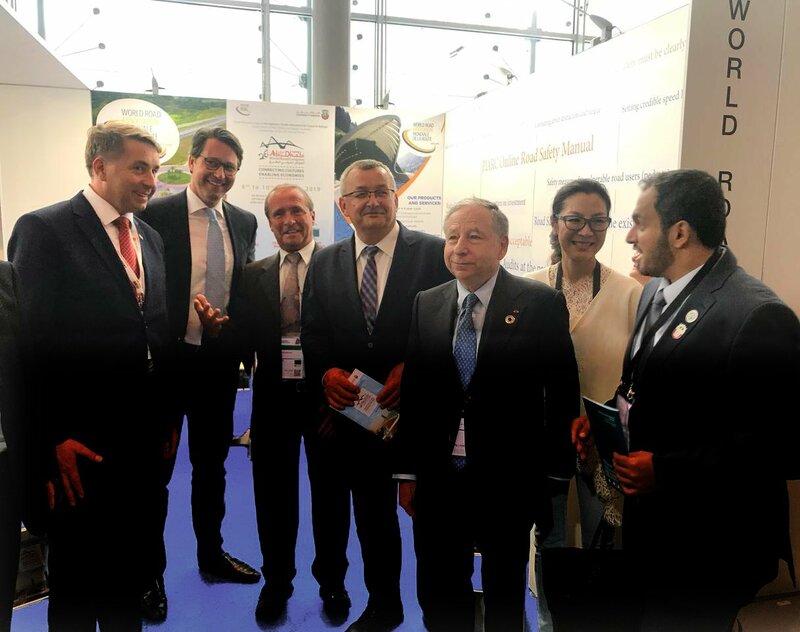 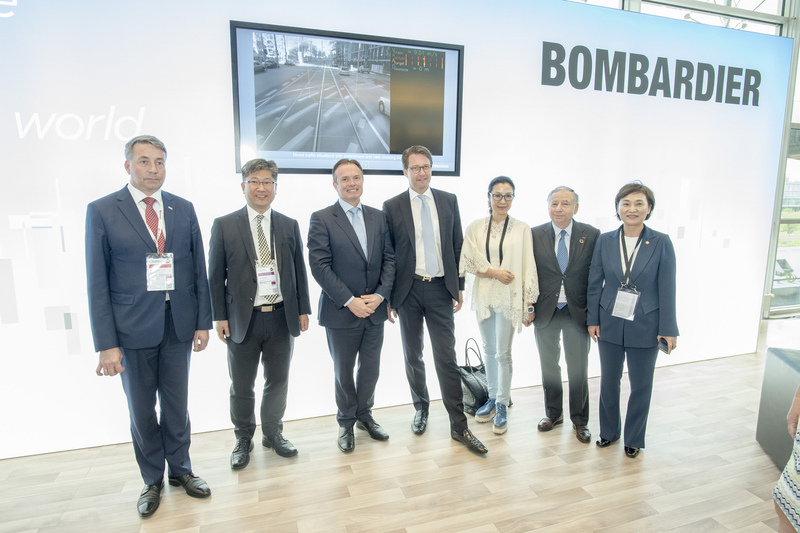 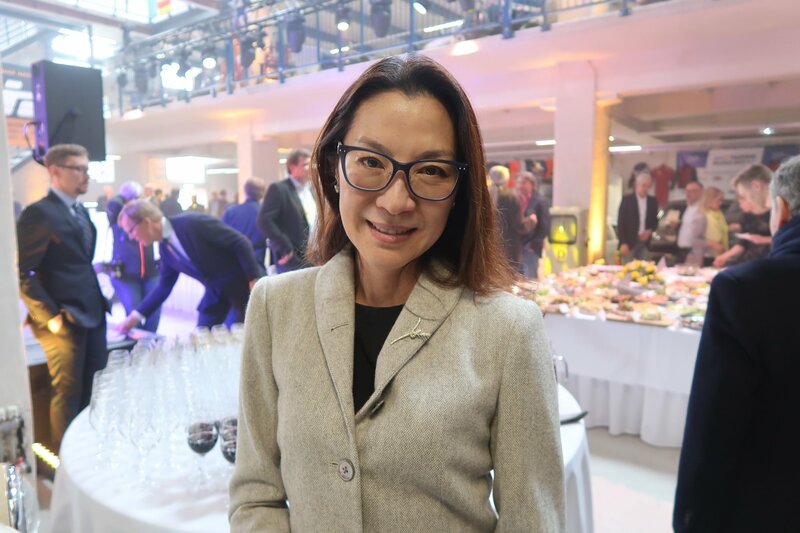 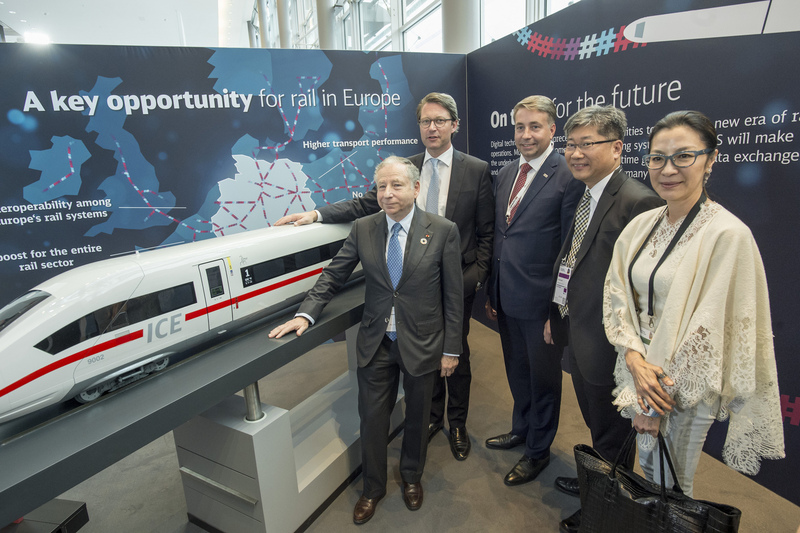 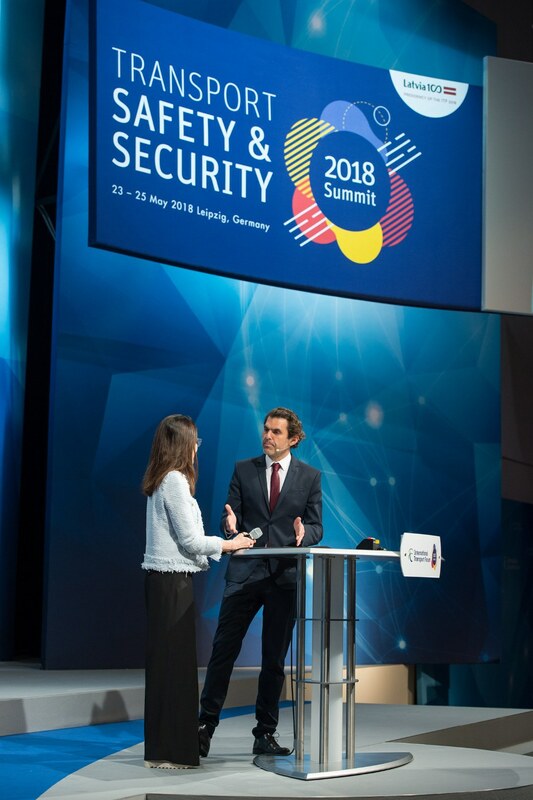 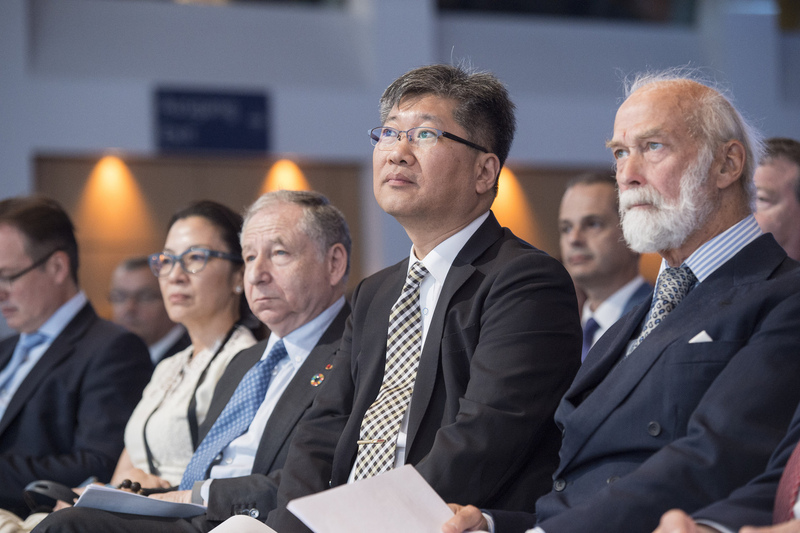 - Photos: Michelle attending the 2018 International Transport Forum (ITF) Summit, "Transport Safety and Security" (May 23 - 25), in Leipzig, Germany. 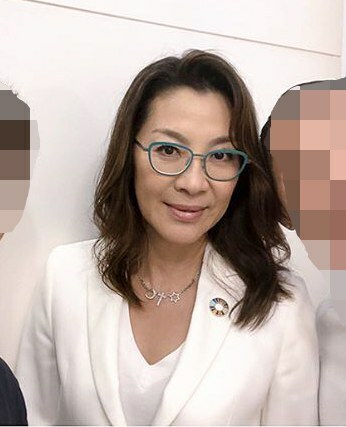 She will be one of the speakers. 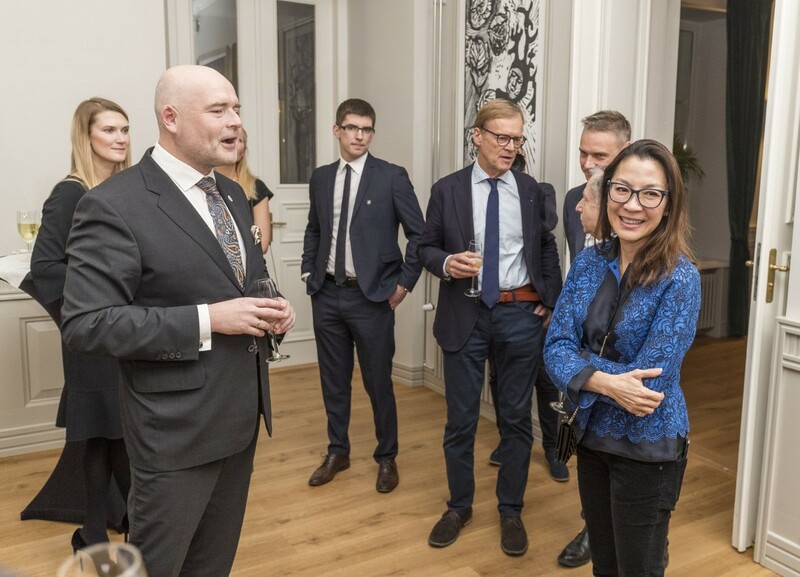 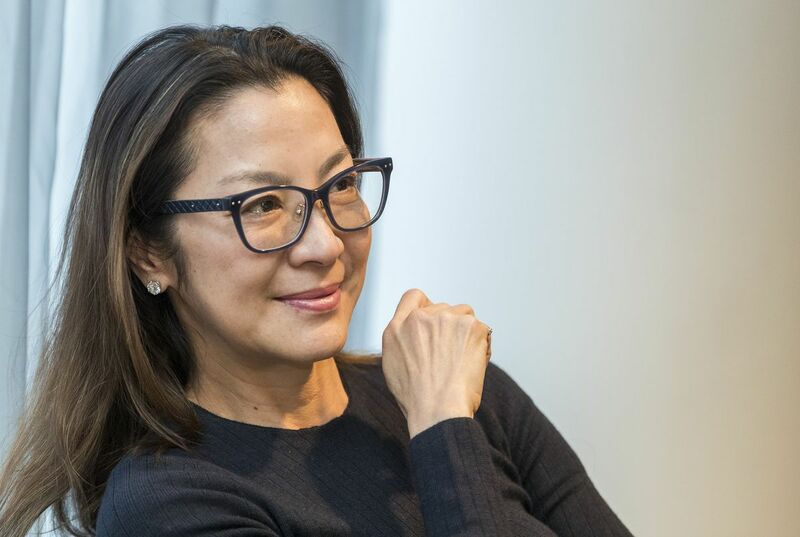 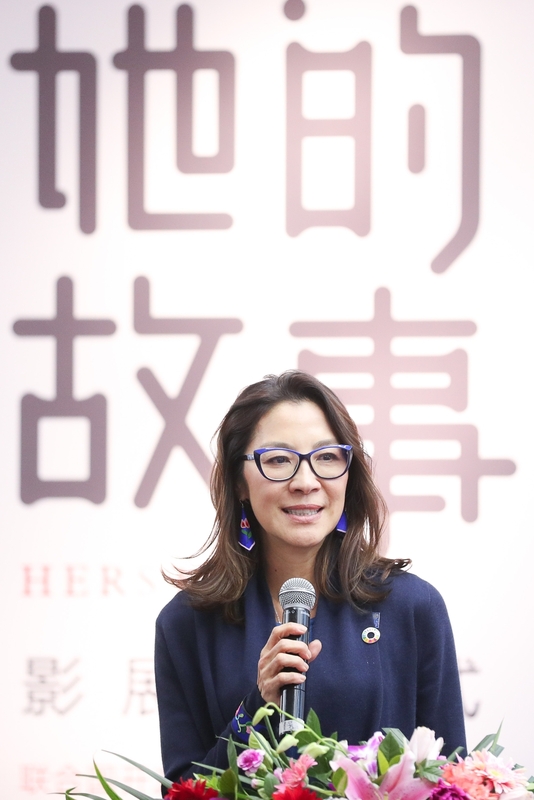 Michelle will launch "Made in Forests", a short story on sustainable fashion, at UN's High-level Political Forum on Sustainable Development (HLPF) on July 16 in New York. 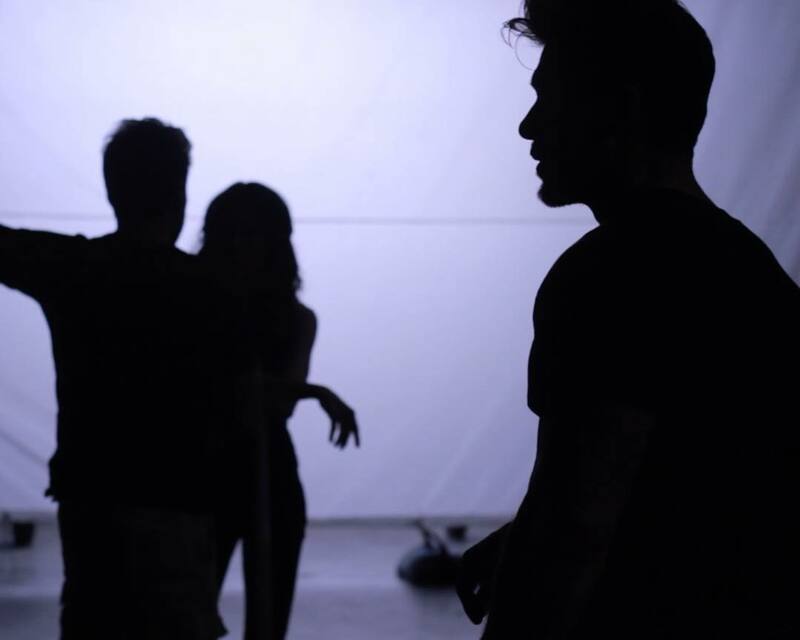 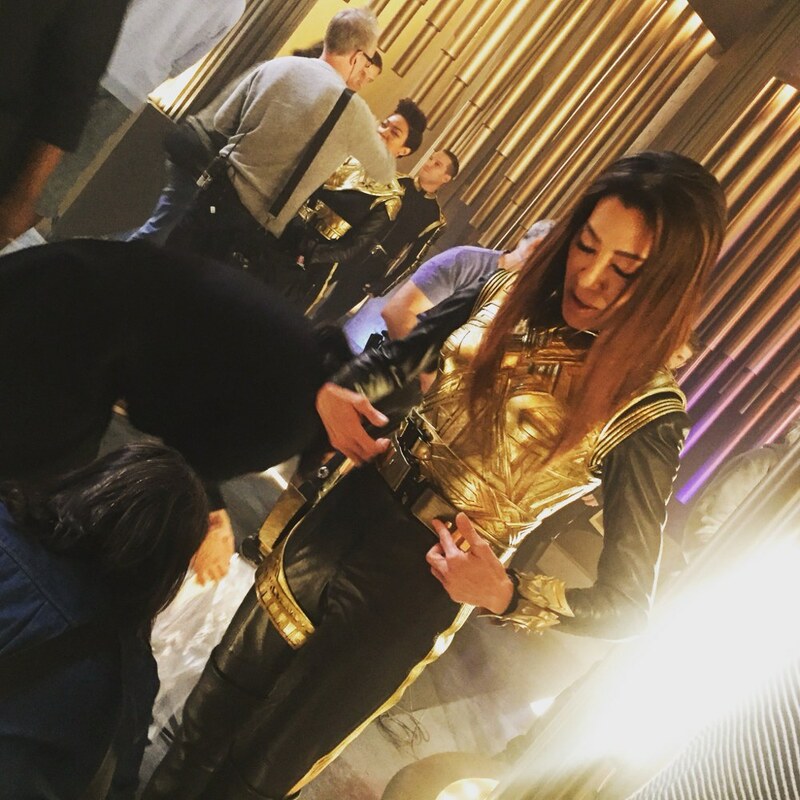 - From Boss Level filming in Atlanta. 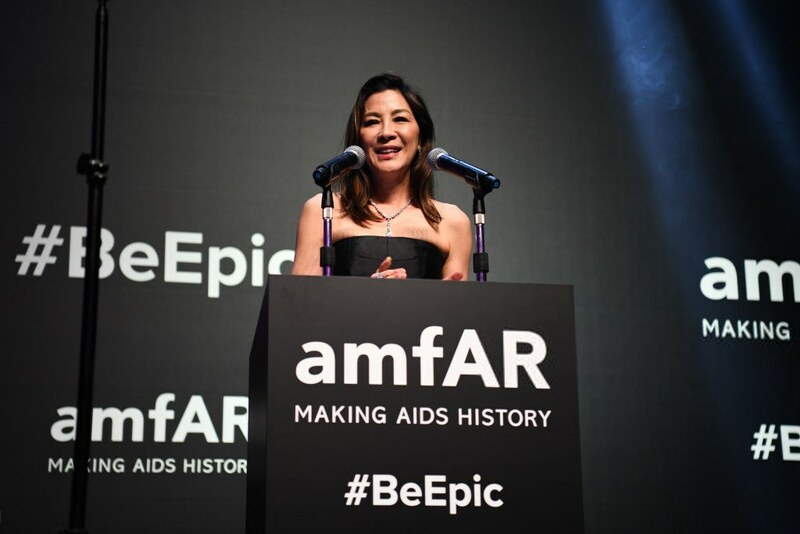 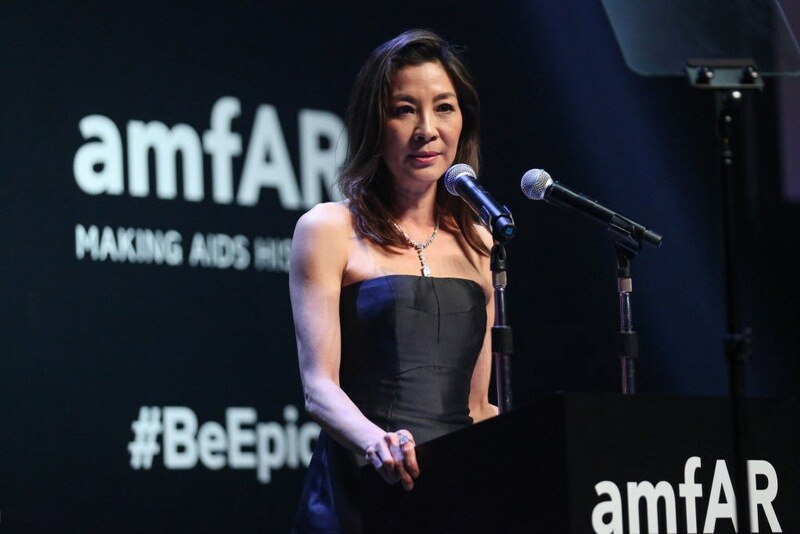 - Michelle will be a honorary chair for this year's amfAR benefit Gala during the Cannes International Film Festival, May 17th. 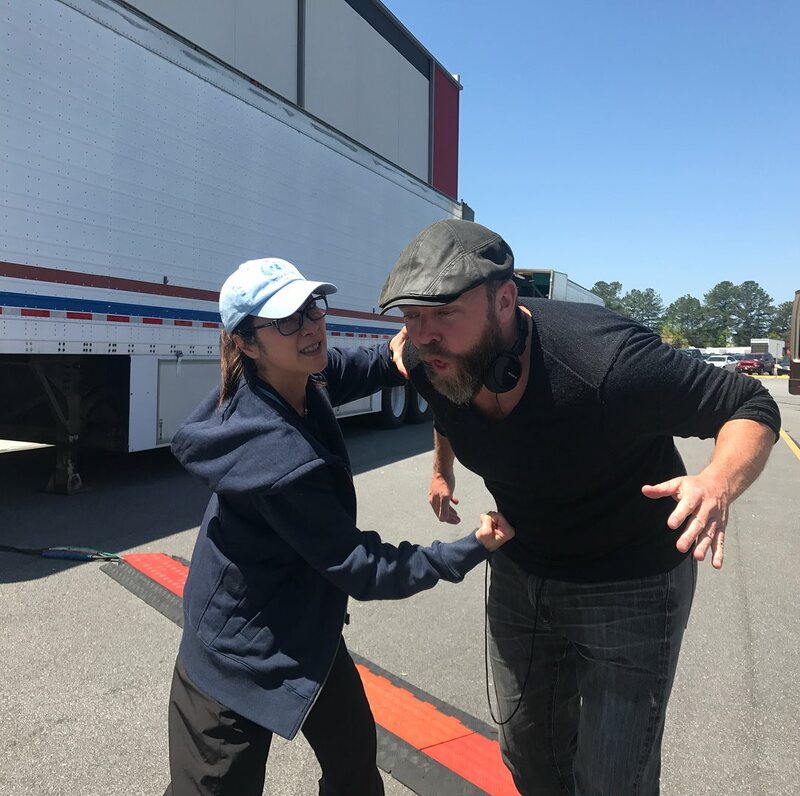 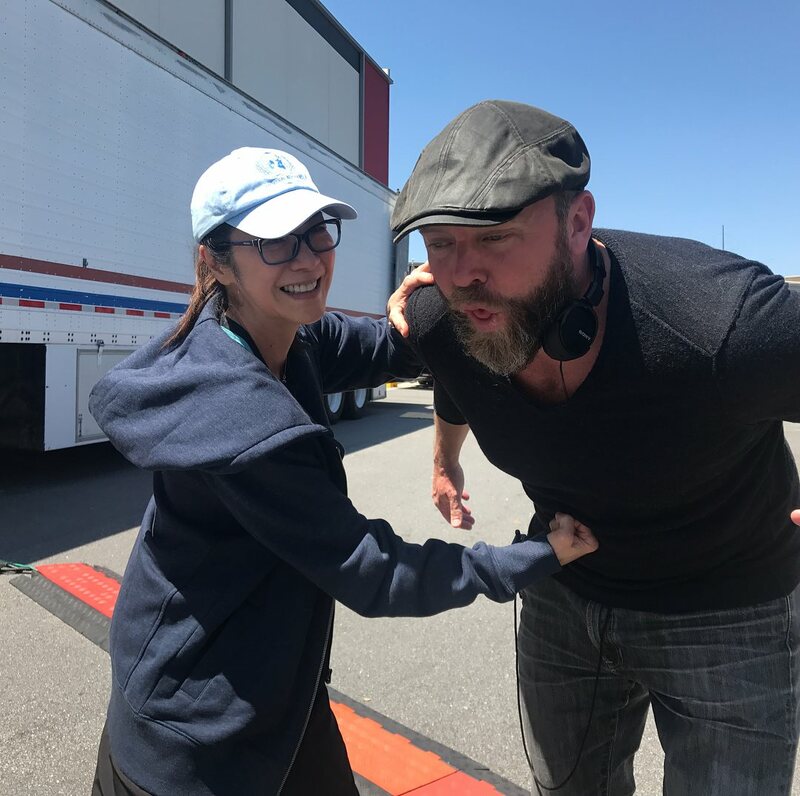 - With director Joe Carnahan of Boss Level which has been filming in Atlanta, Georgia. 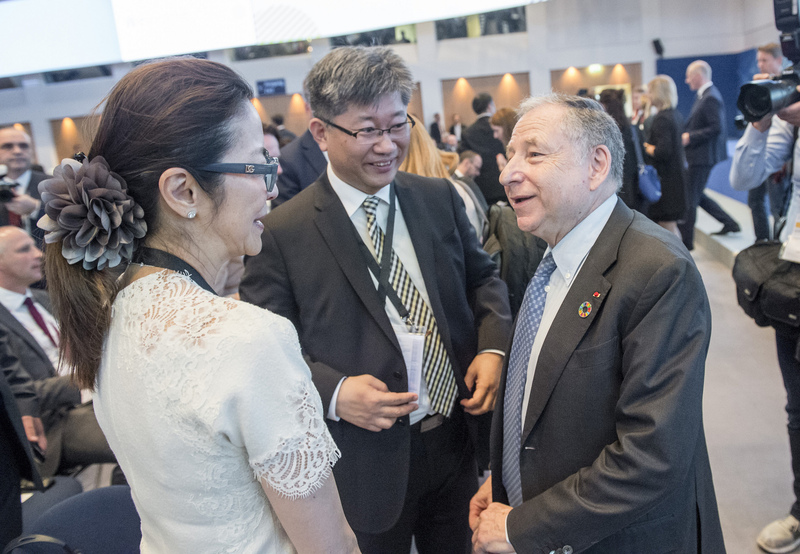 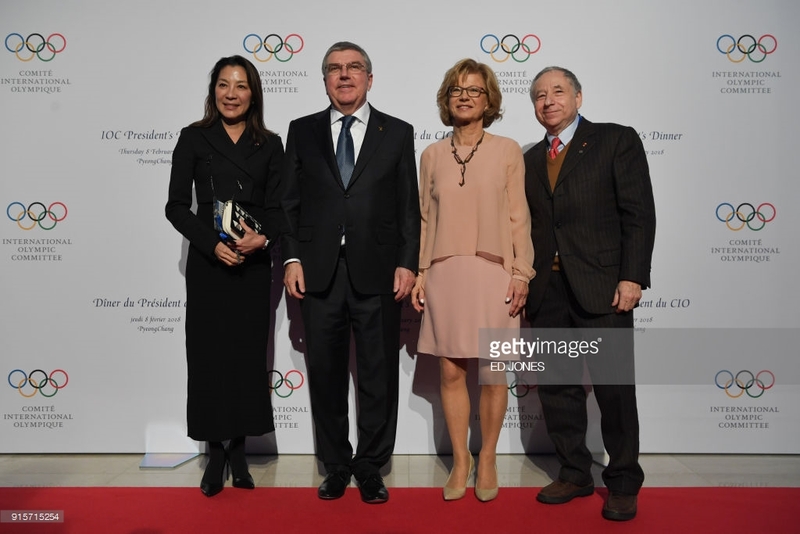 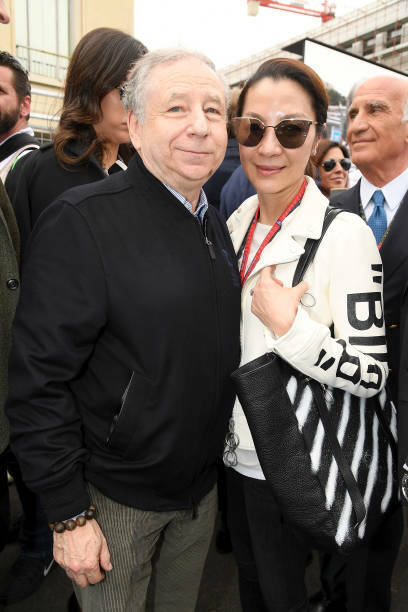 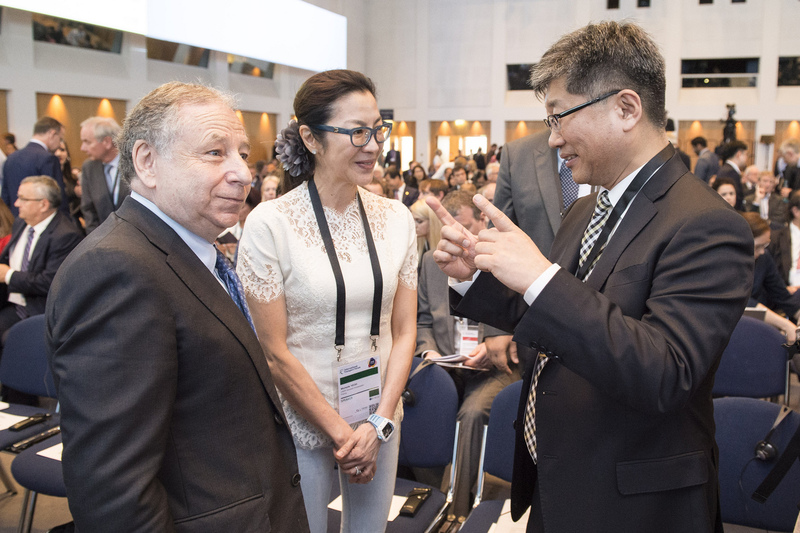 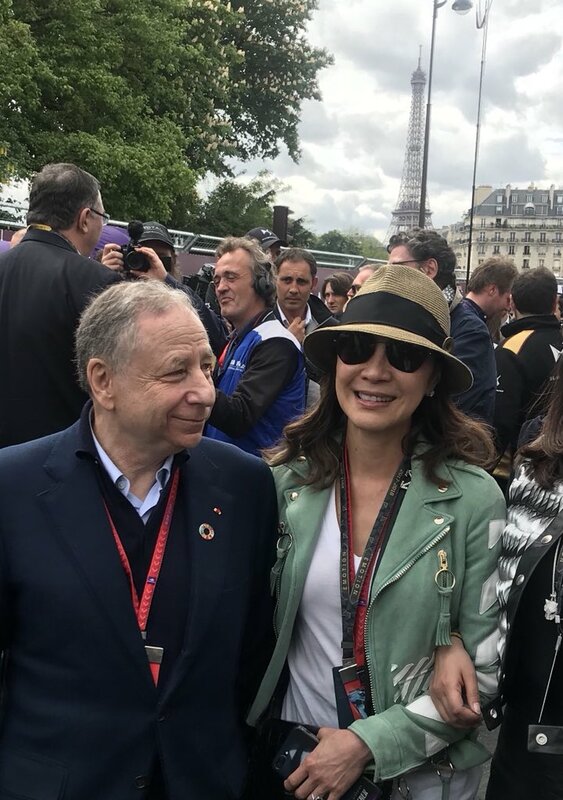 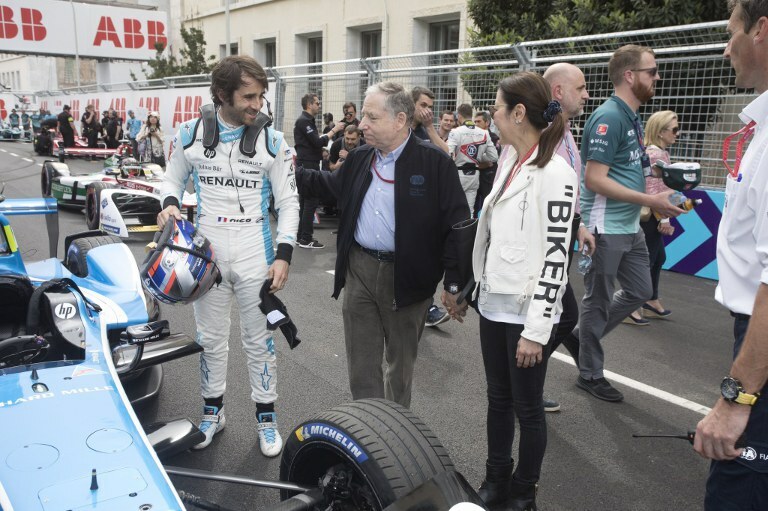 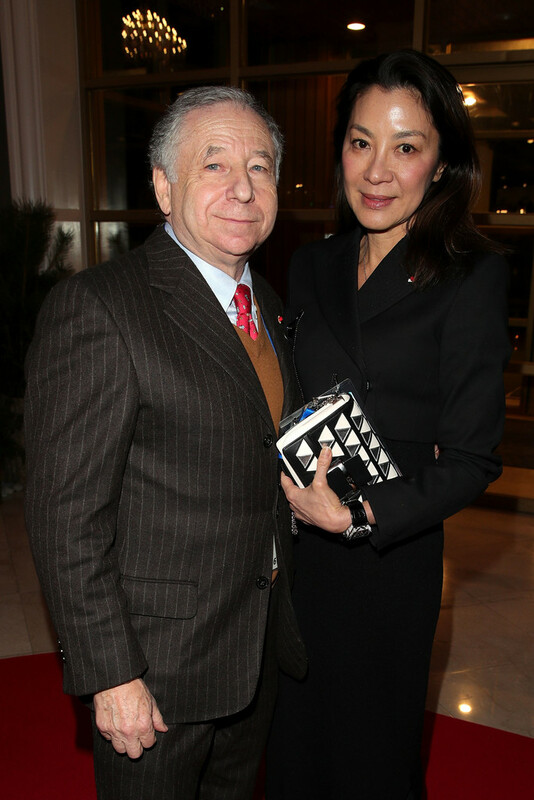 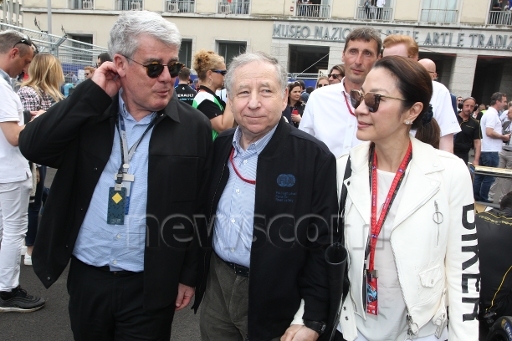 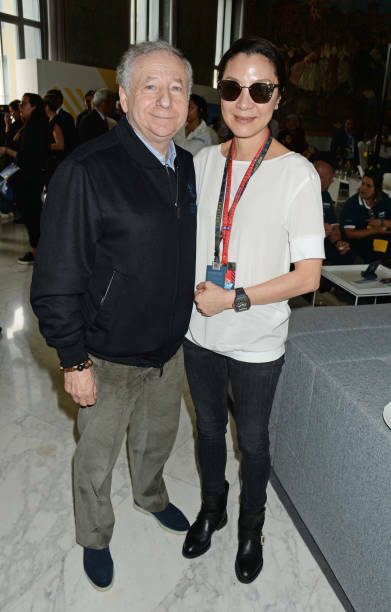 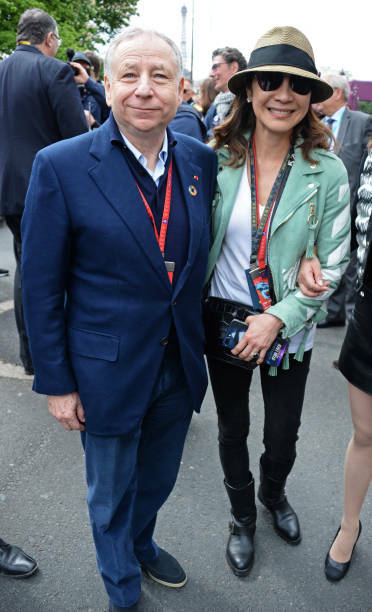 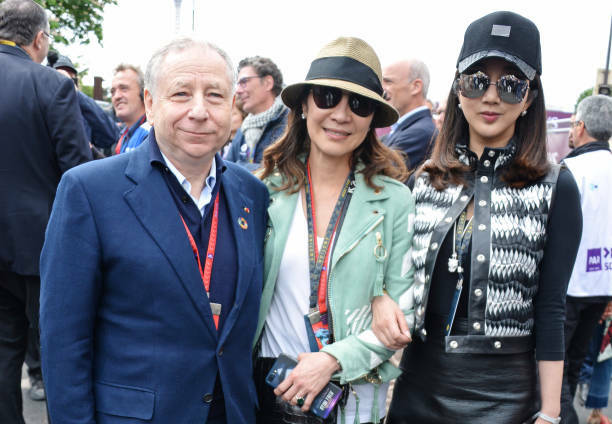 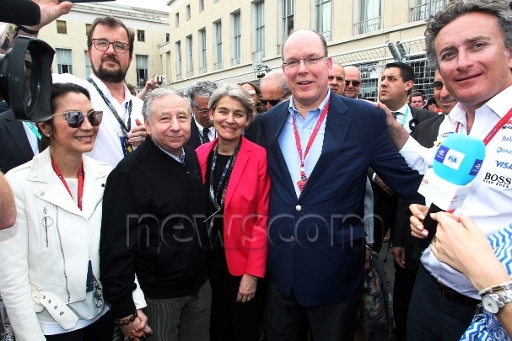 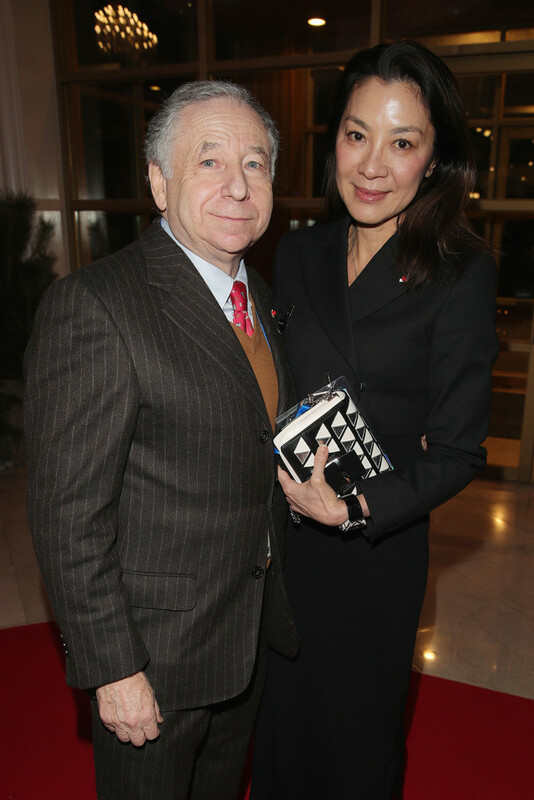 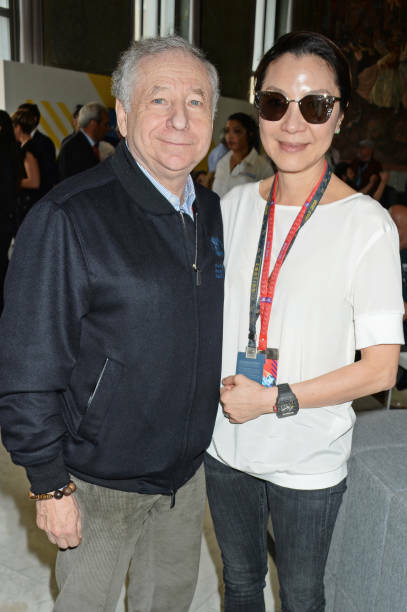 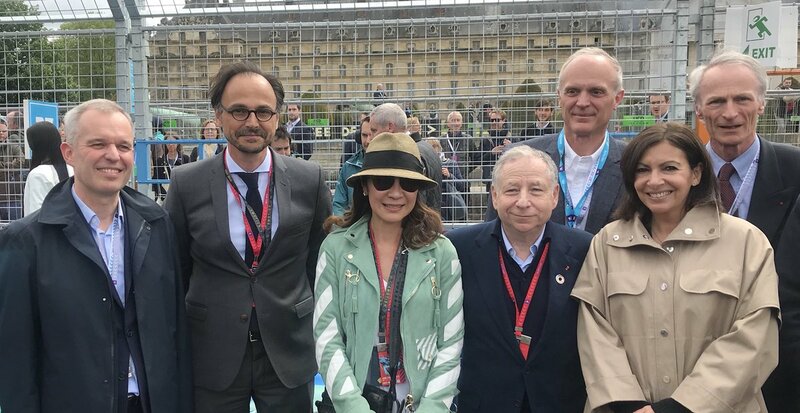 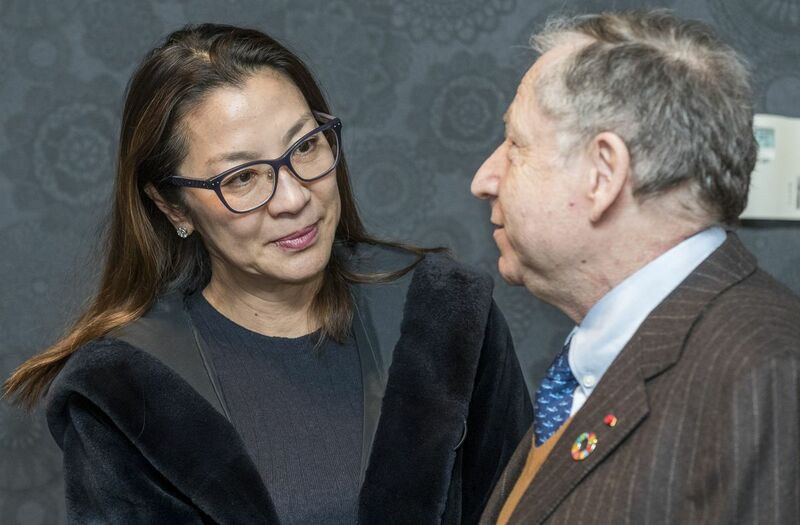 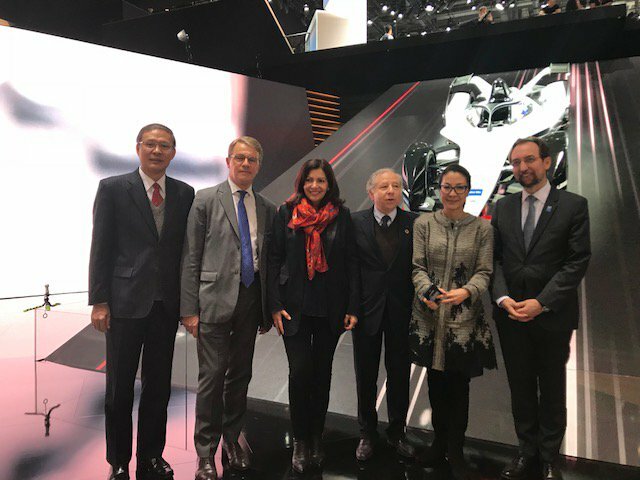 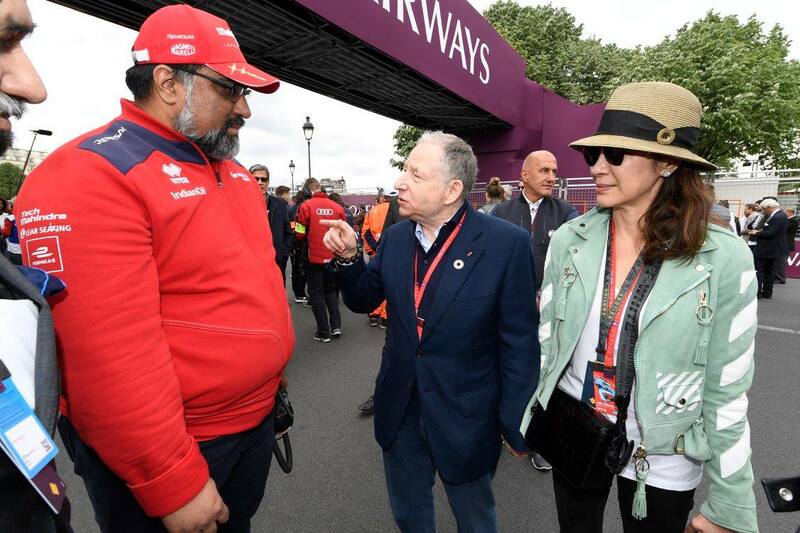 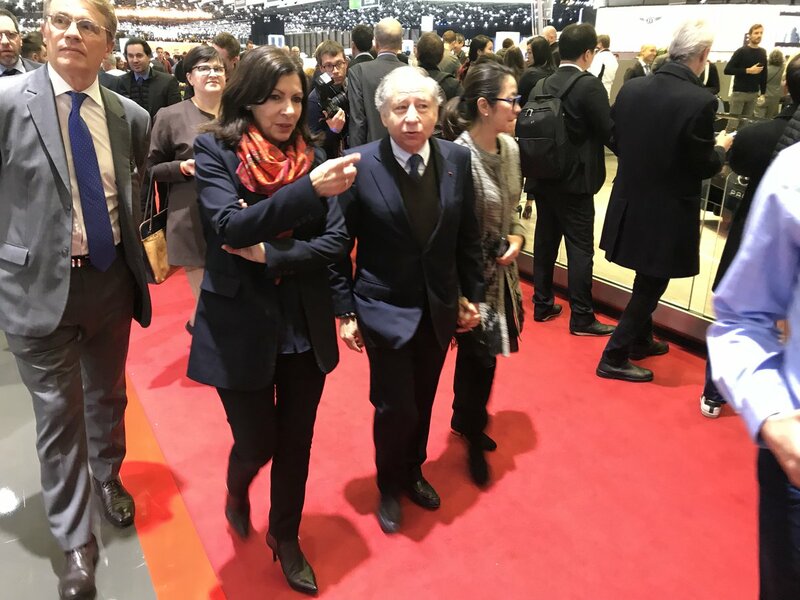 - News photos: Michelle and Jean Todt at the ABB FIA Formula E Championship, Paris, France, April 28th. 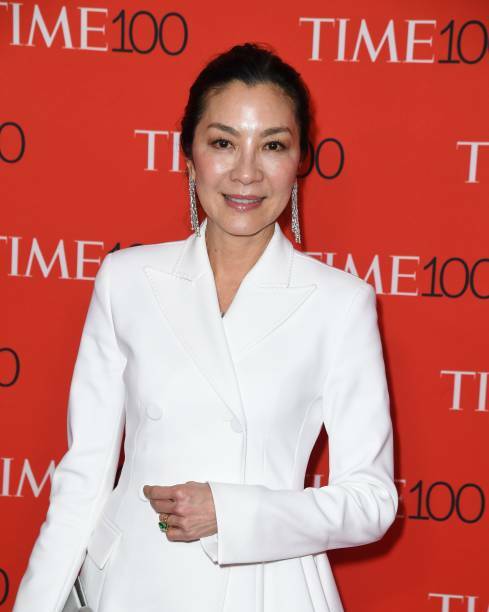 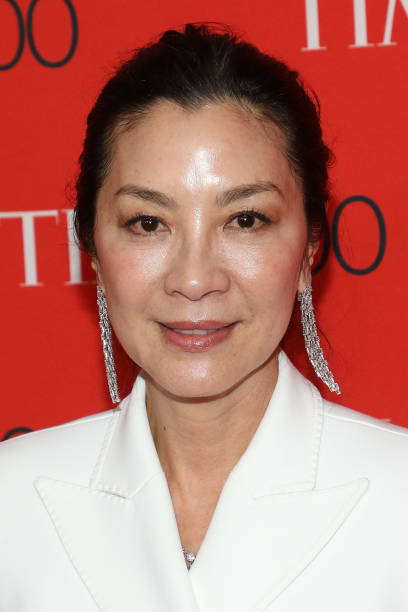 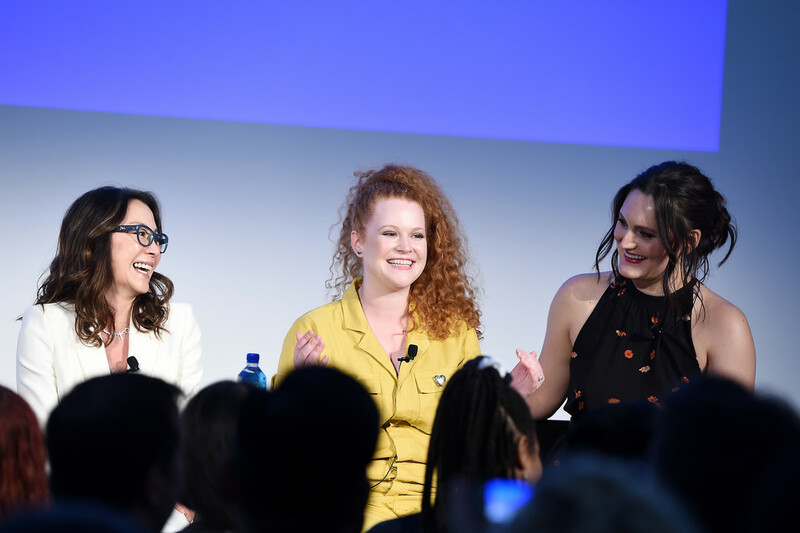 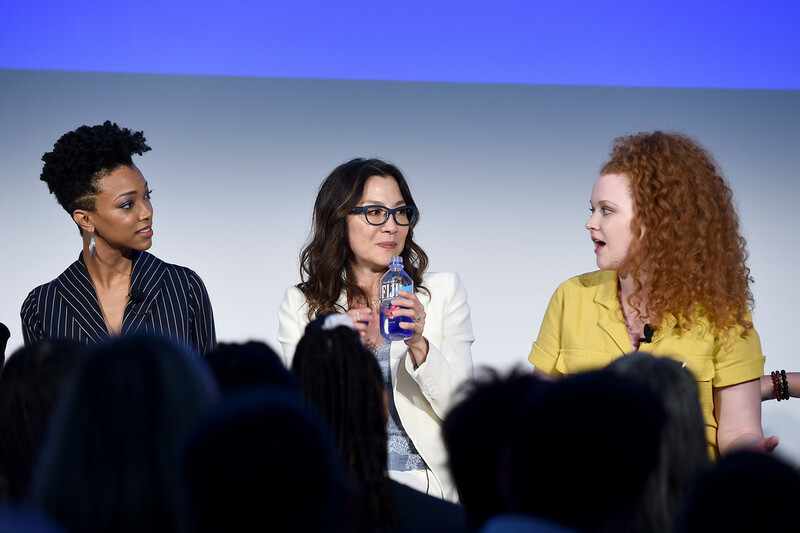 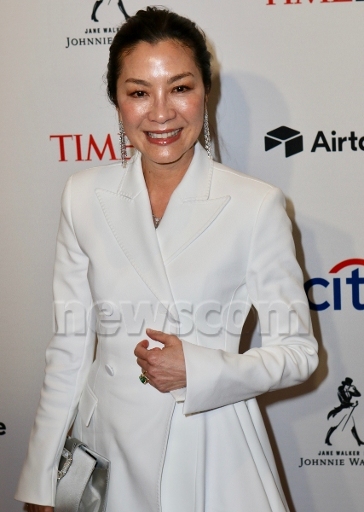 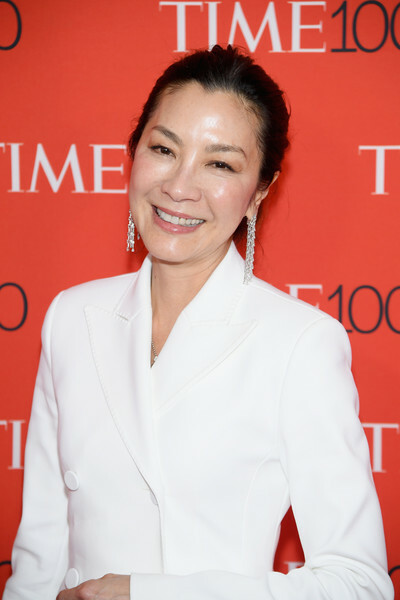 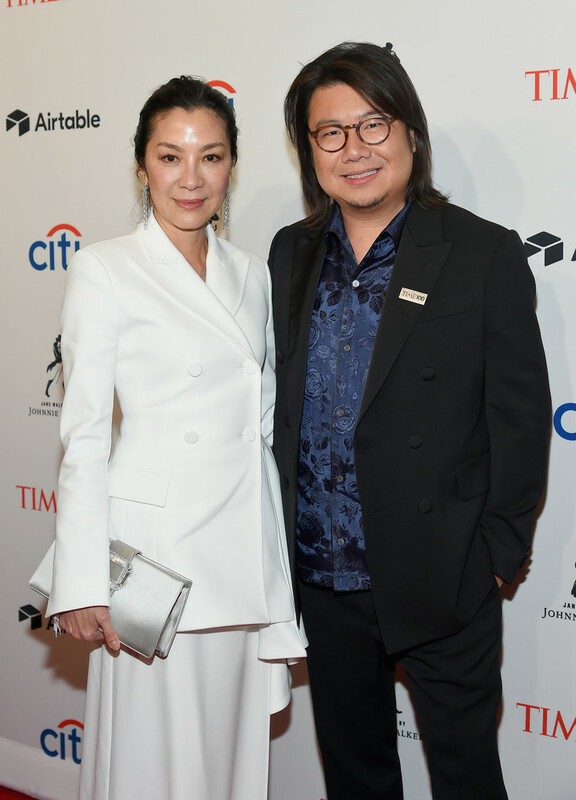 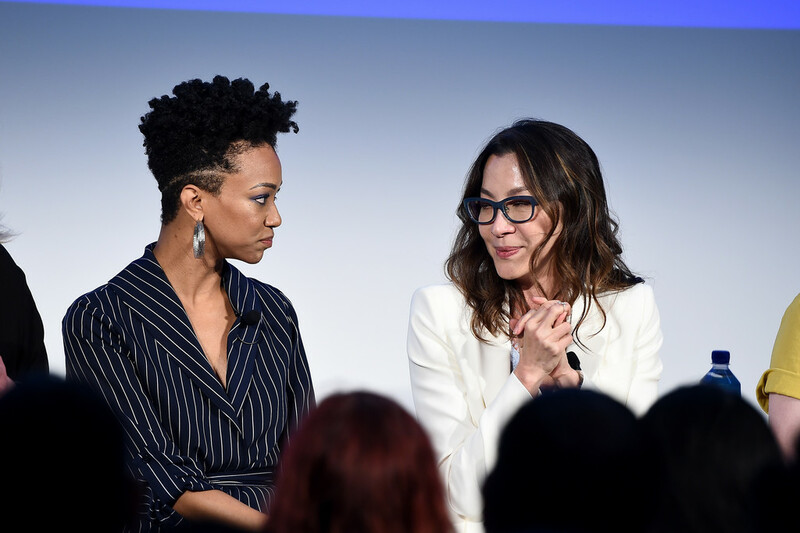 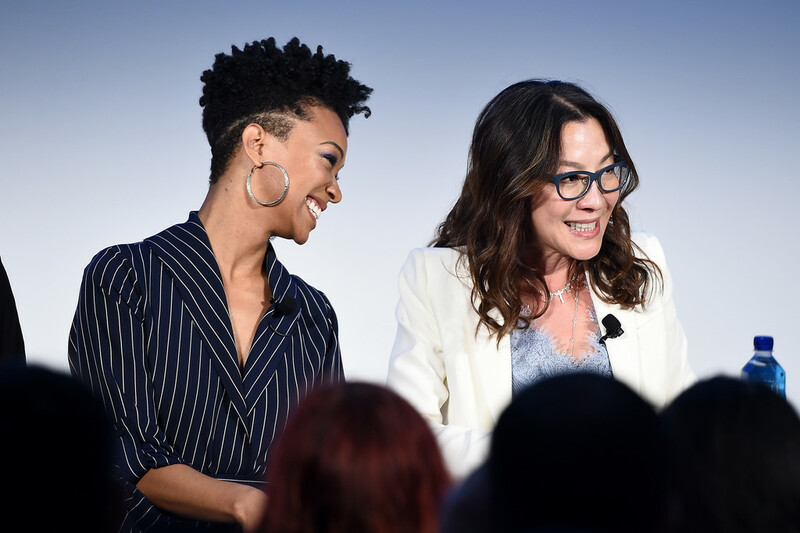 - News photos: Michelle attending the Time 100 Gala 2018, Lincoln Center, New York City, April 24th. 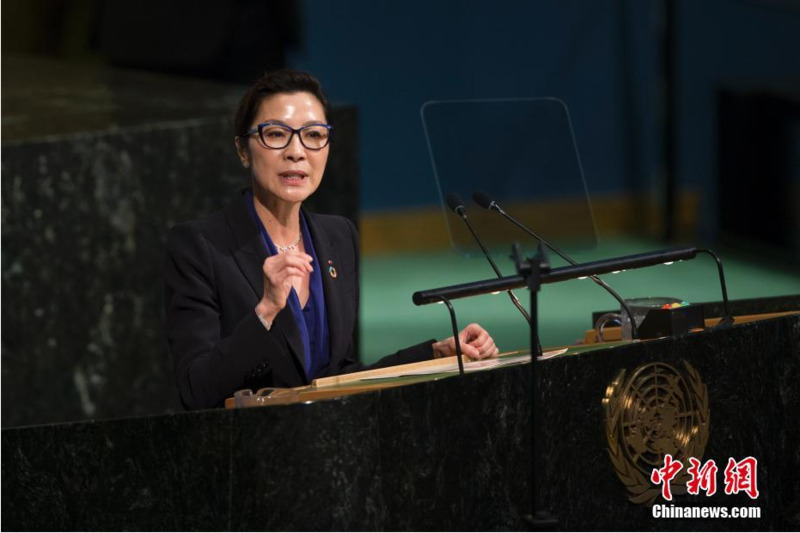 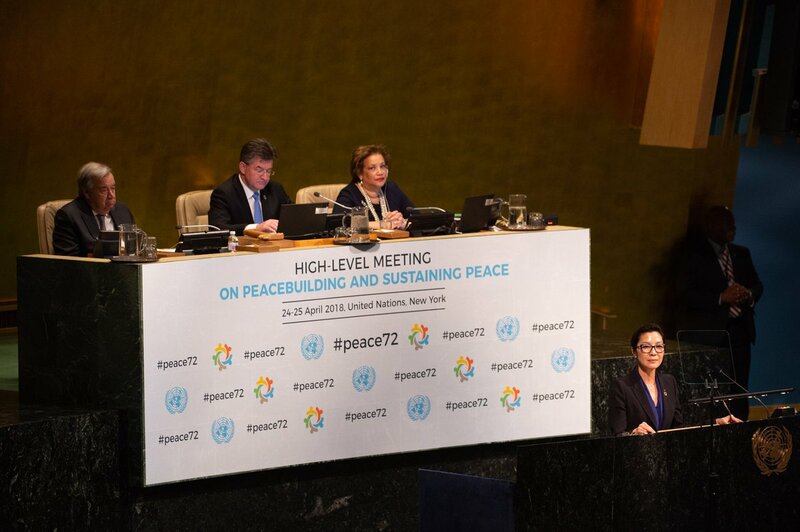 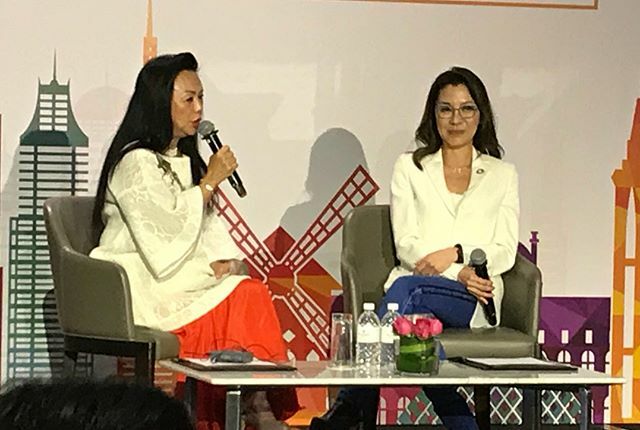 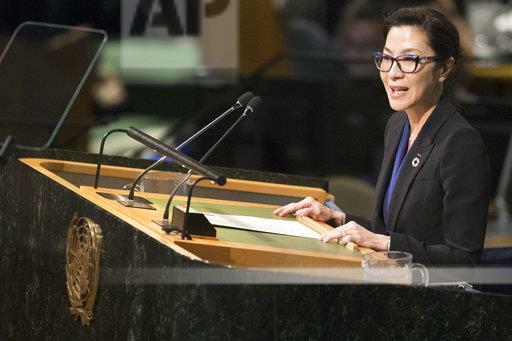 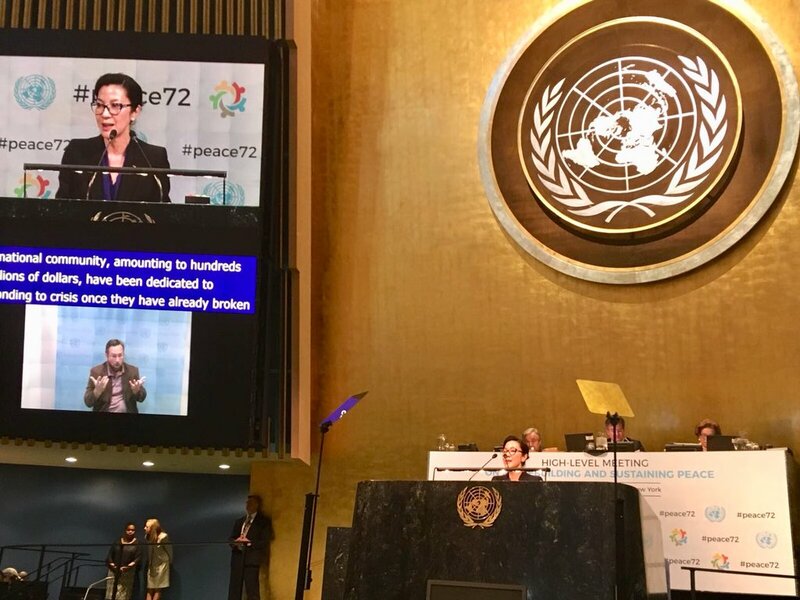 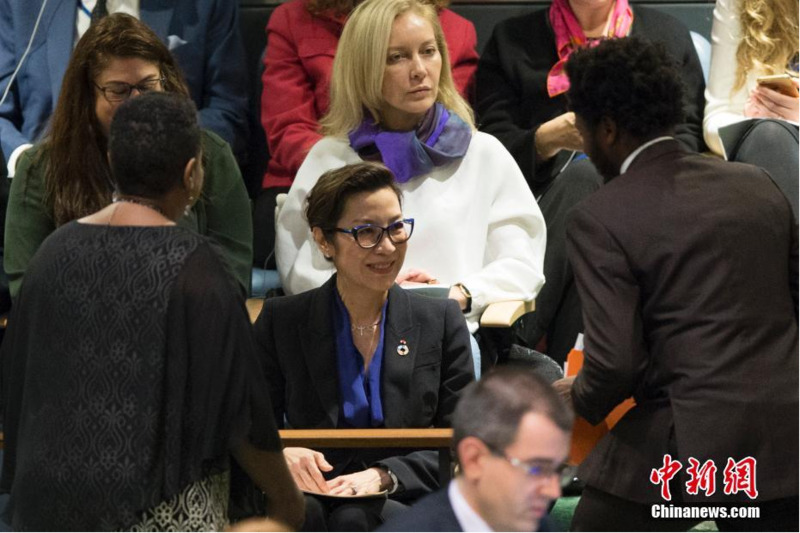 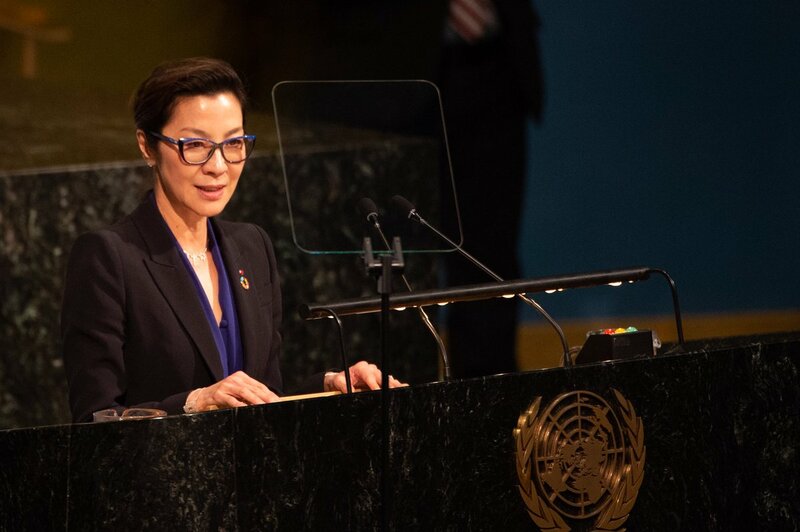 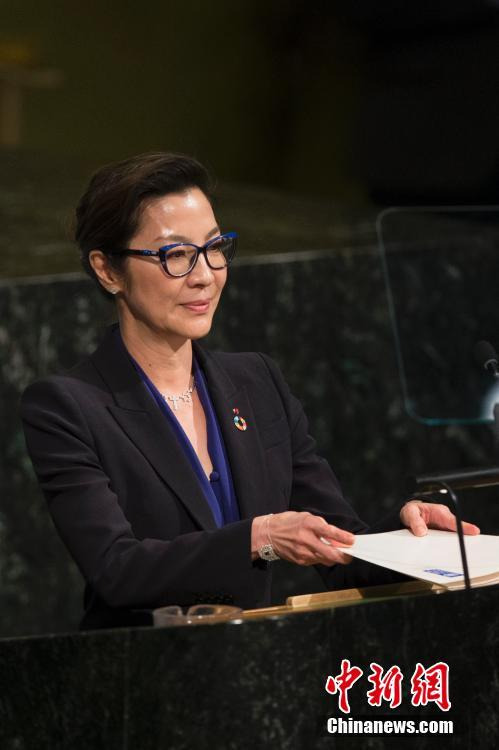 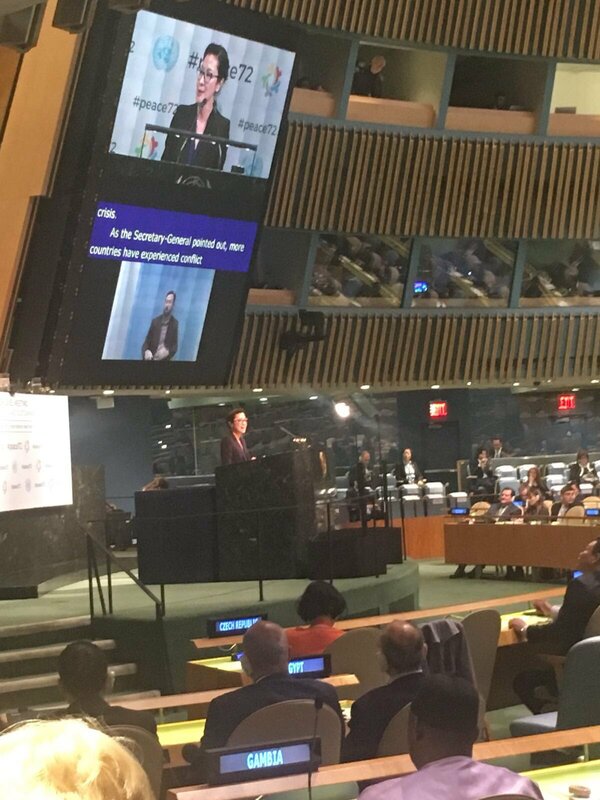 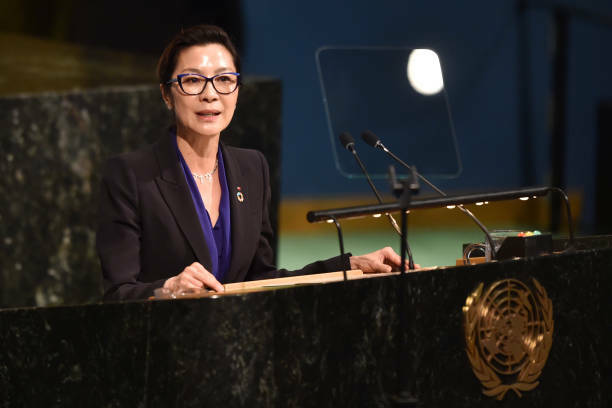 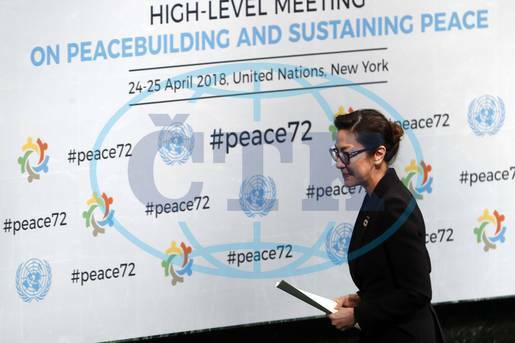 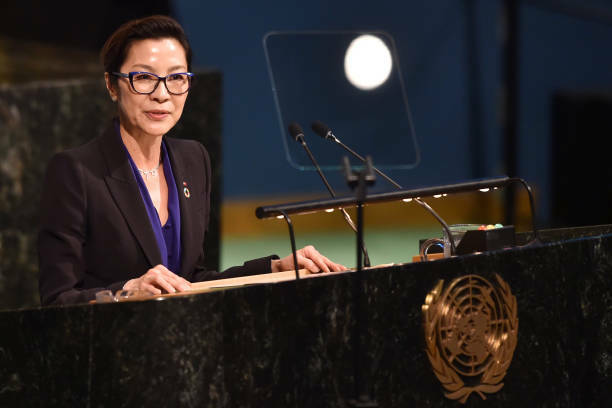 - Michelle, UNDP Goodwill Ambassador, speaks during the High-level Meeting on Peacebuilding and Sustaining Peace at United Nations Headquarters in New York, April 24. 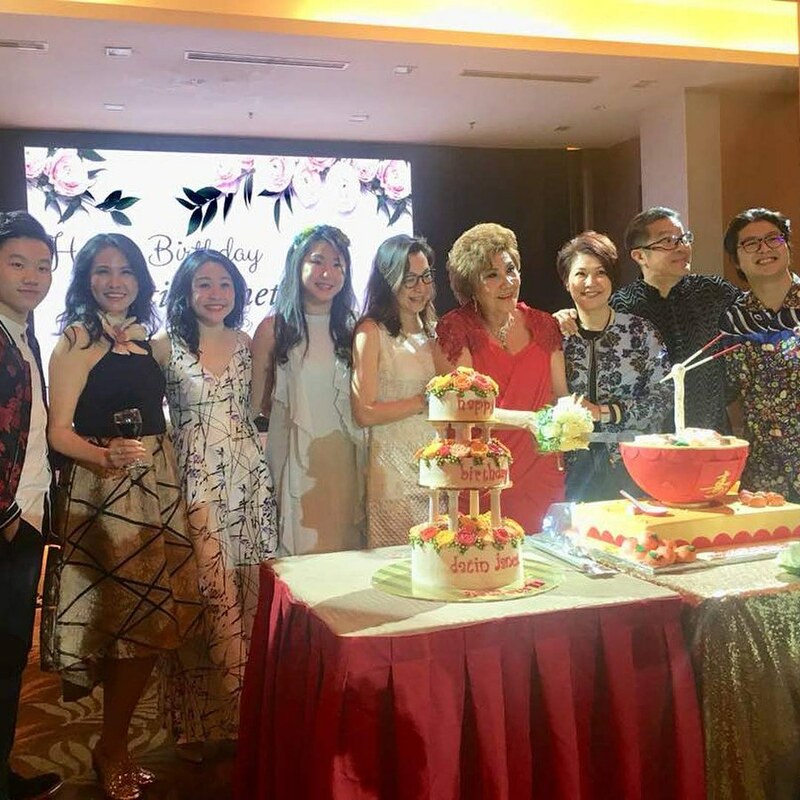 - Michelle in Ipoh celebrating her mother's 78th birthday. 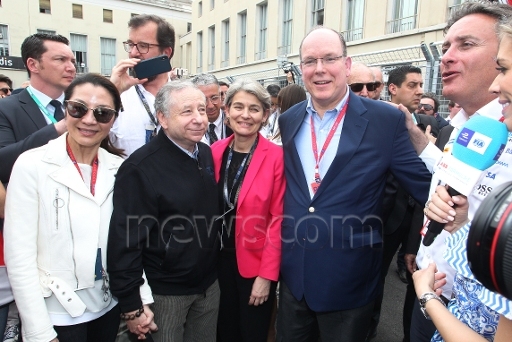 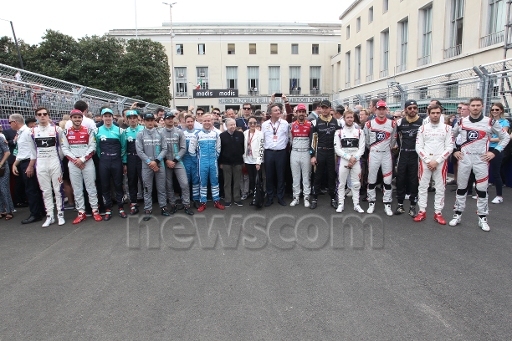 - News photos: Michelle attending Rome E-Prix, Rome, Italy, April 14-15. 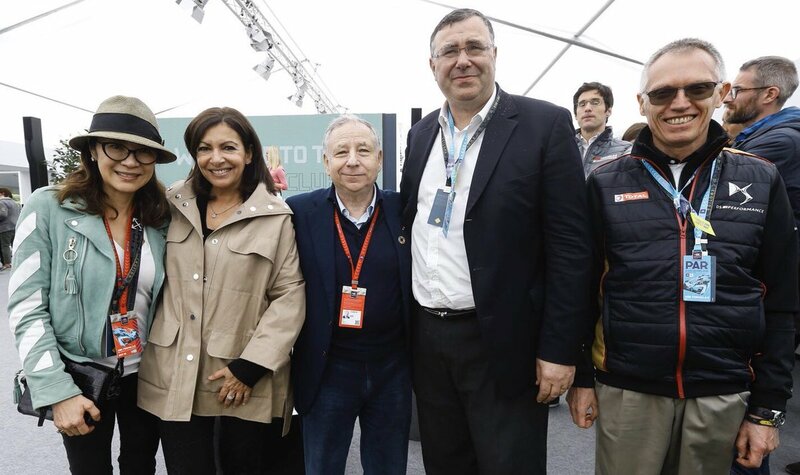 - Biella, Italy, April 10th. 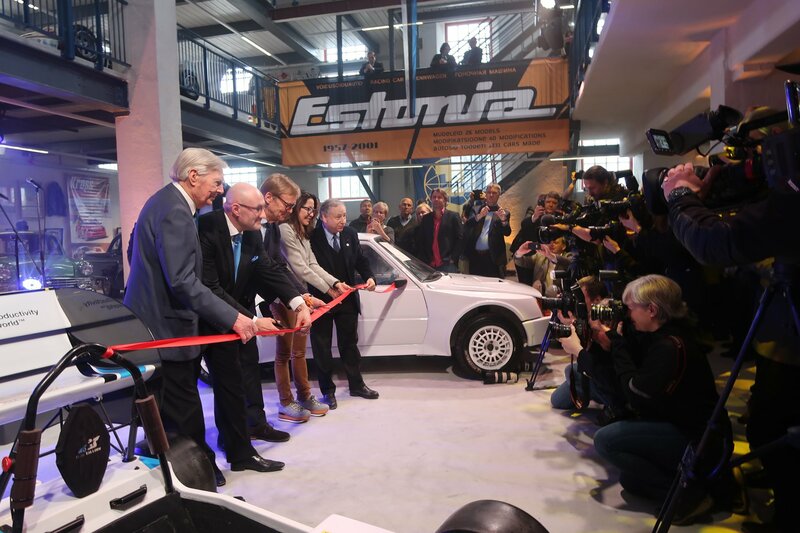 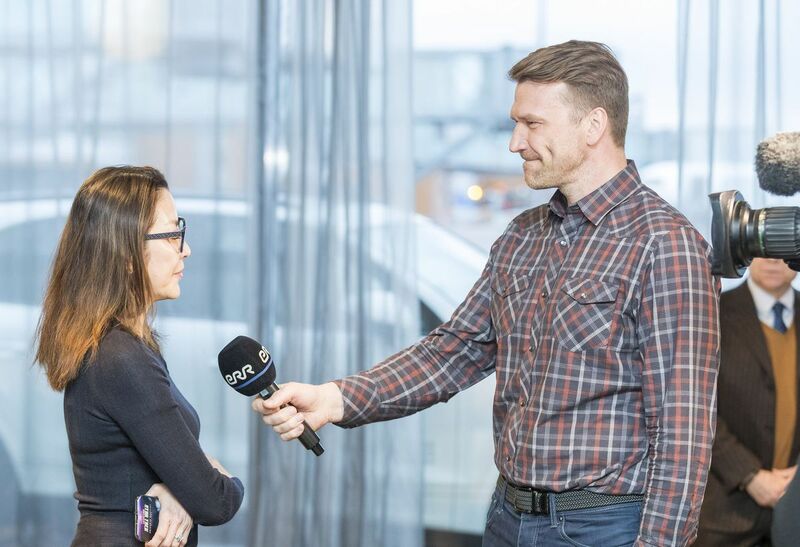 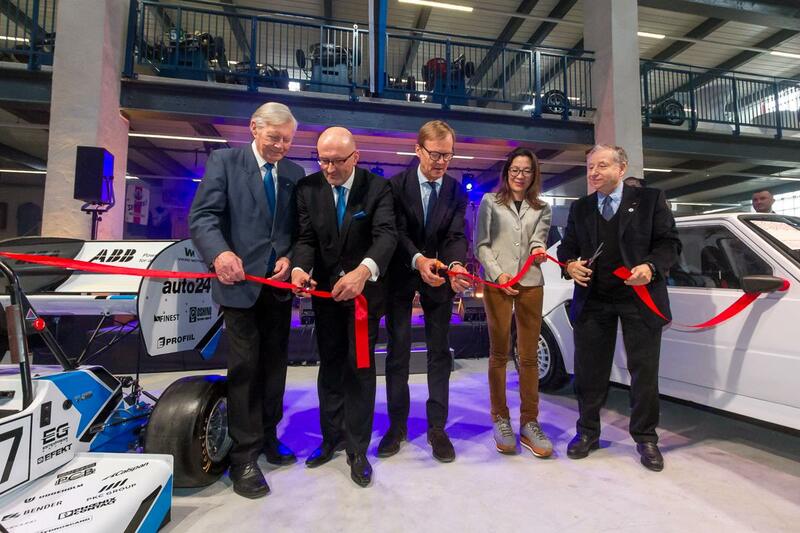 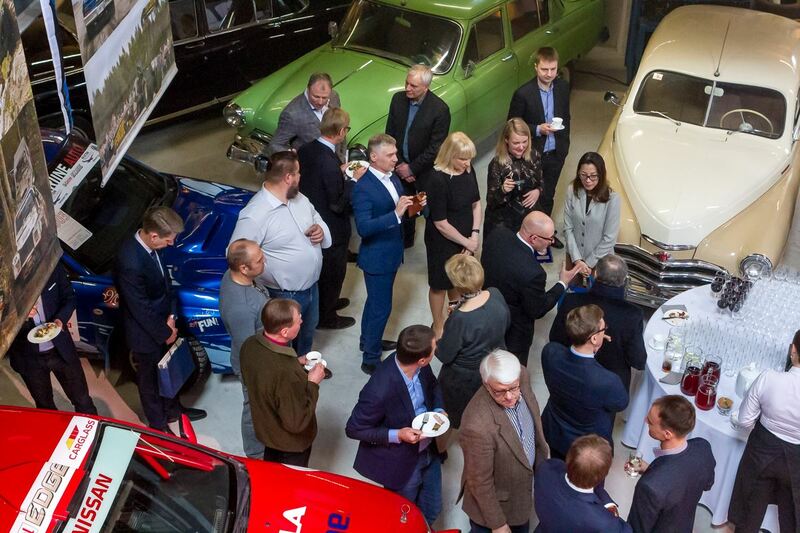 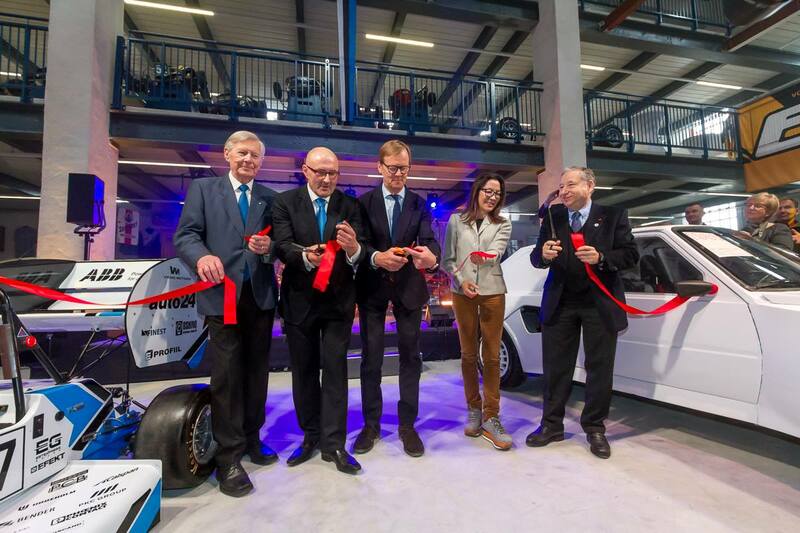 - Photos: Michelle at the opening ceremony of the MOMU Motor Sport Museum in Estonia, April 6. 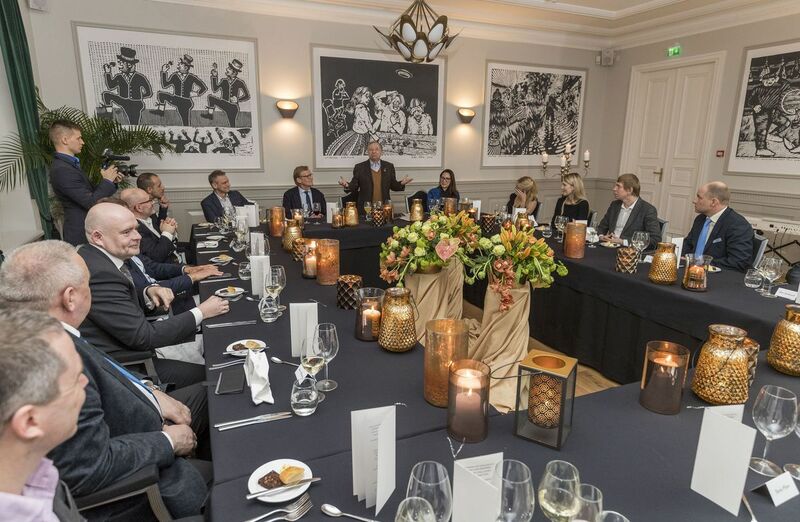 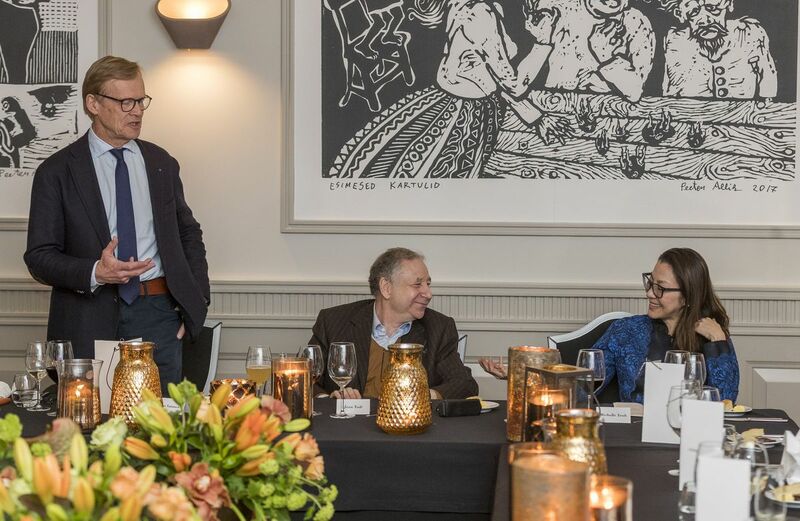 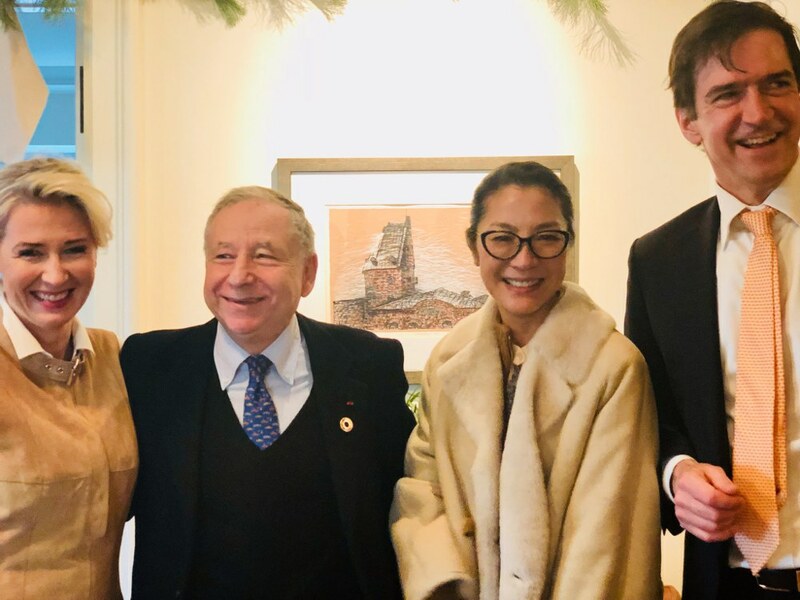 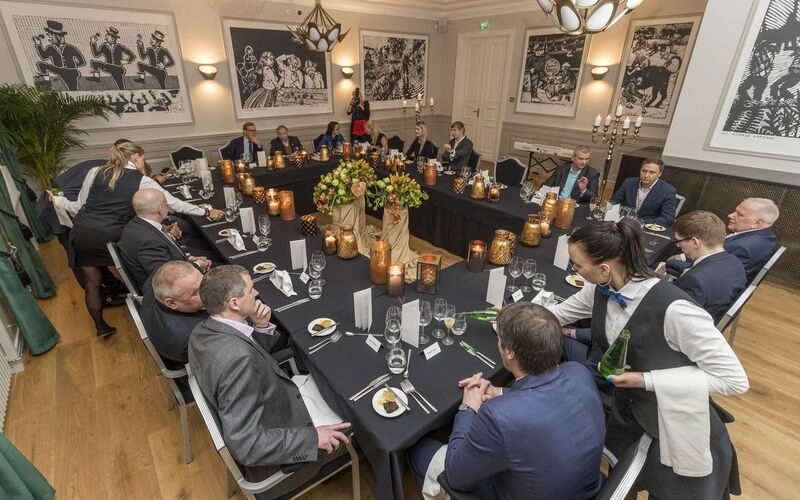 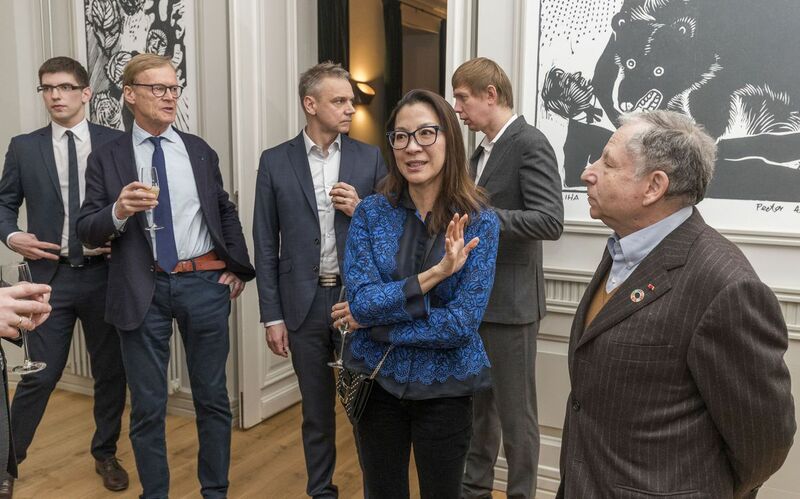 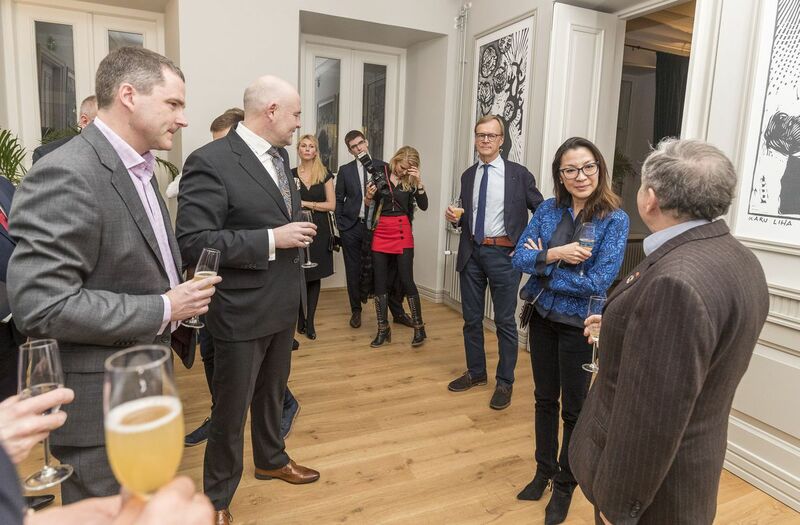 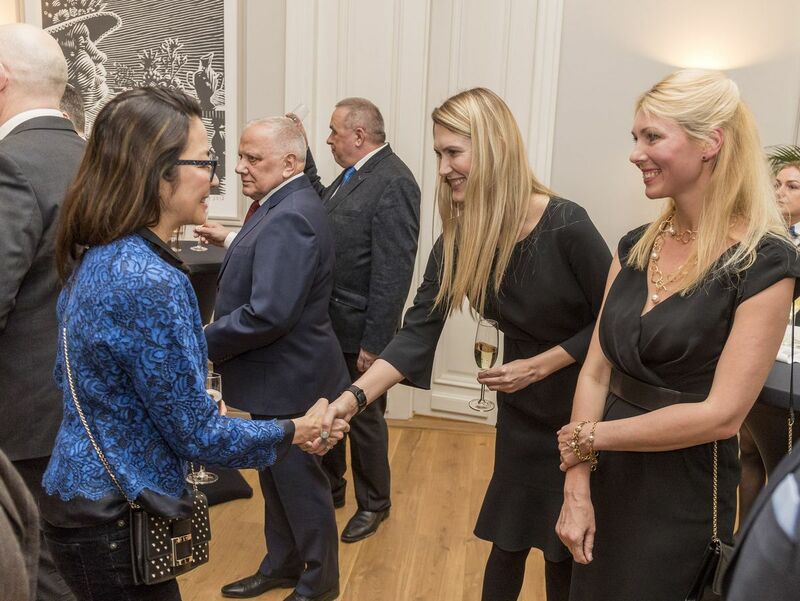 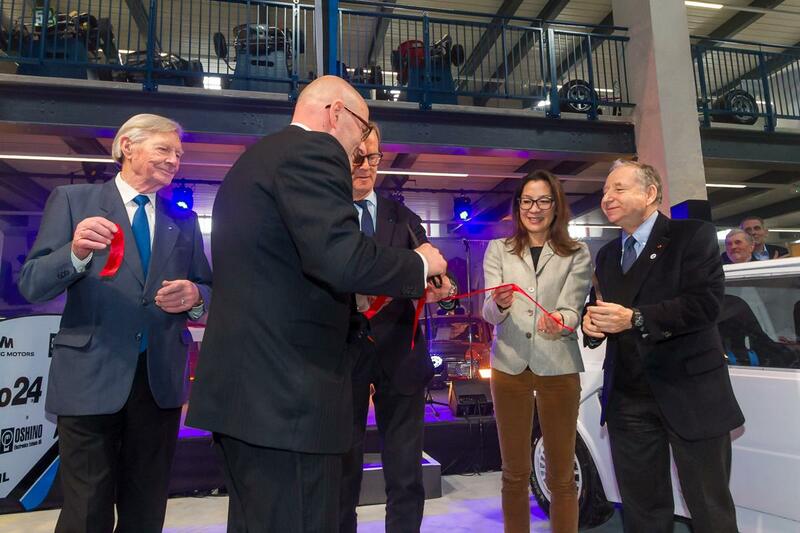 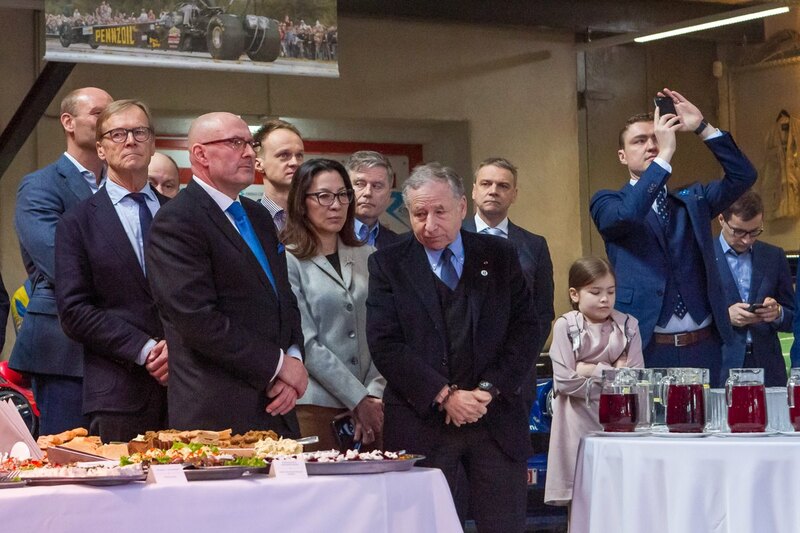 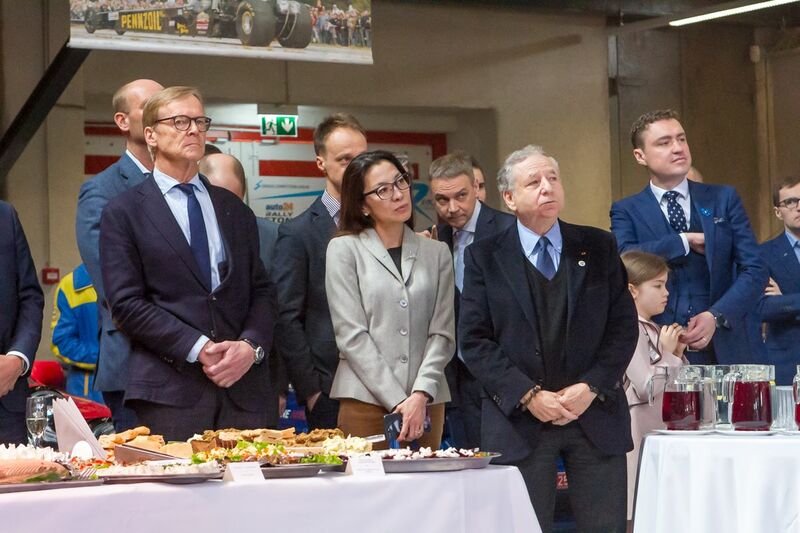 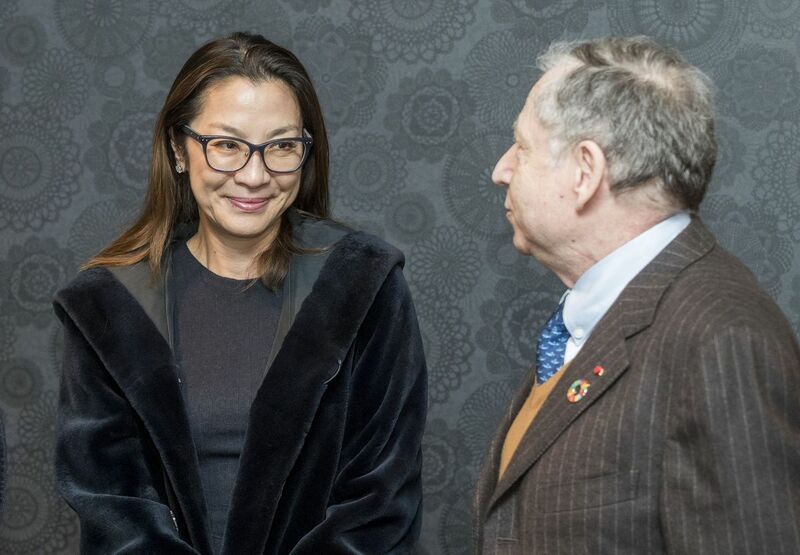 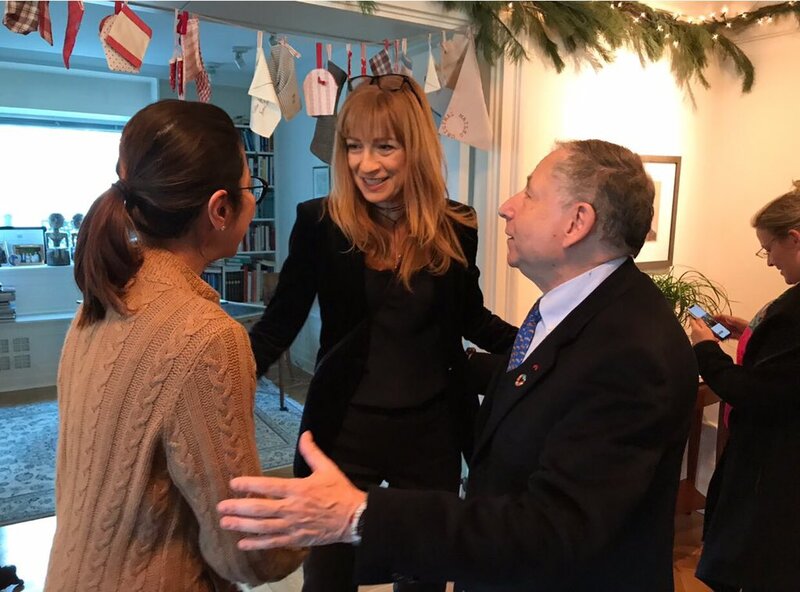 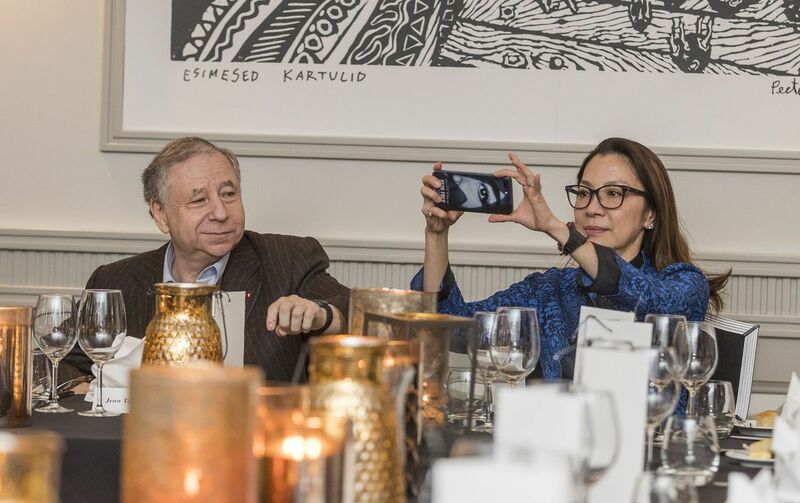 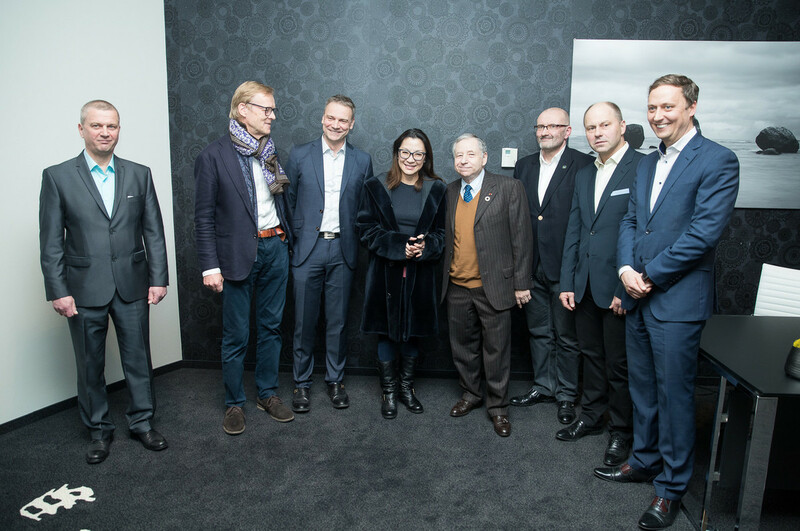 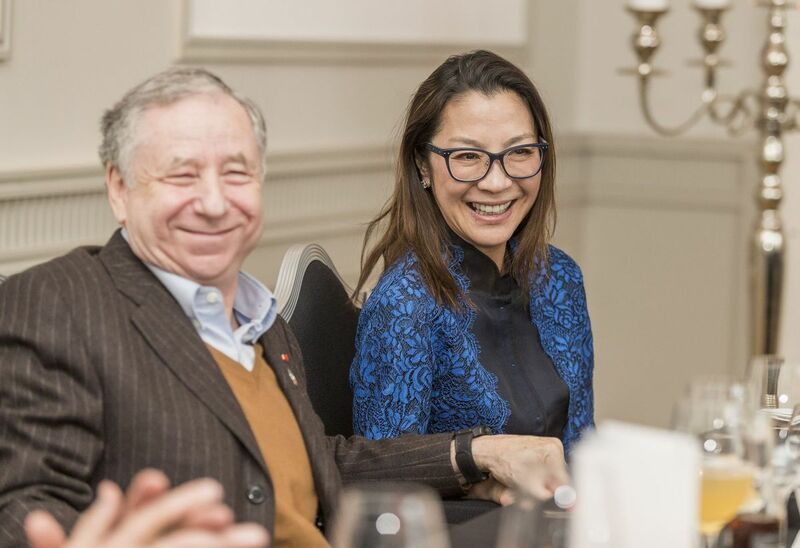 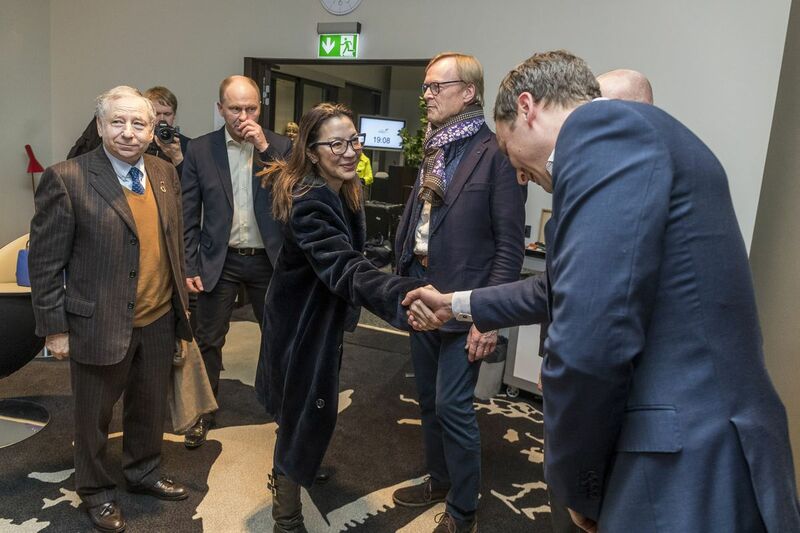 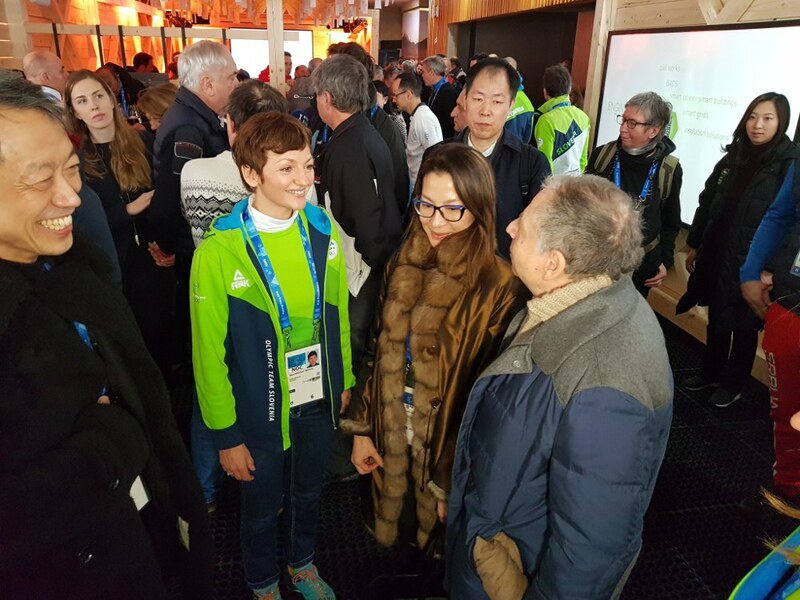 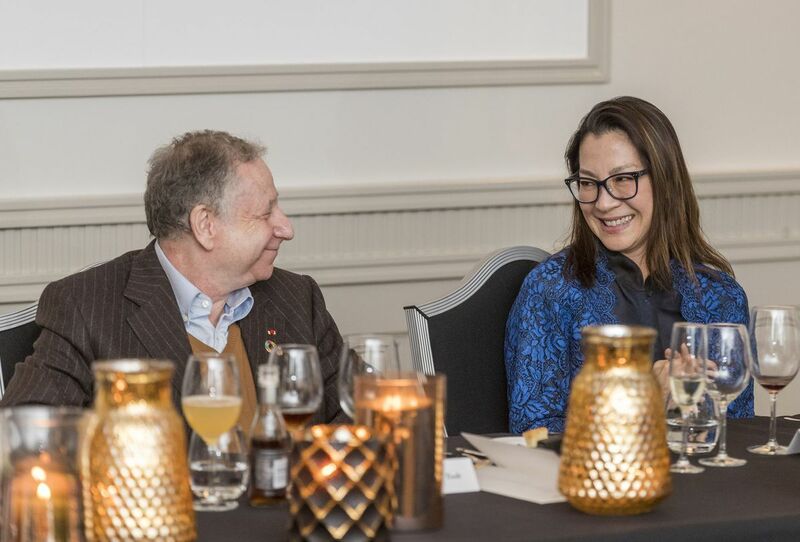 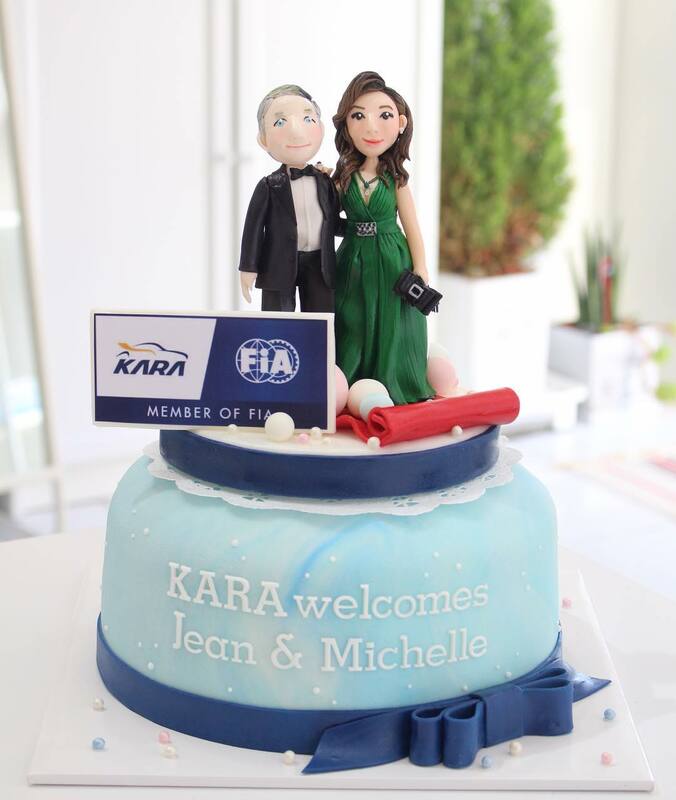 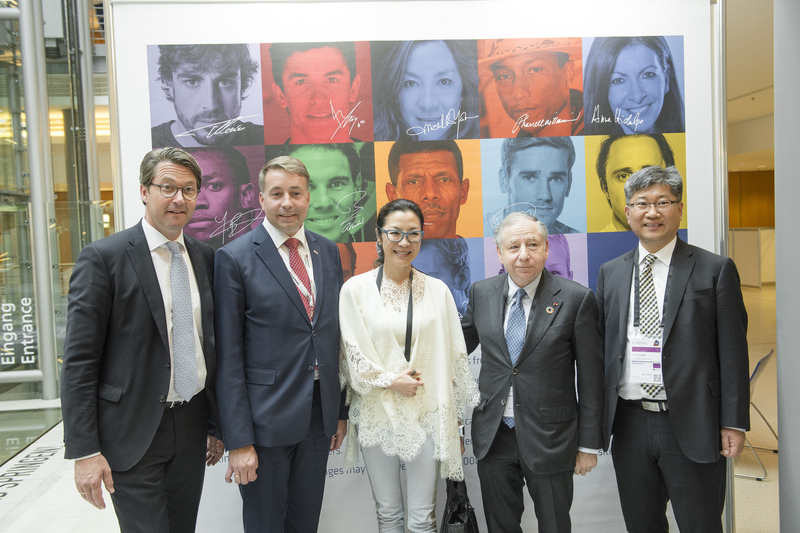 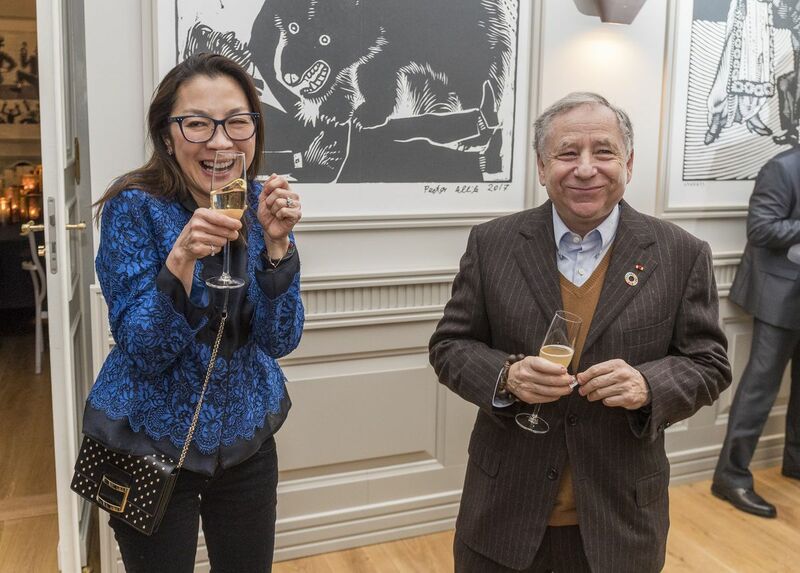 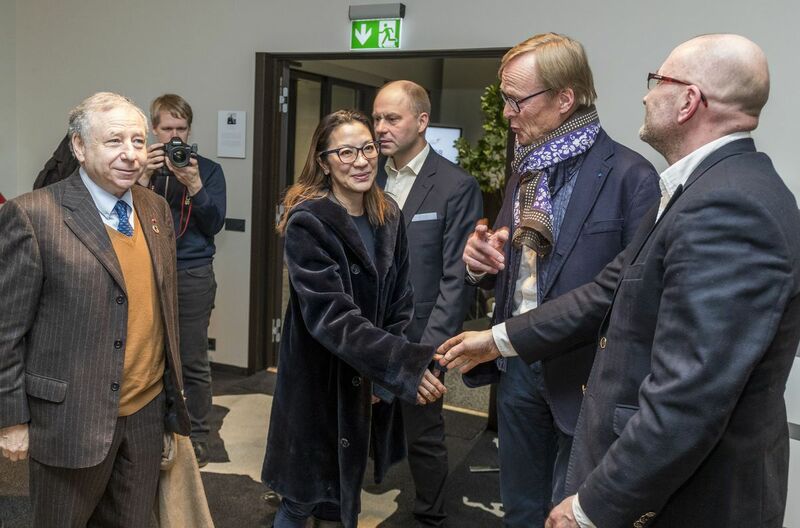 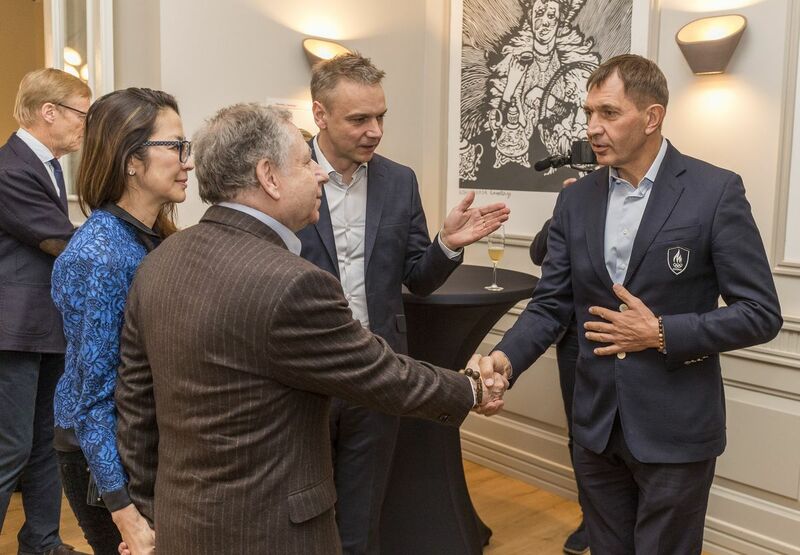 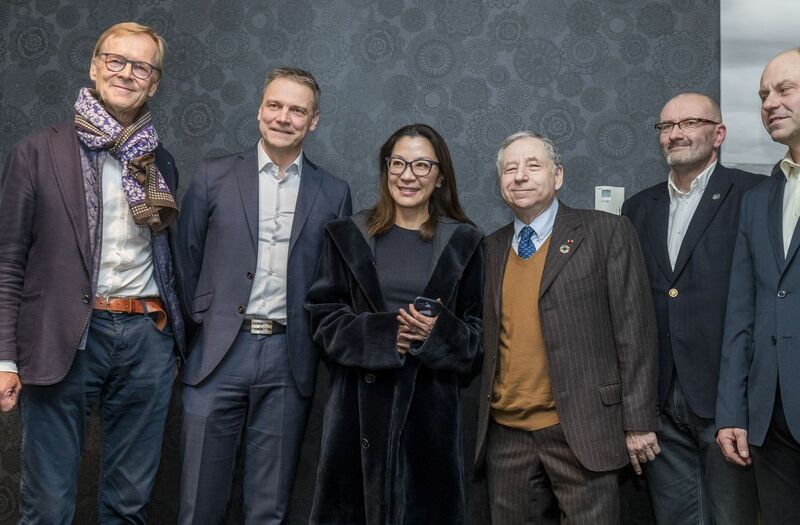 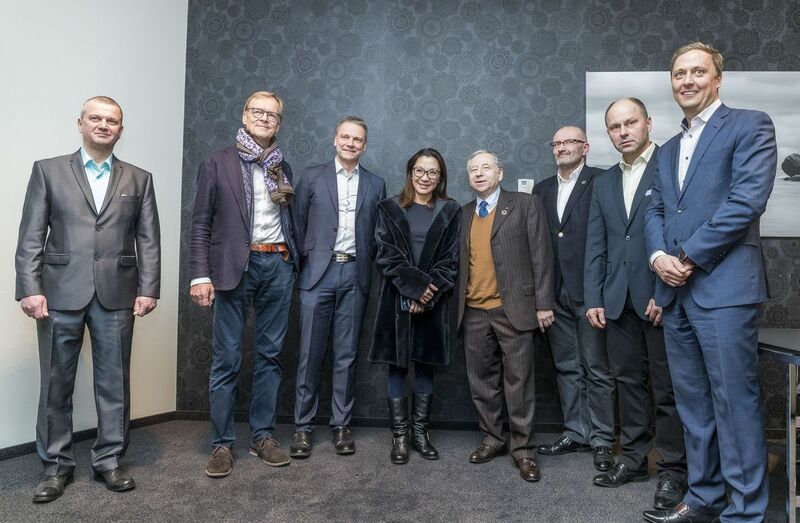 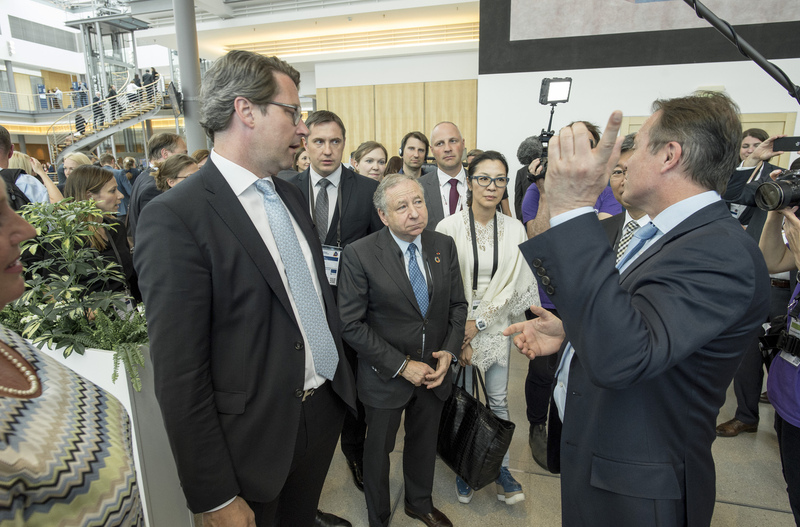 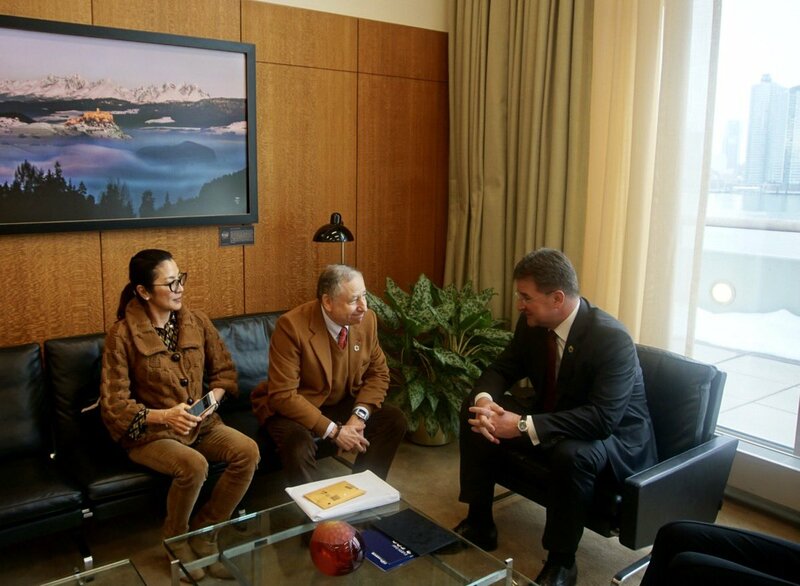 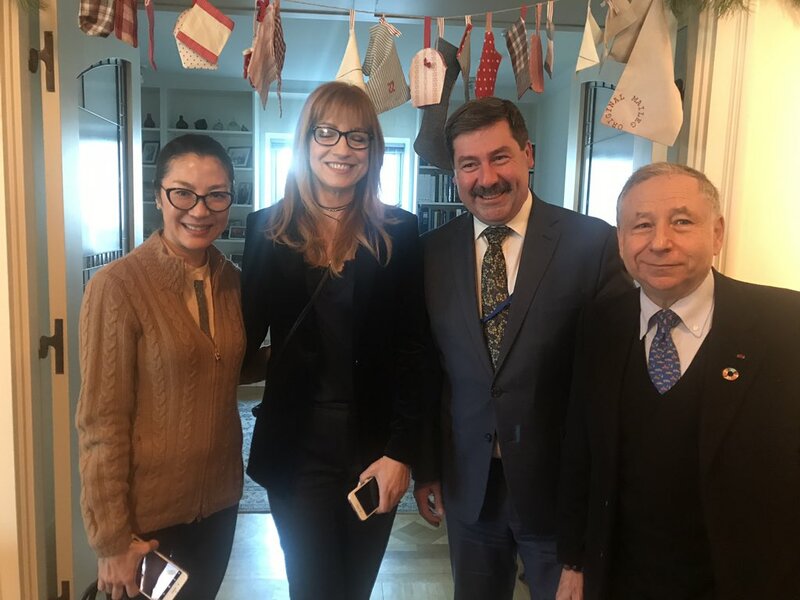 - Photos: Michelle and Jean Todt in Estonia for road safety, April 5-6. 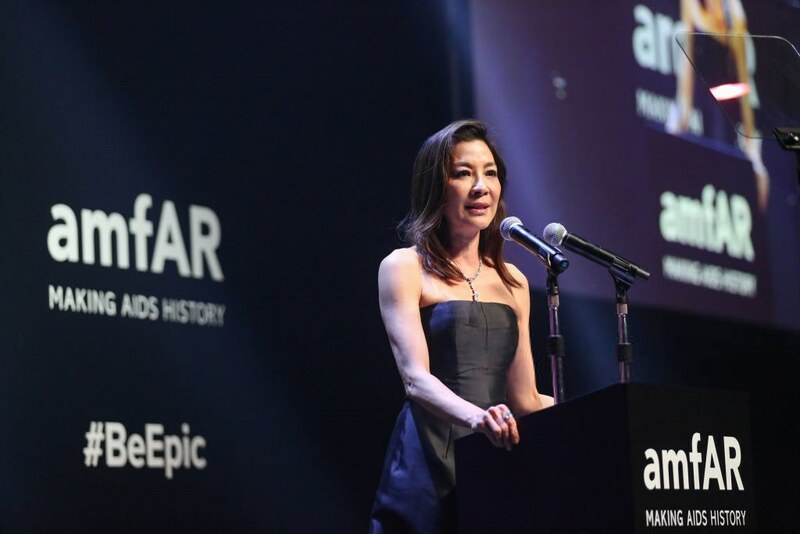 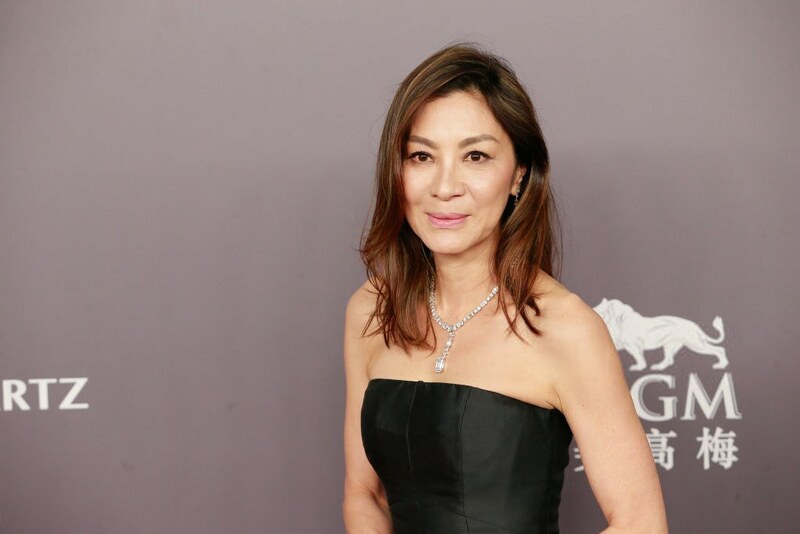 - News photos: Michelle attending the amfAR Hong Kong Gala 2018, Shaw Studios, Hong Kong, March 26th. 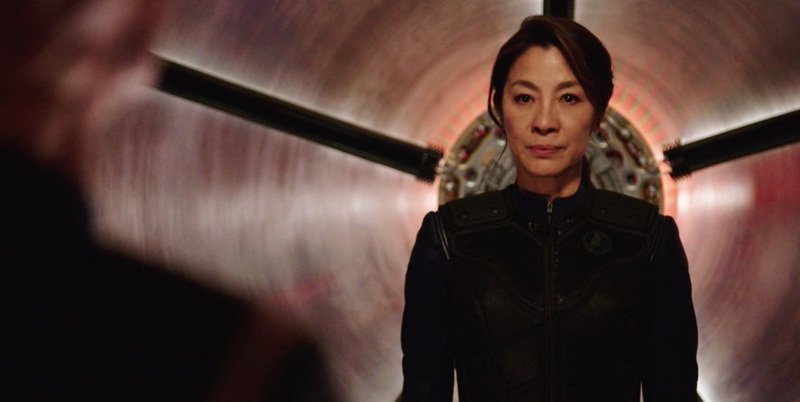 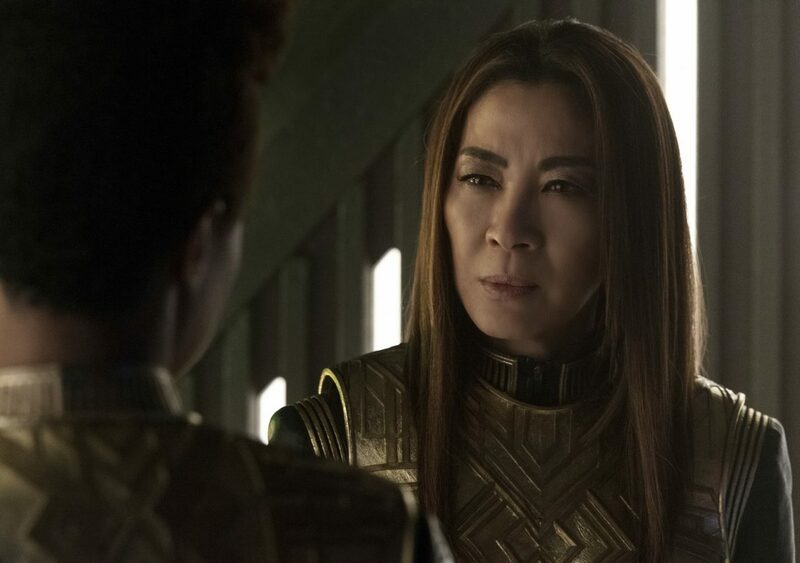 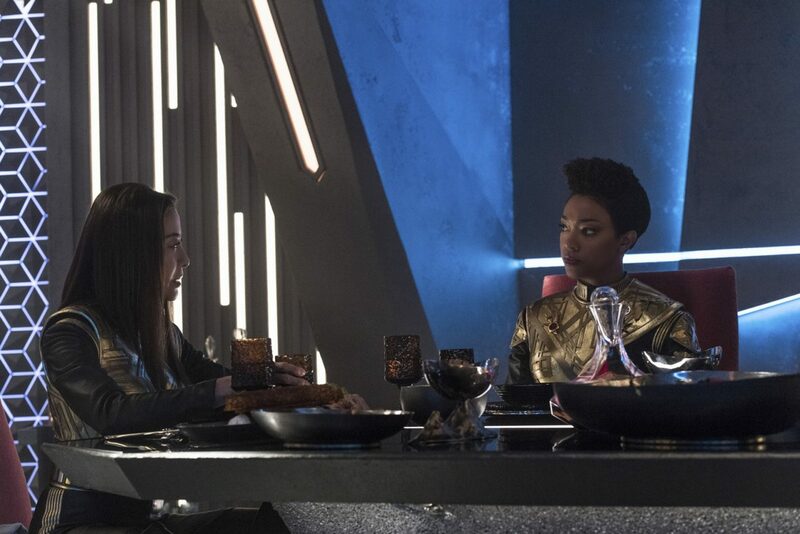 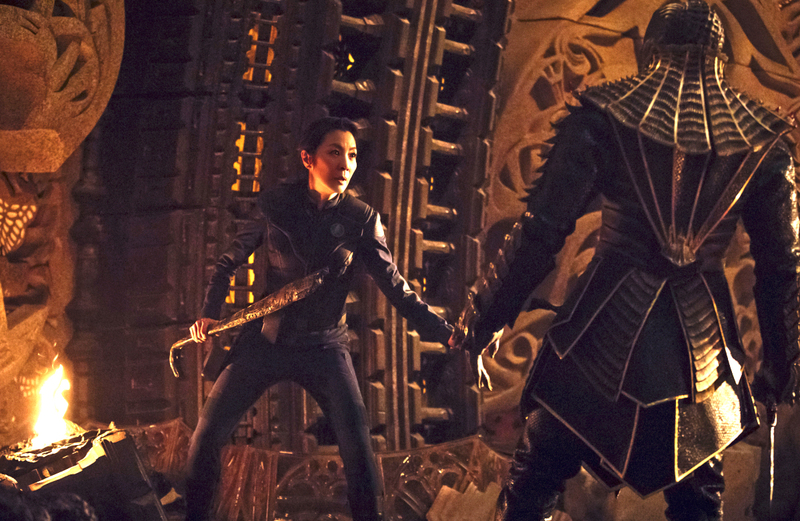 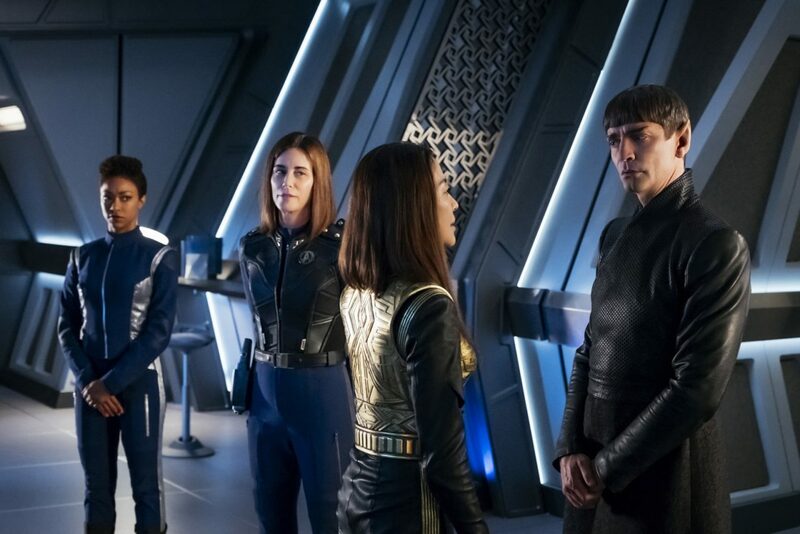 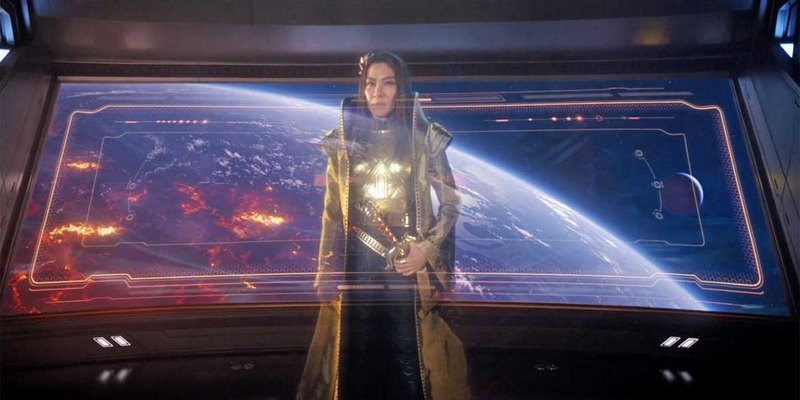 - In Star Trek: Discovery: bonus scene video from Season 1 Finale. 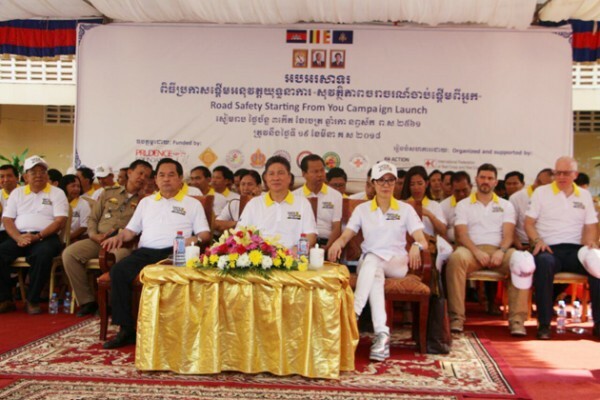 - More photos from Cambodia. 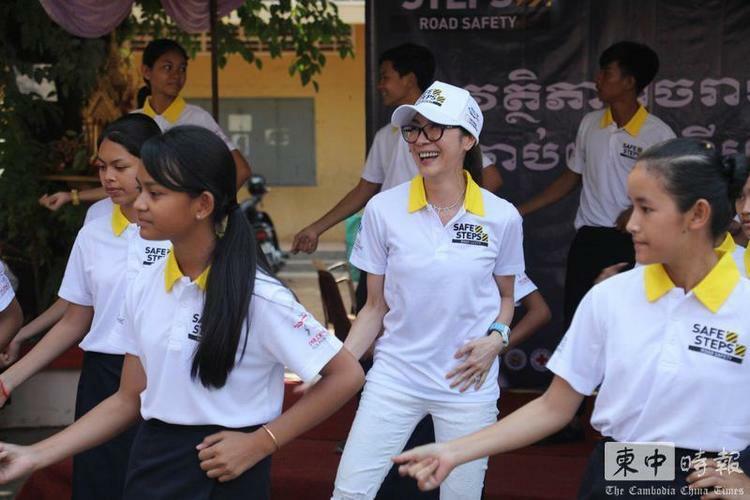 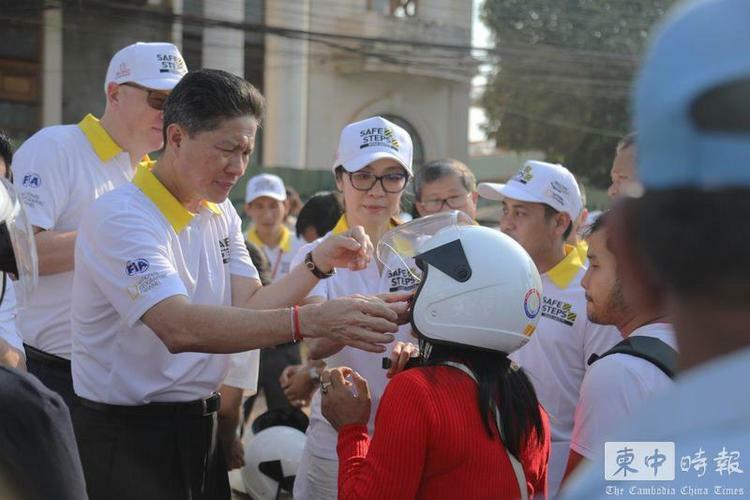 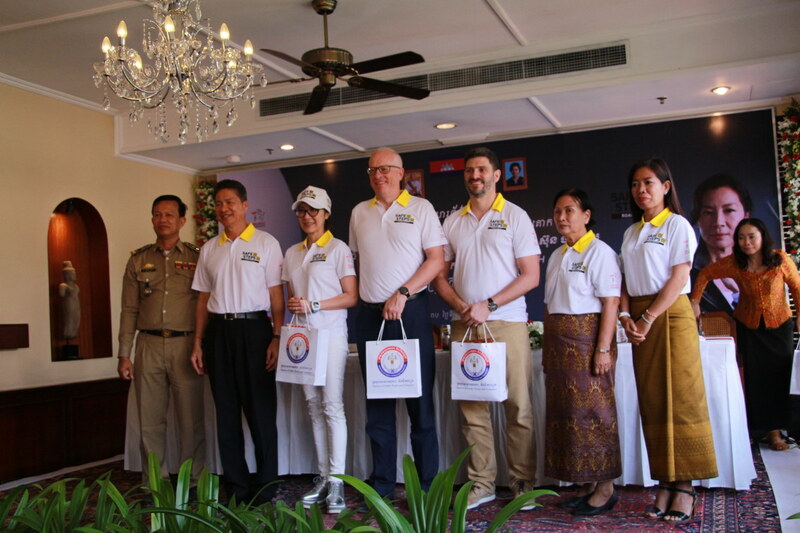 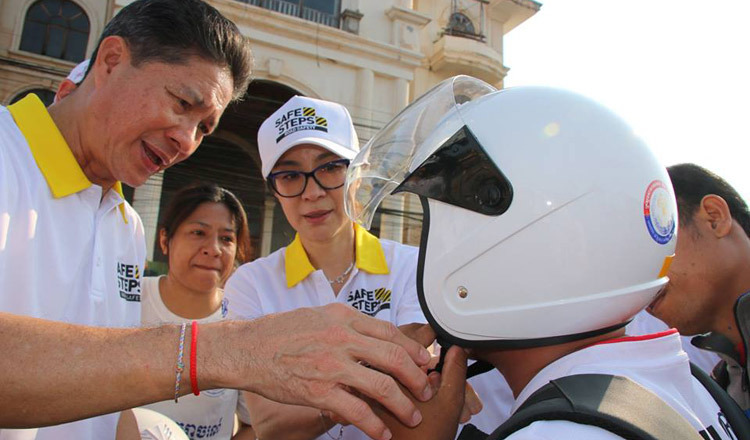 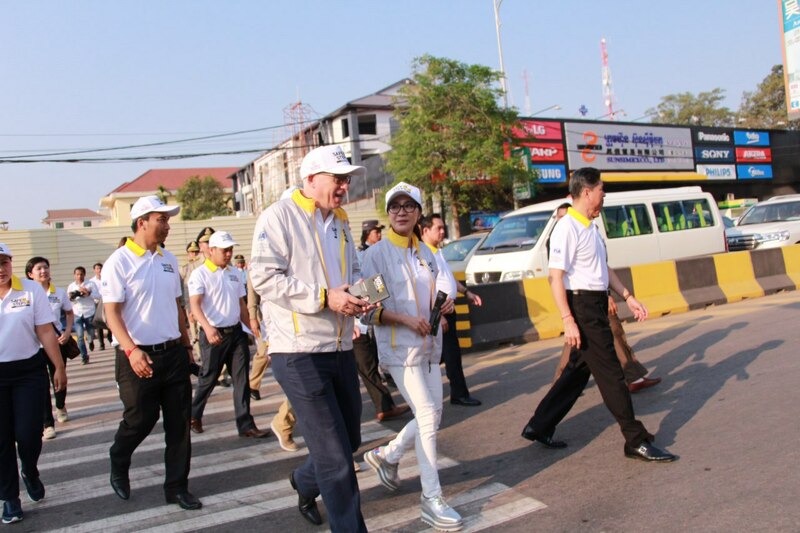 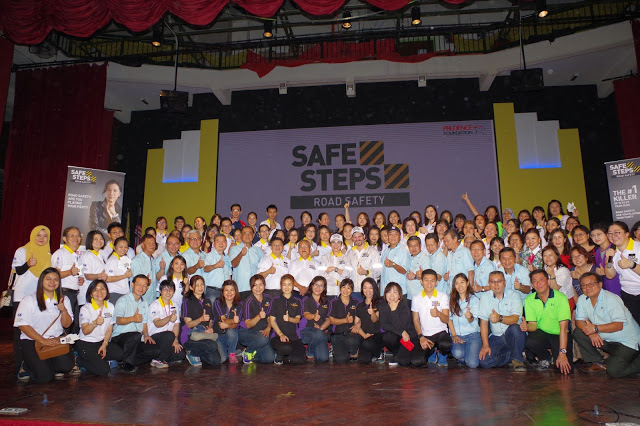 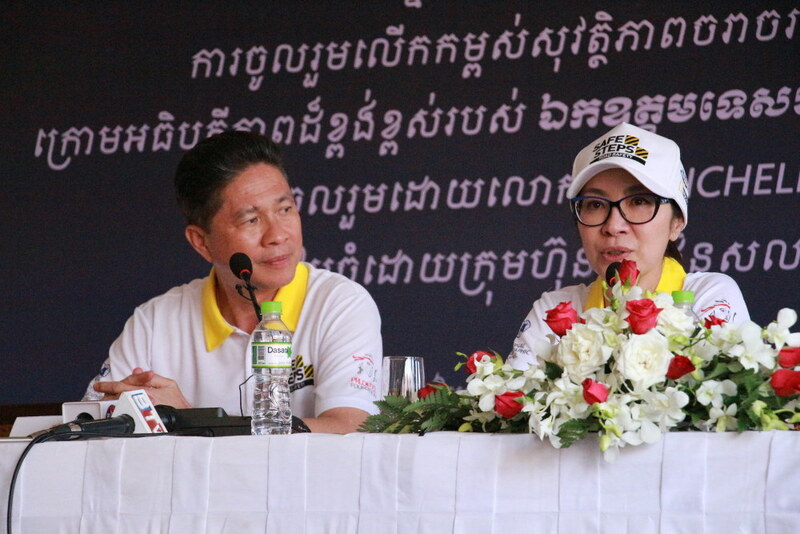 - Photos: Michelle during the Road Safety Starting From You campaign launch at Krous Primary School, Siem Reap city, Cambodia, March 19th. 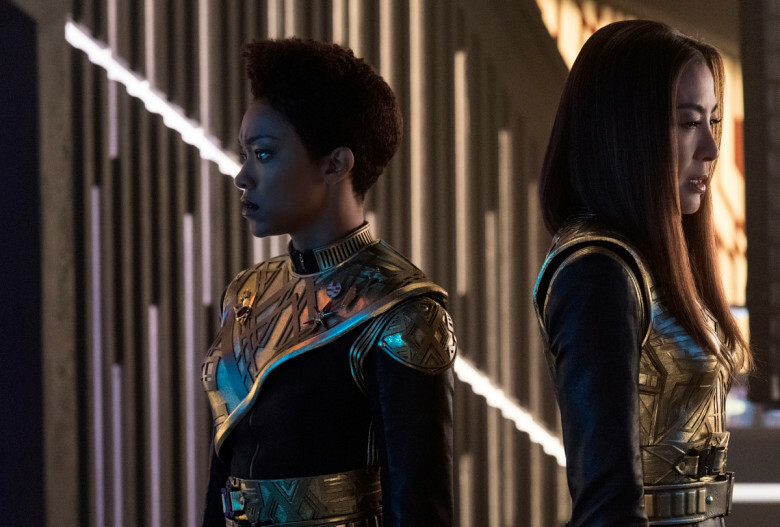 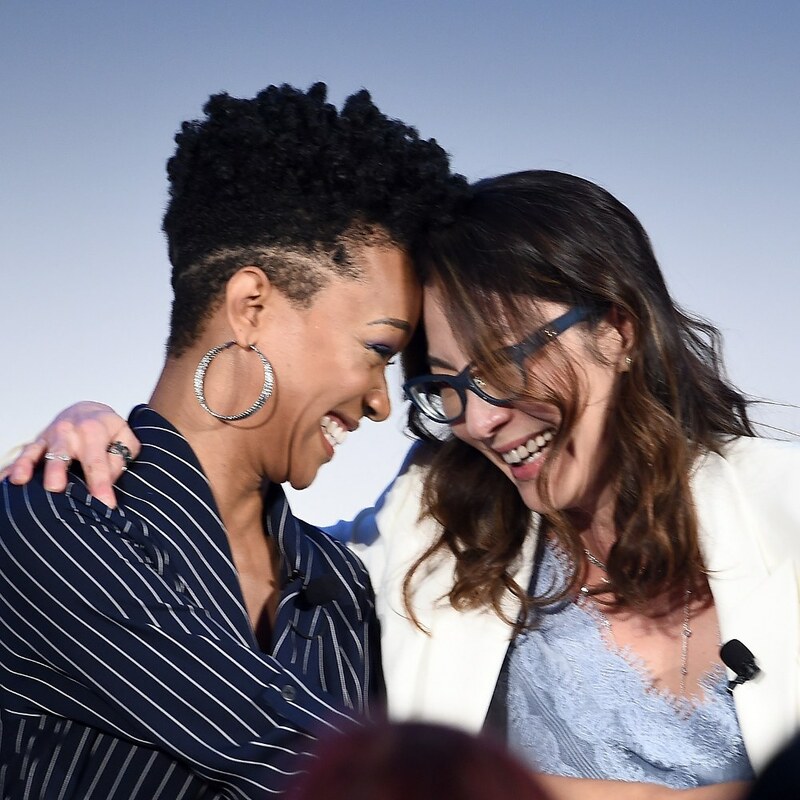 - Star Trek: Discovery received 5 nominations at the 44th Saturn Awards. 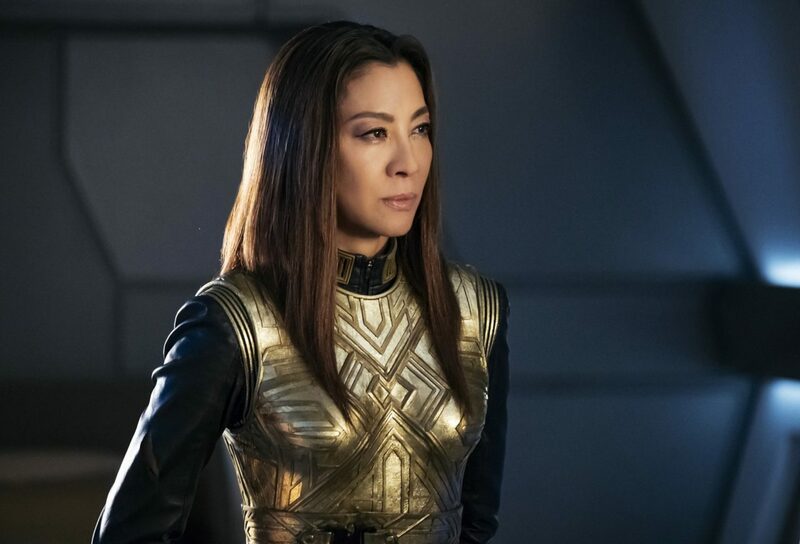 Michelle has been nominated for the Best Guest-Starring Performance on Television. 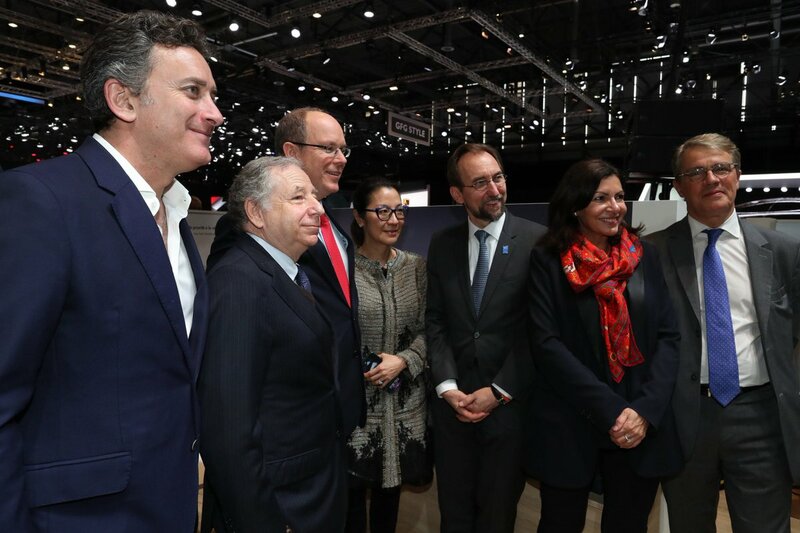 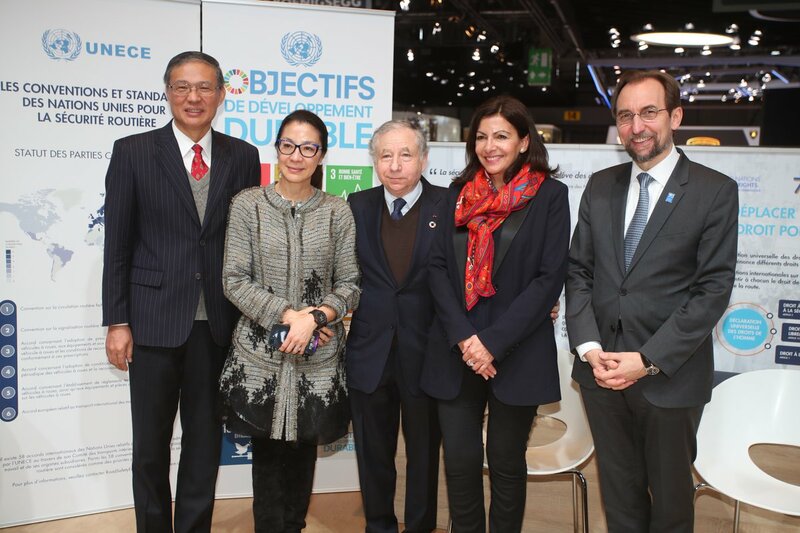 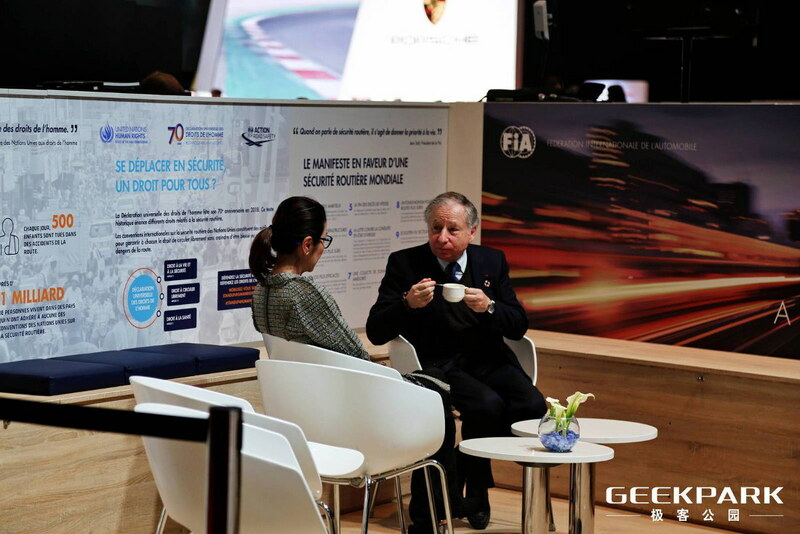 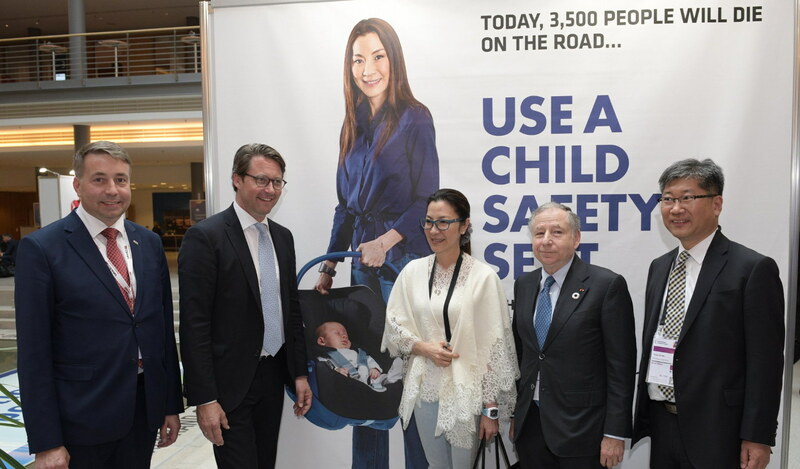 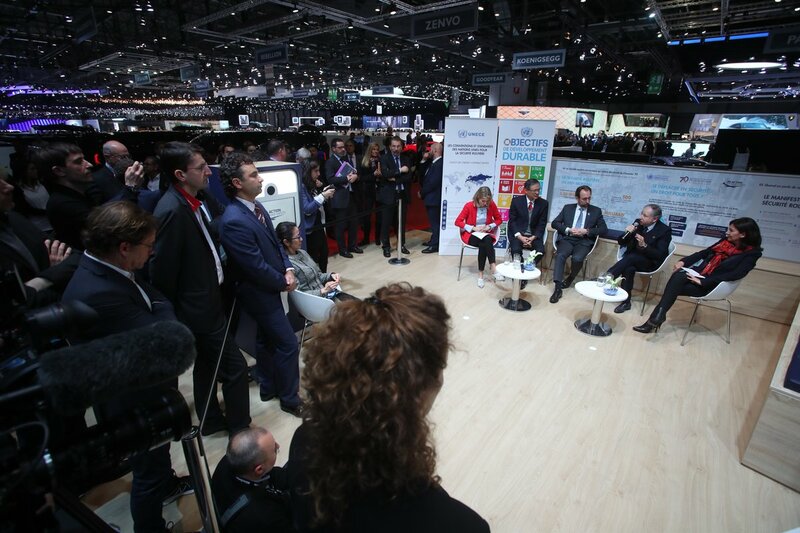 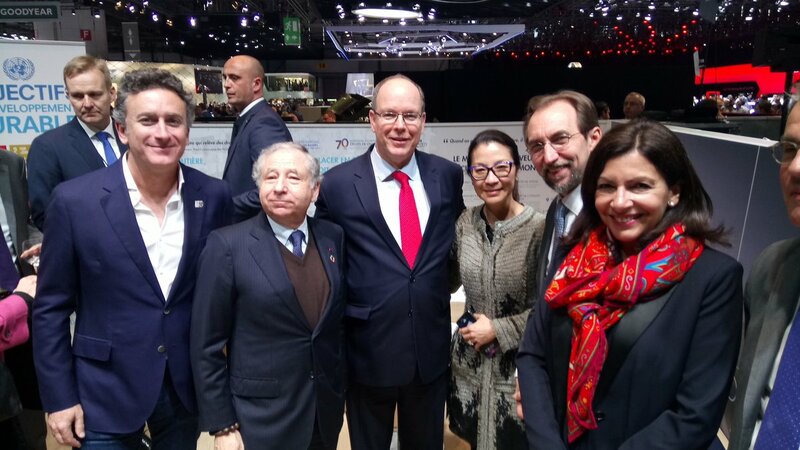 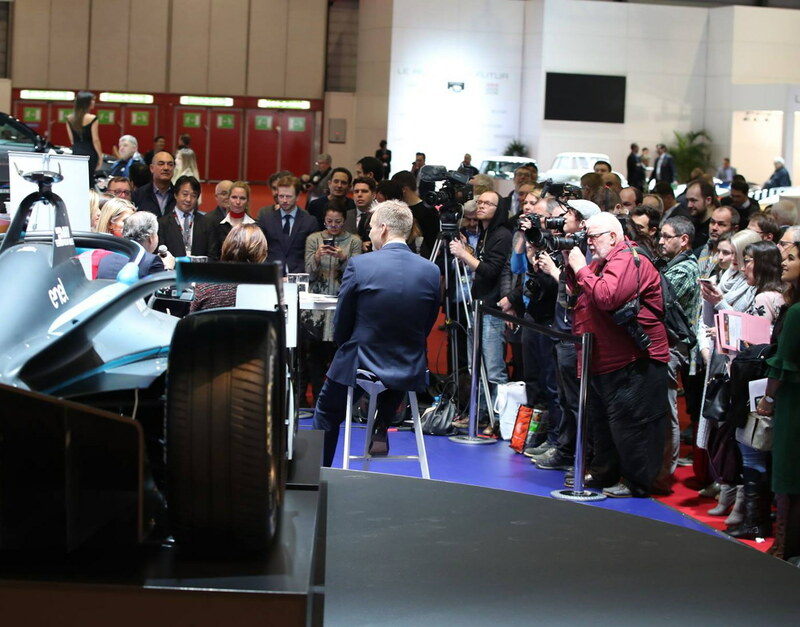 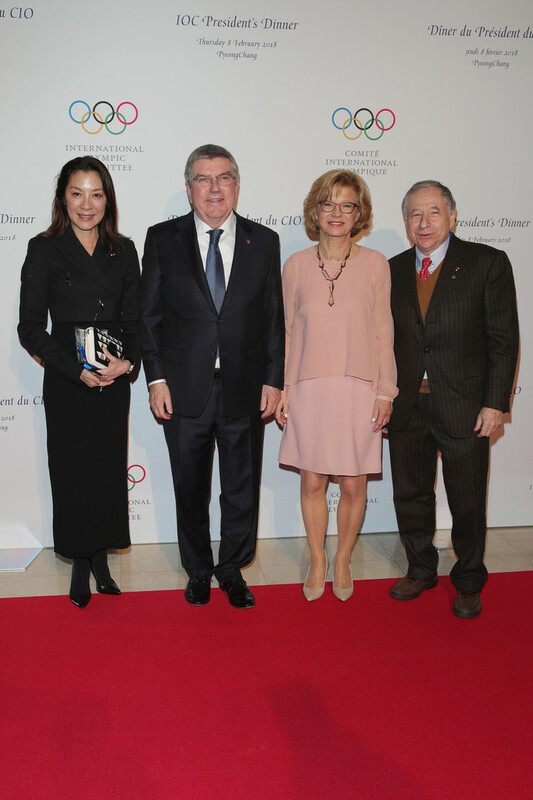 - Photos: Michelle and Jean Todt promoting road safety at the Geneva International Motor Show, Switzerland, March 7th. 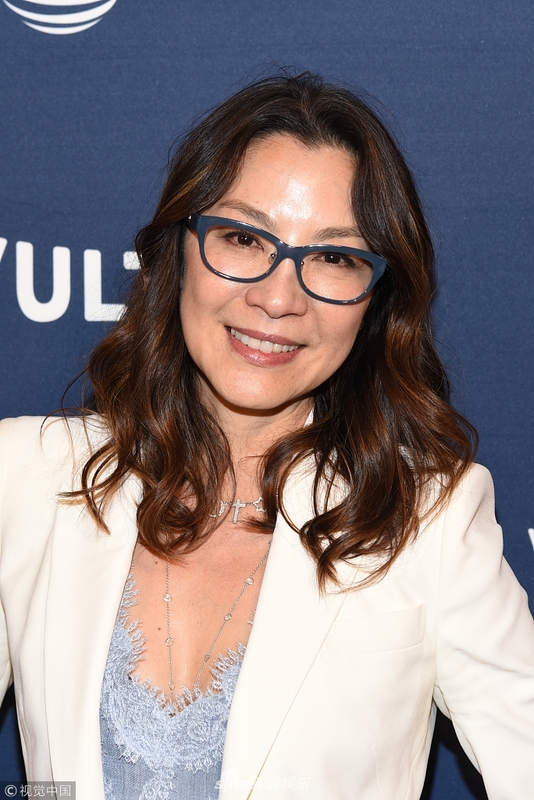 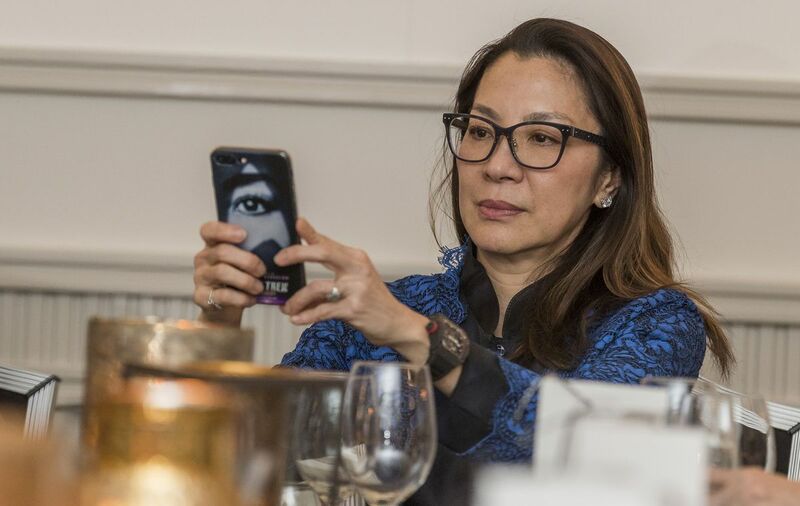 - News photos: Michelle attending the Shiatzy Chen show as part of the Paris Fashion Week Womenswear Fall/Winter 2018/2019 on March 5, Paris, France. 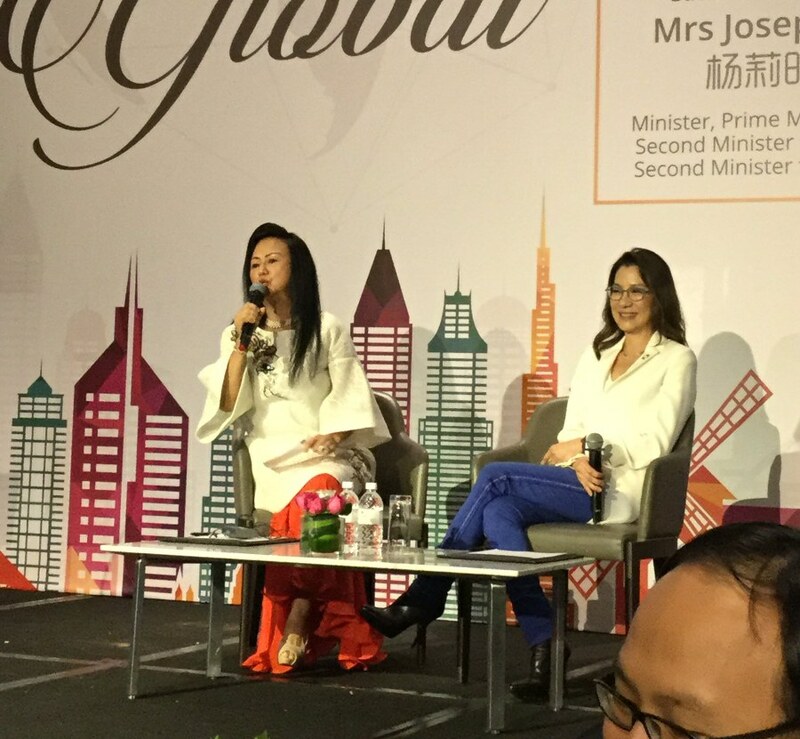 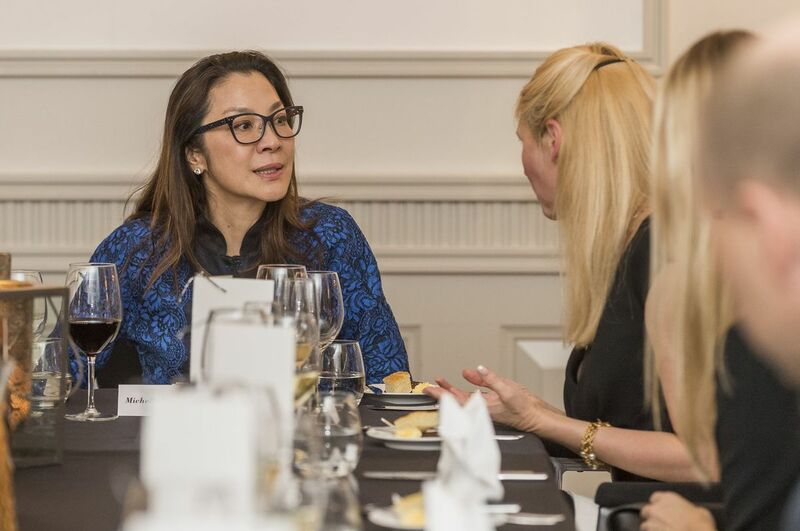 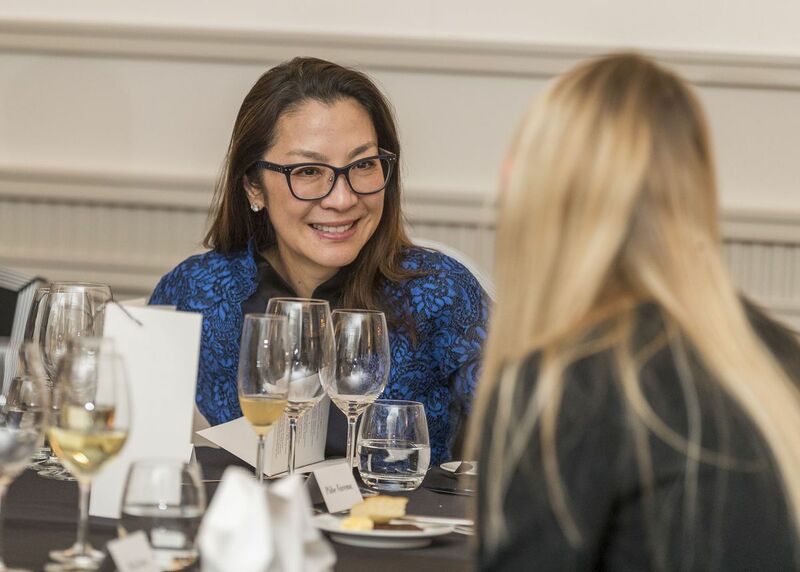 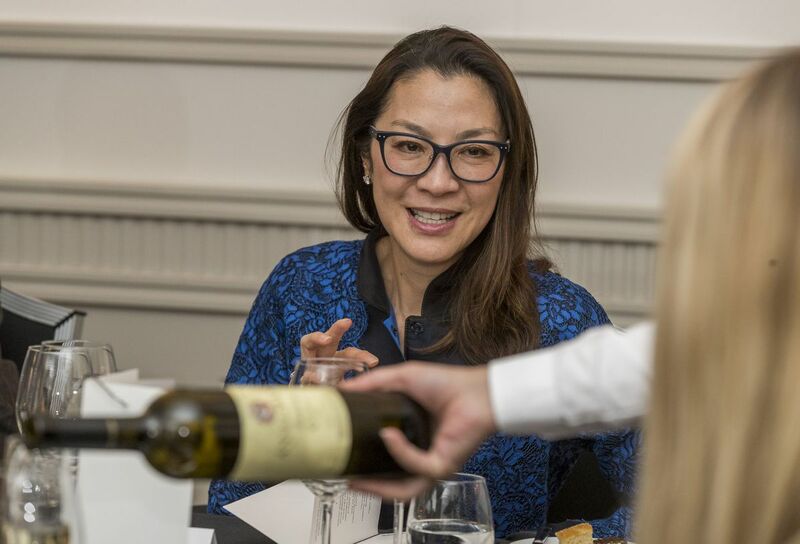 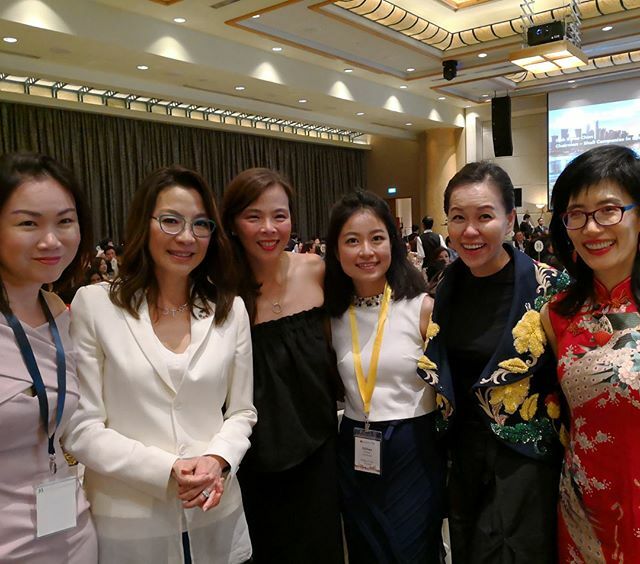 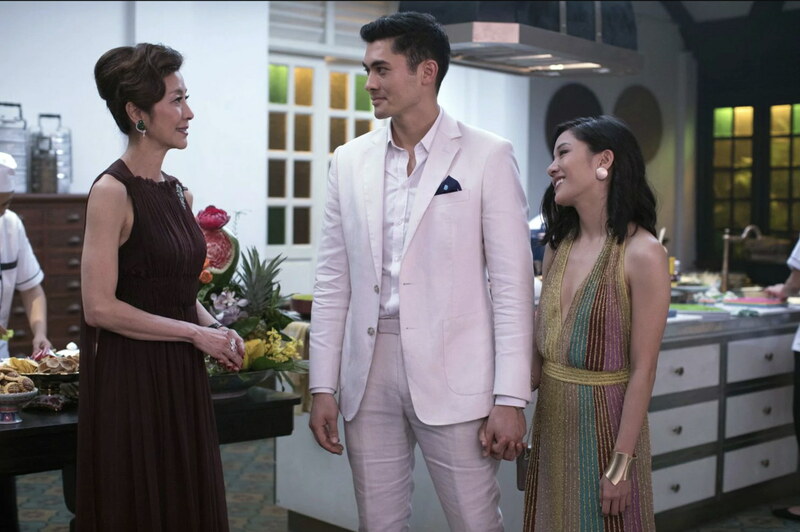 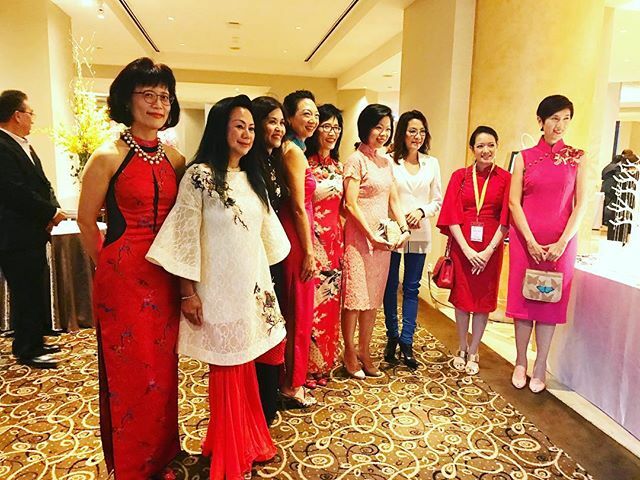 - March 4: Michelle attending the Singapore Chinese Chamber of Commerce and Industry's conference and dinner, Singapore. 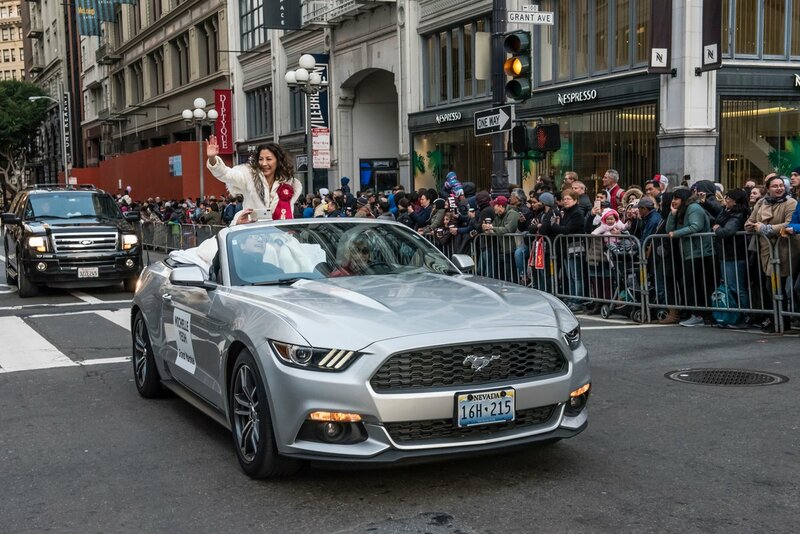 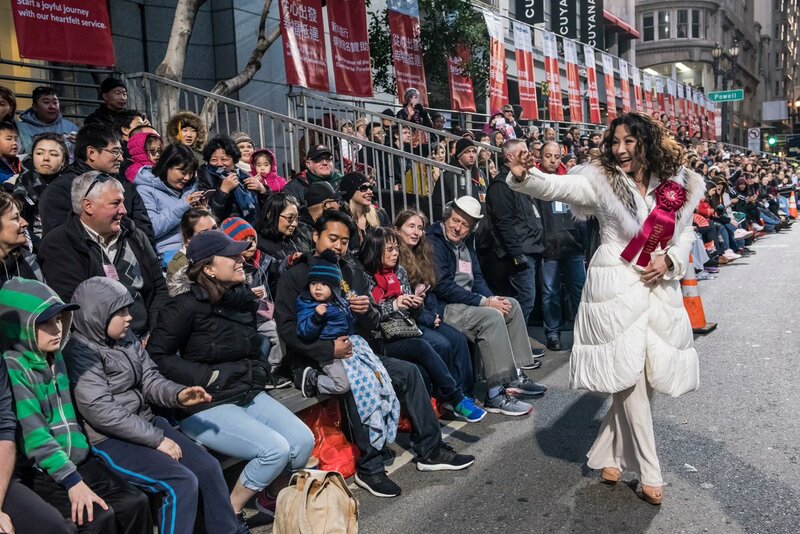 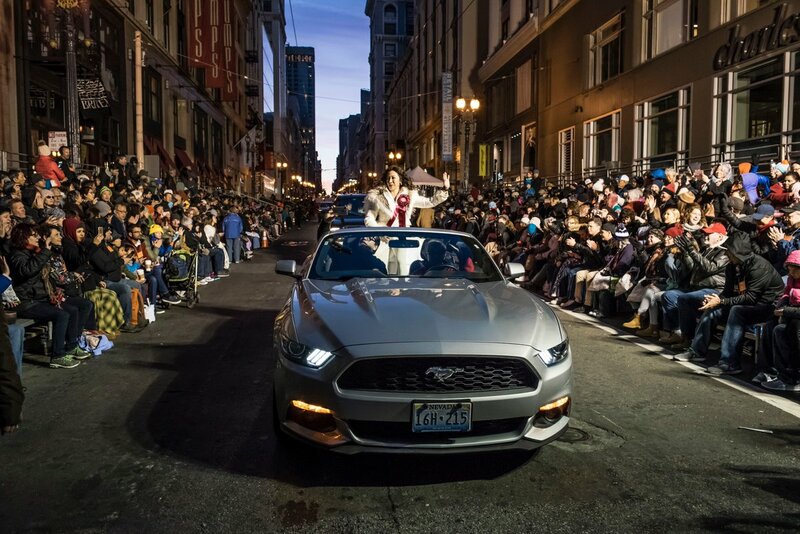 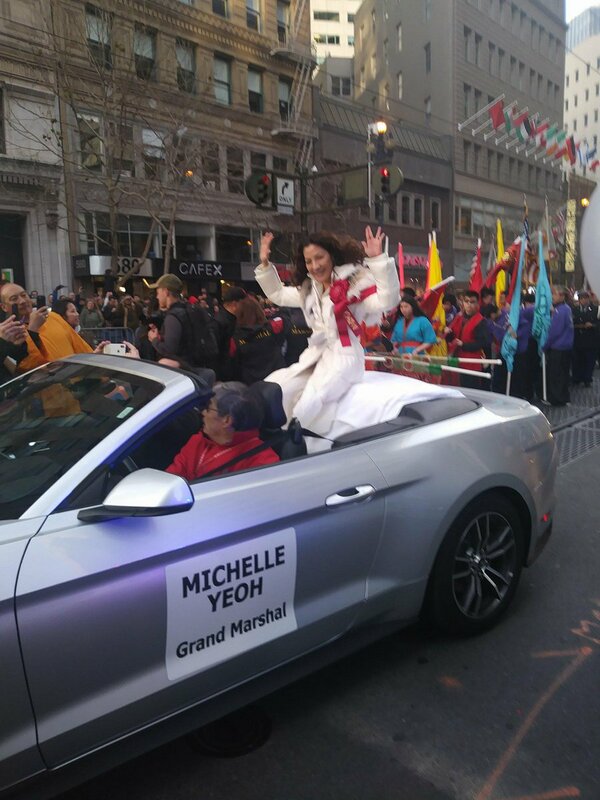 - More photos from San Franccisco's Chinese New Year parade last weekend. 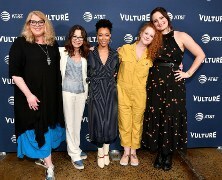 - Media interview in Los Angeles, February 21st. 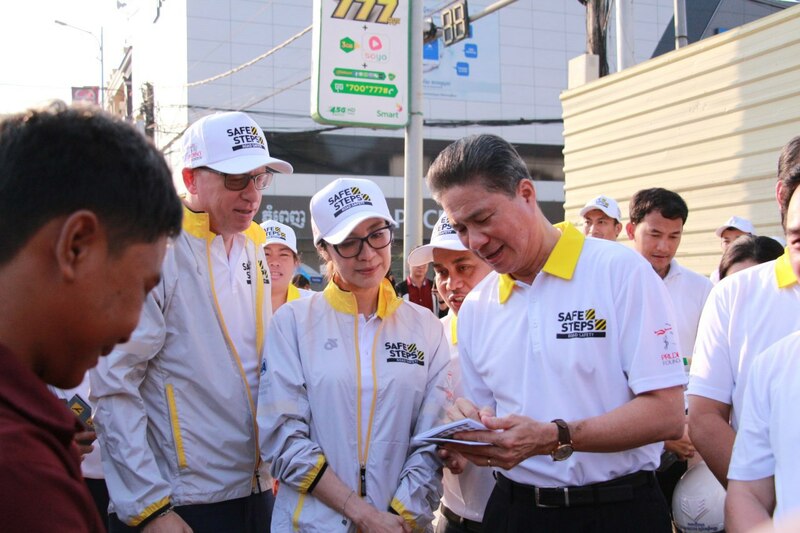 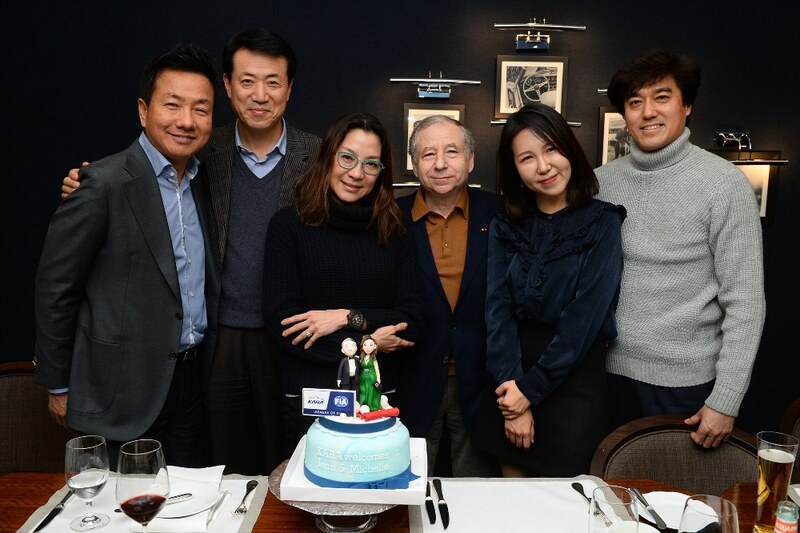 - More photos from South Korea, February 6-13. 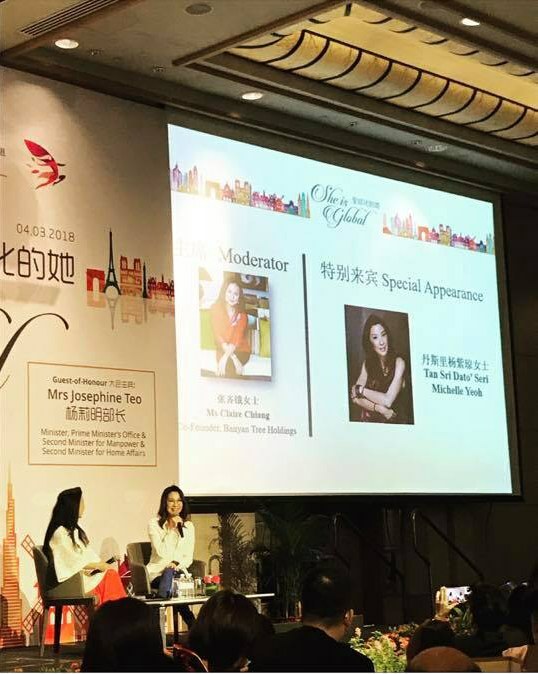 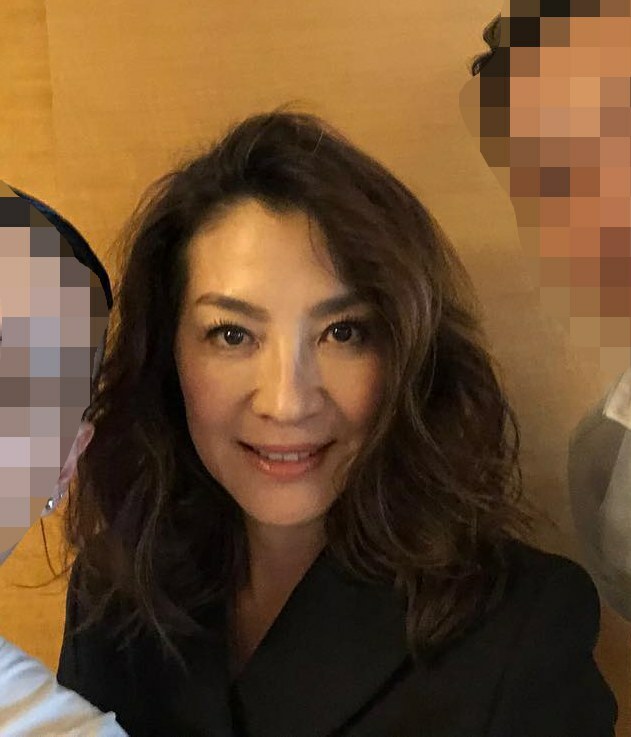 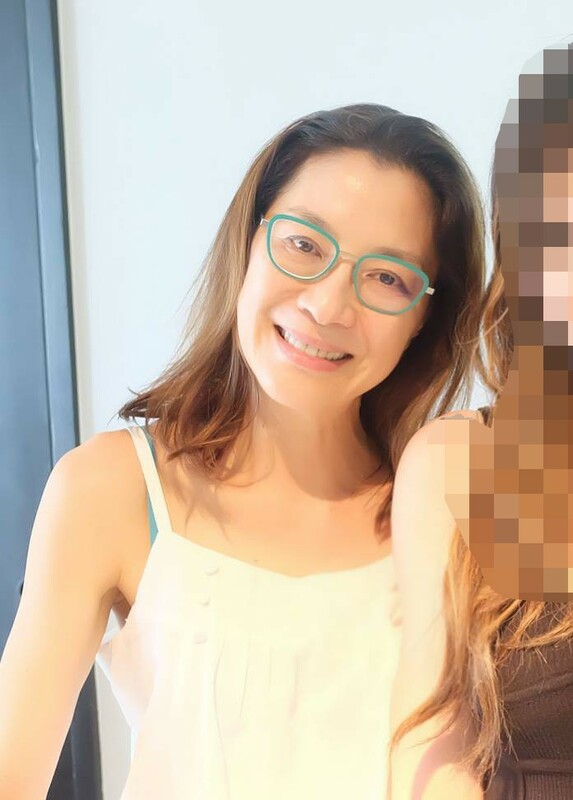 Michelle has left Asia and returned to Europe. 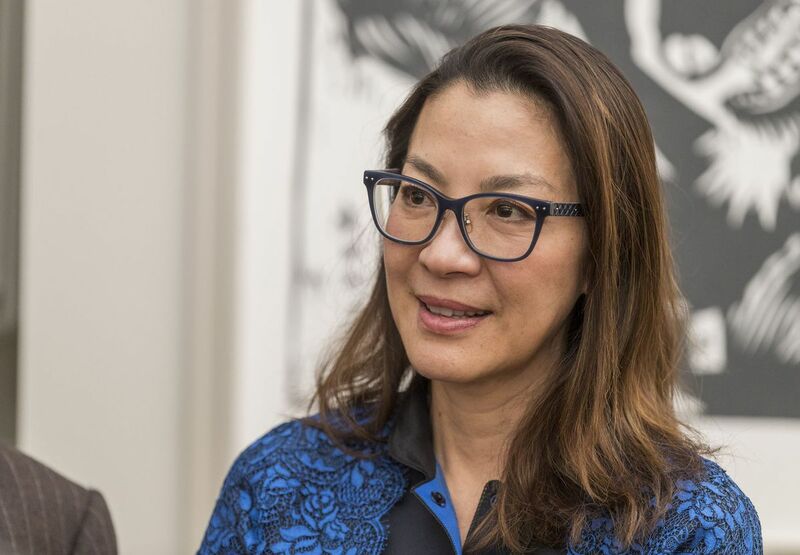 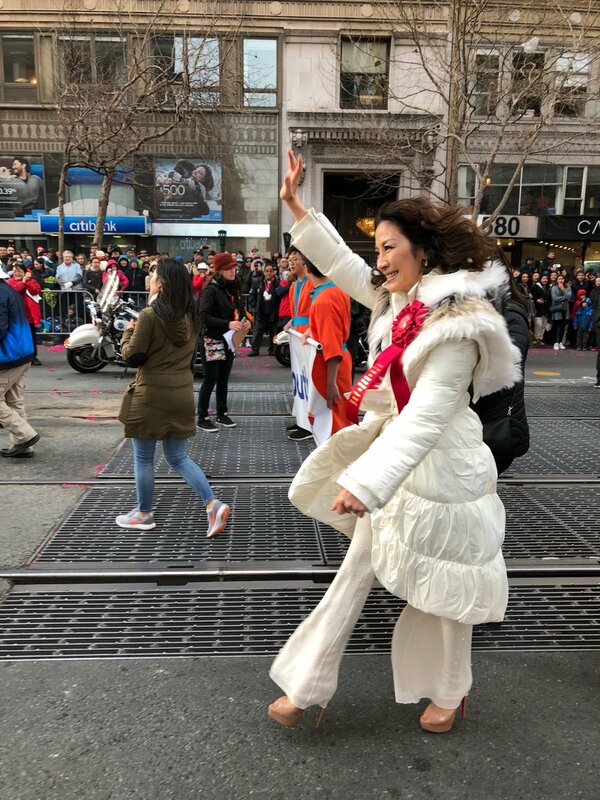 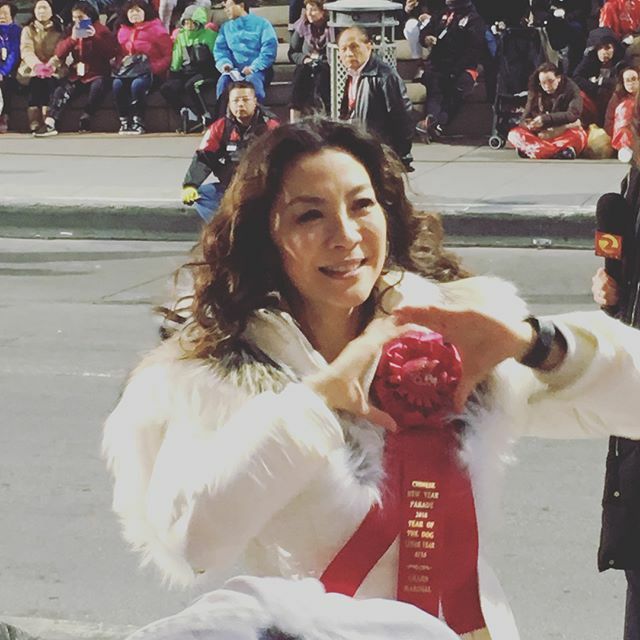 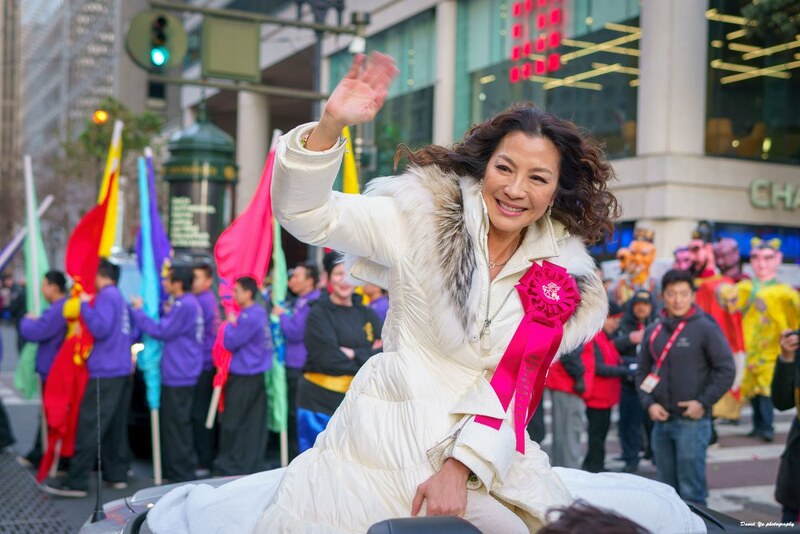 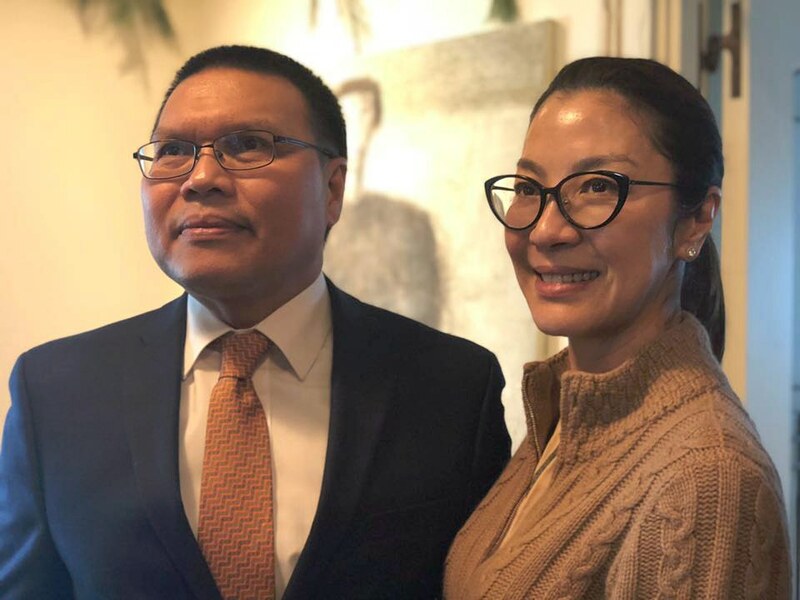 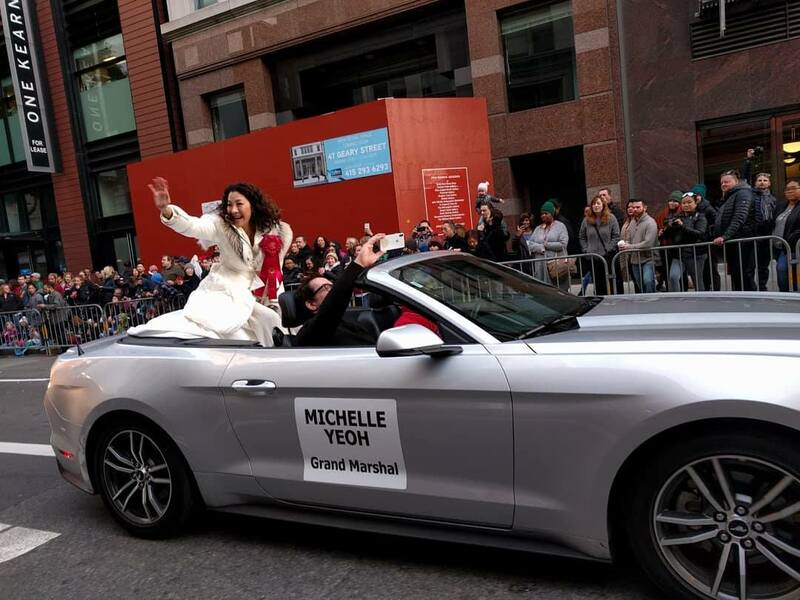 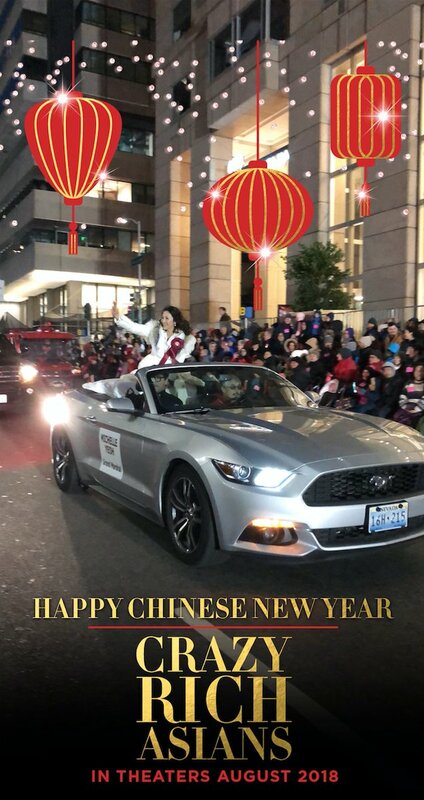 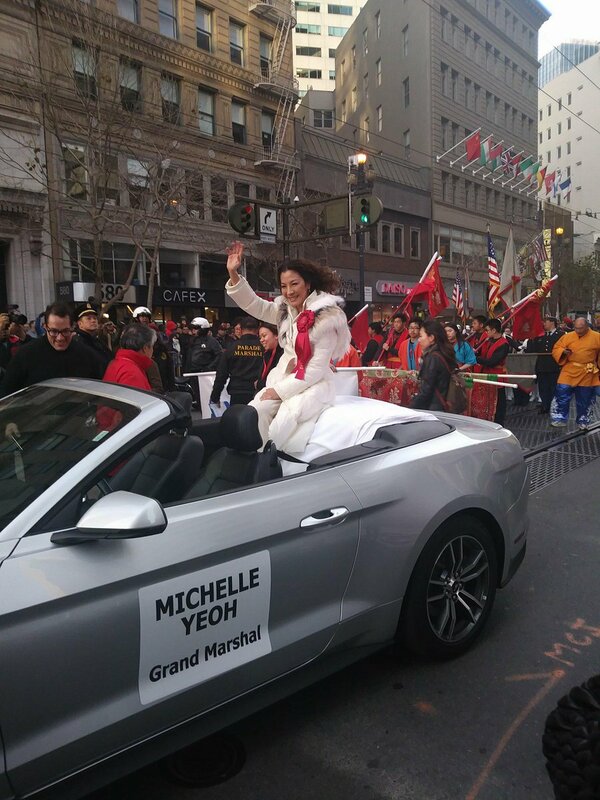 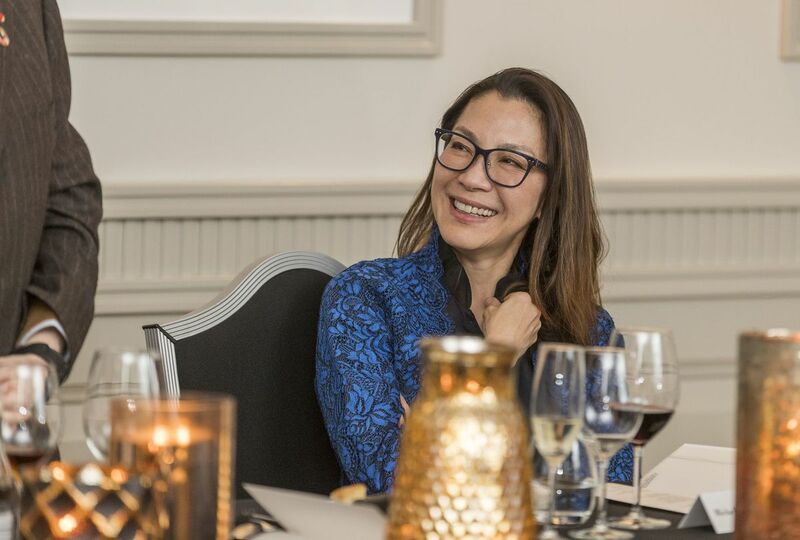 She will be the Parade Marshall for the 2018 Southwest Chinese New Year Parade in San Franccisco, February 24th. 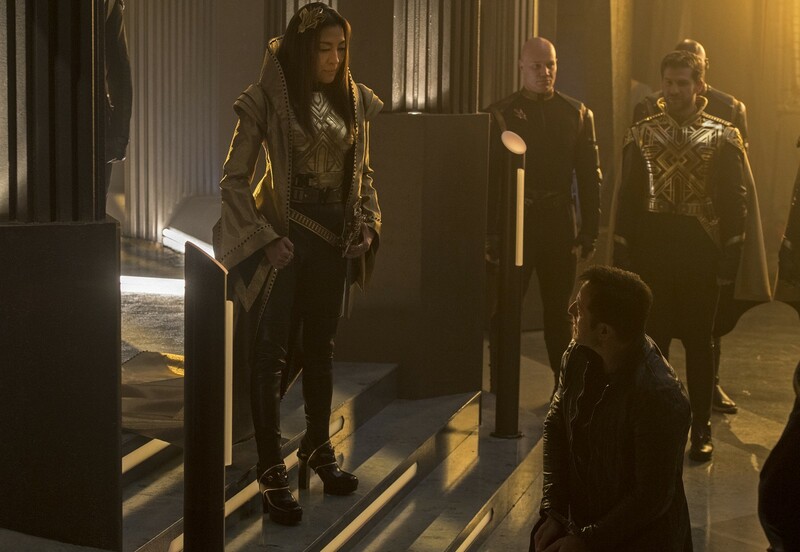 - Updates in Star Trek: Discovery. 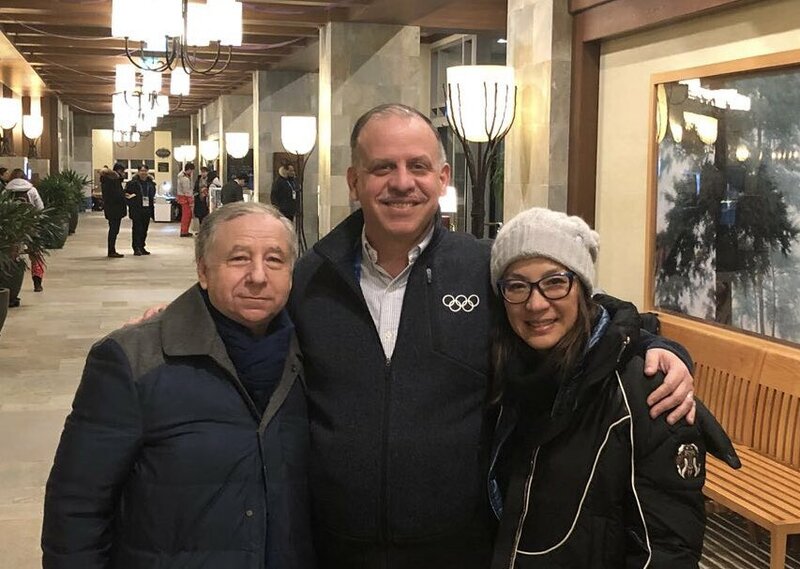 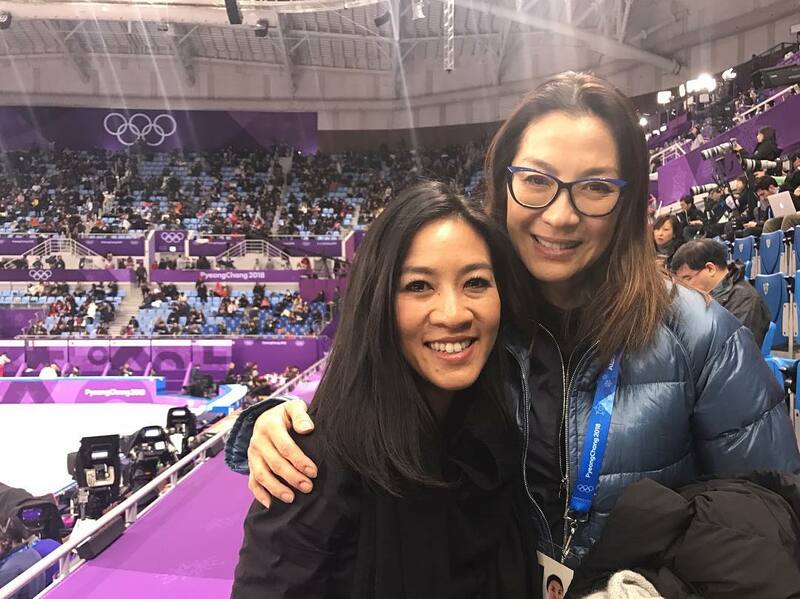 - At the PyeongChang 2018 Winter Olympic, South Korea. 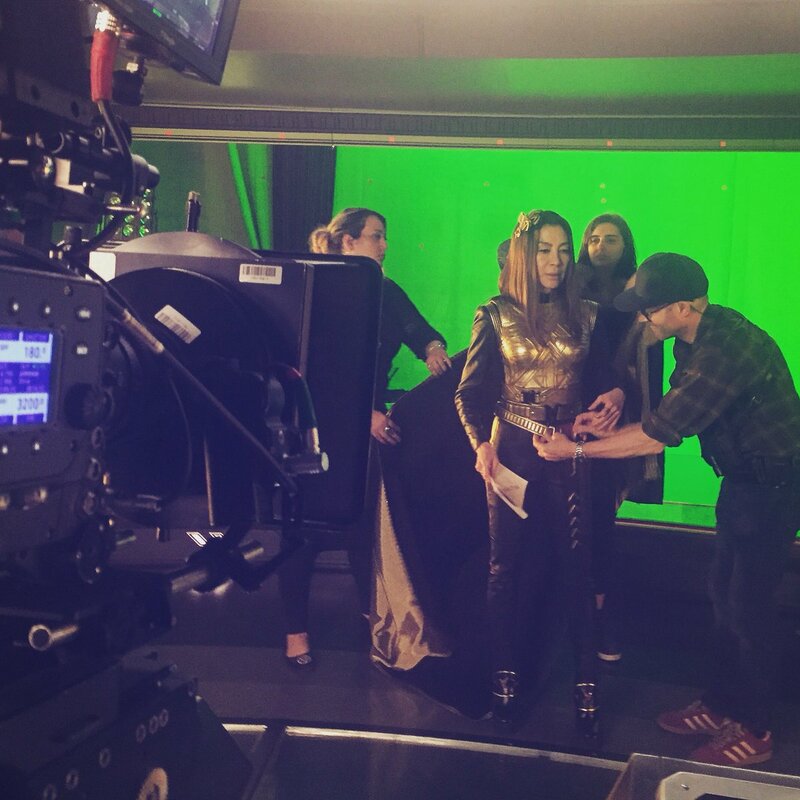 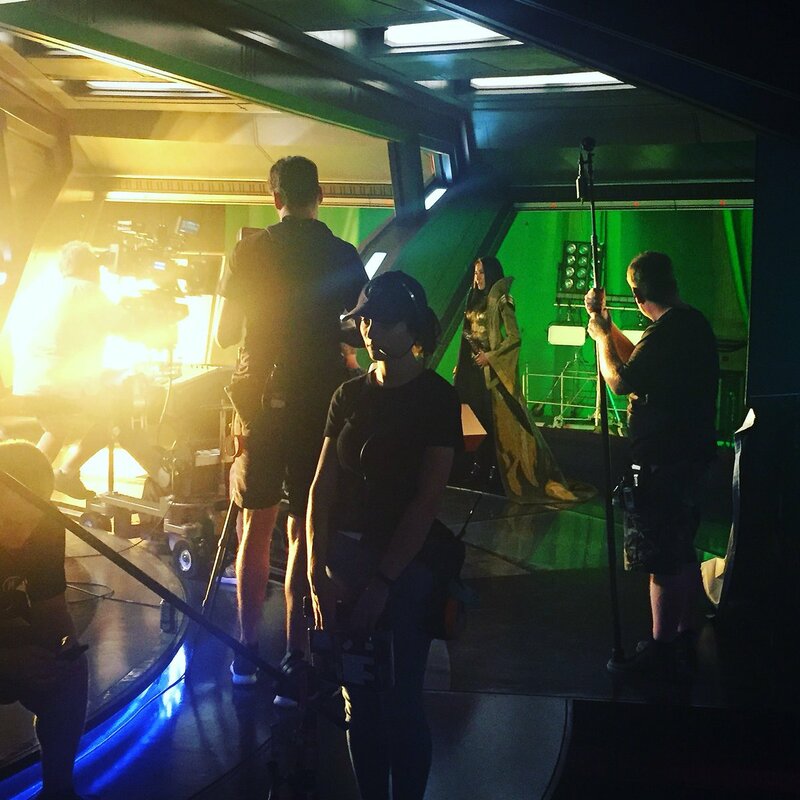 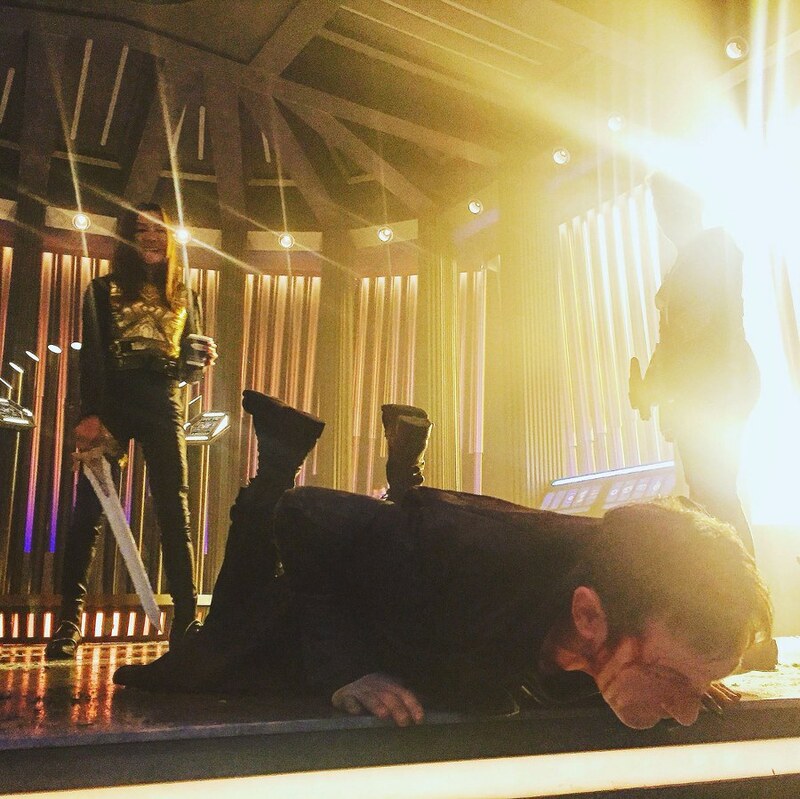 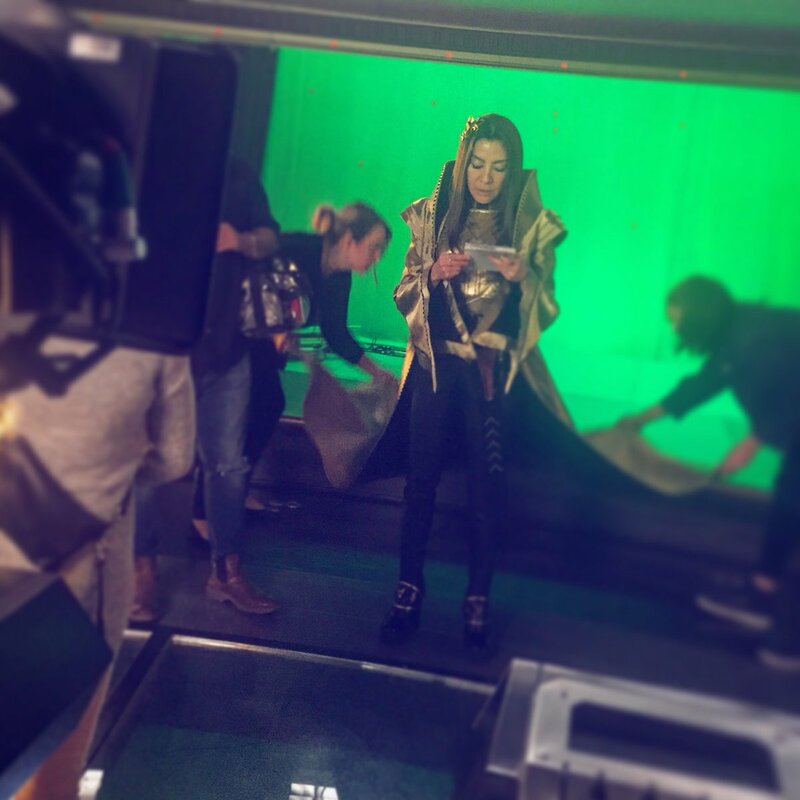 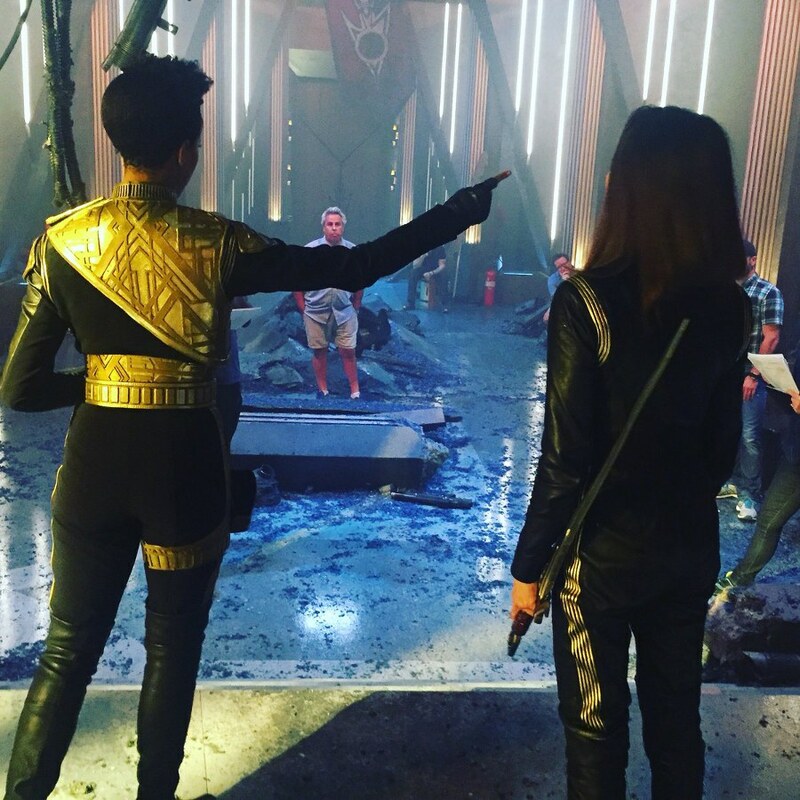 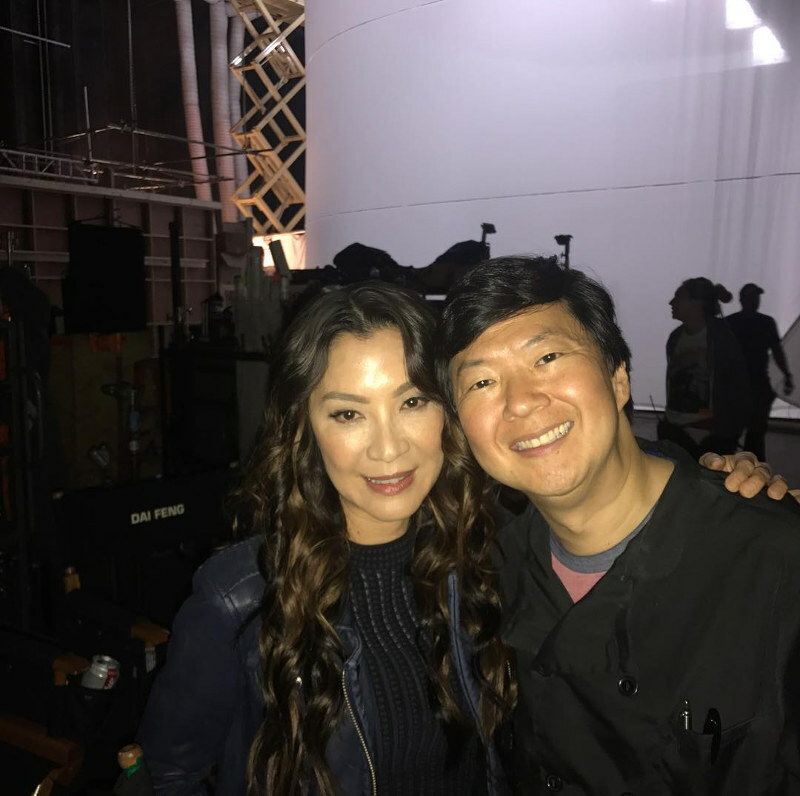 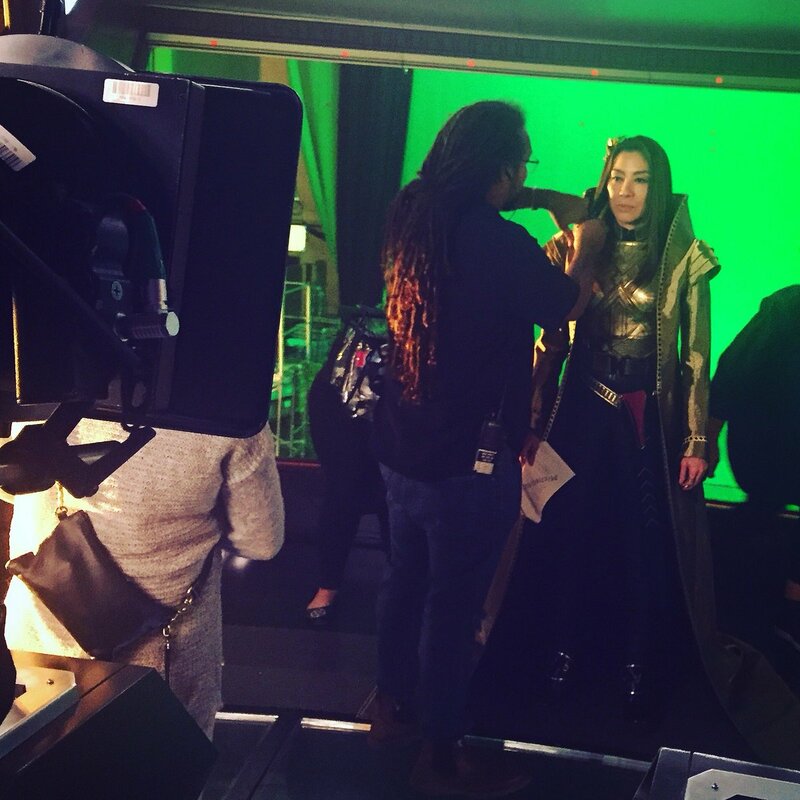 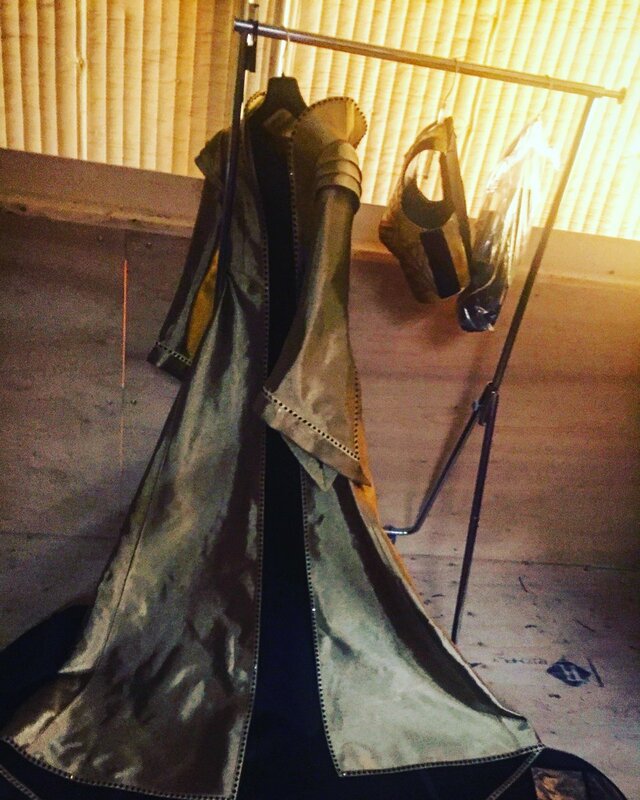 See Star Trek: Discovery for more behind scenes photos. 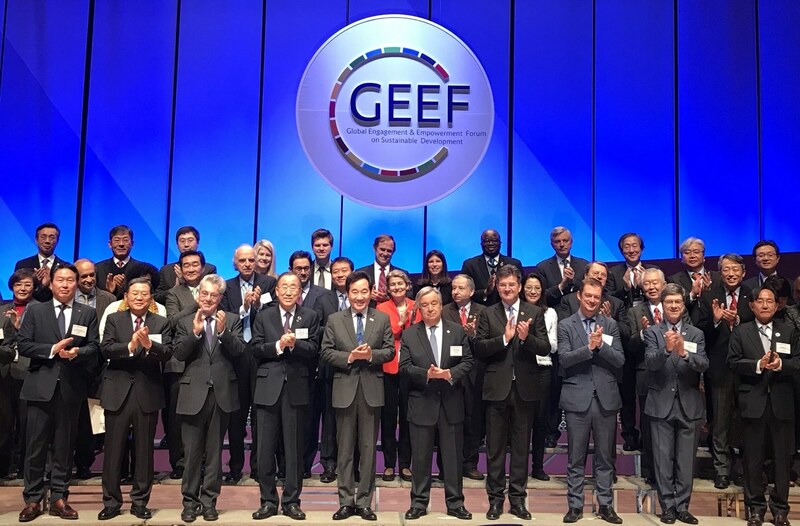 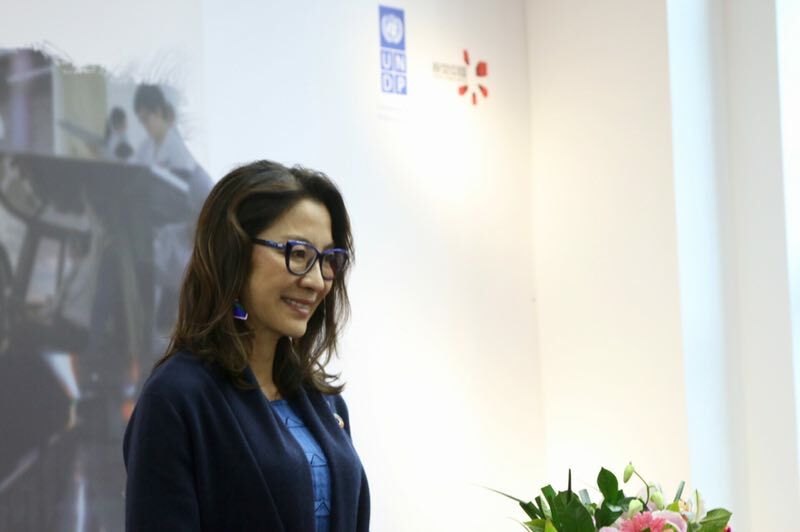 - Photos: Michelle attending the Global Engagement & Empowerment Forum on Sustainable Development in Seoul, South Korea. 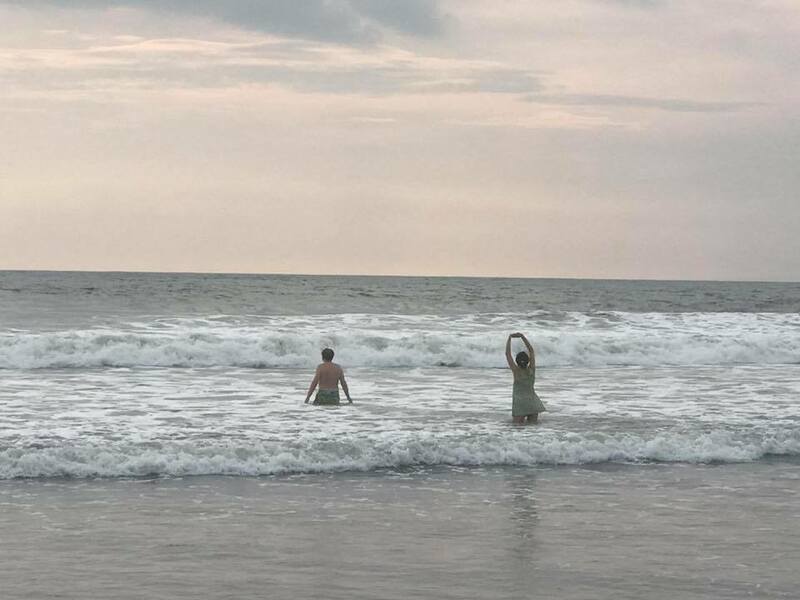 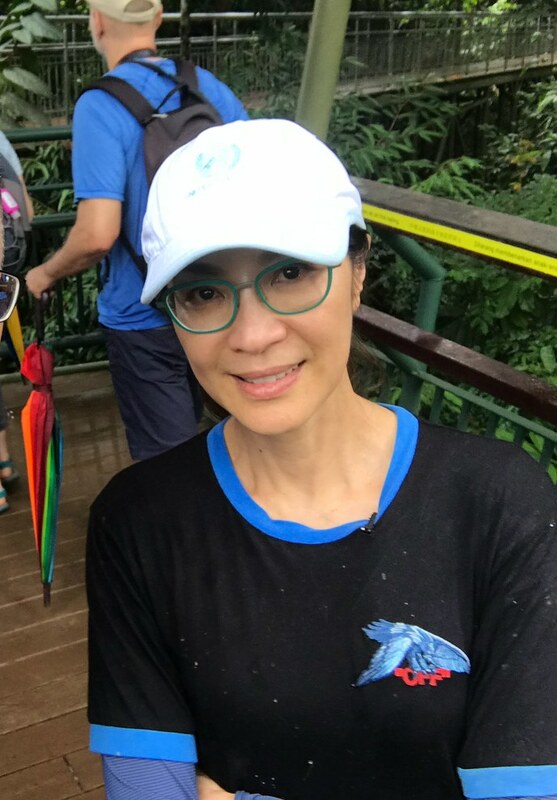 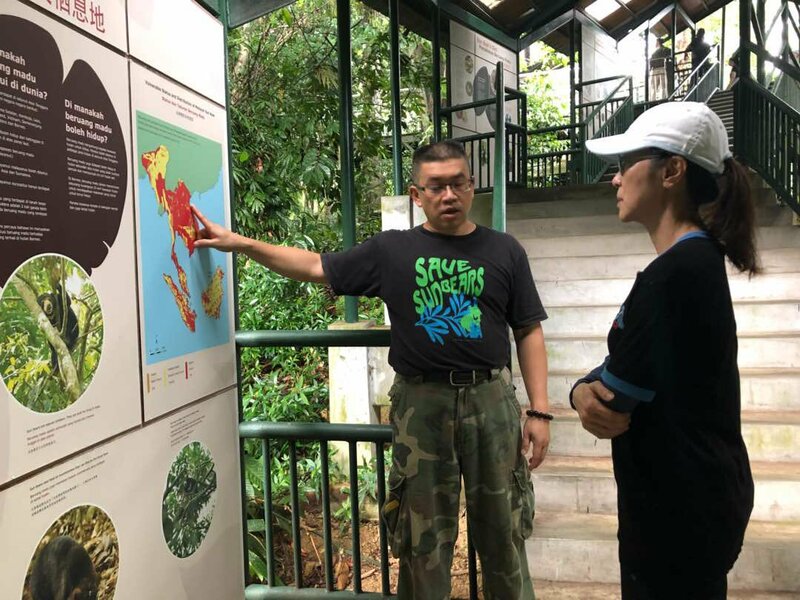 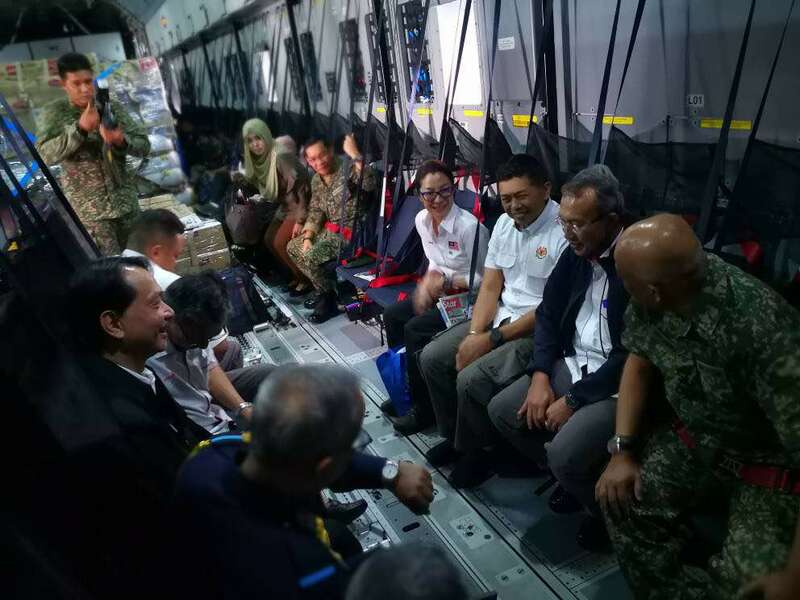 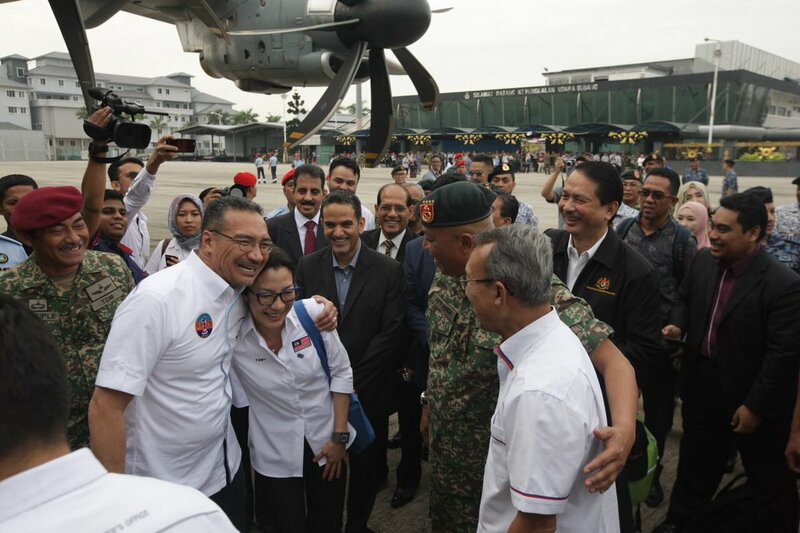 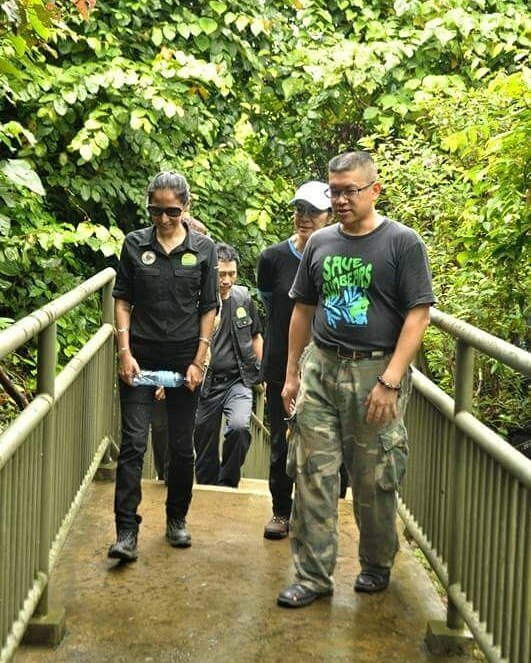 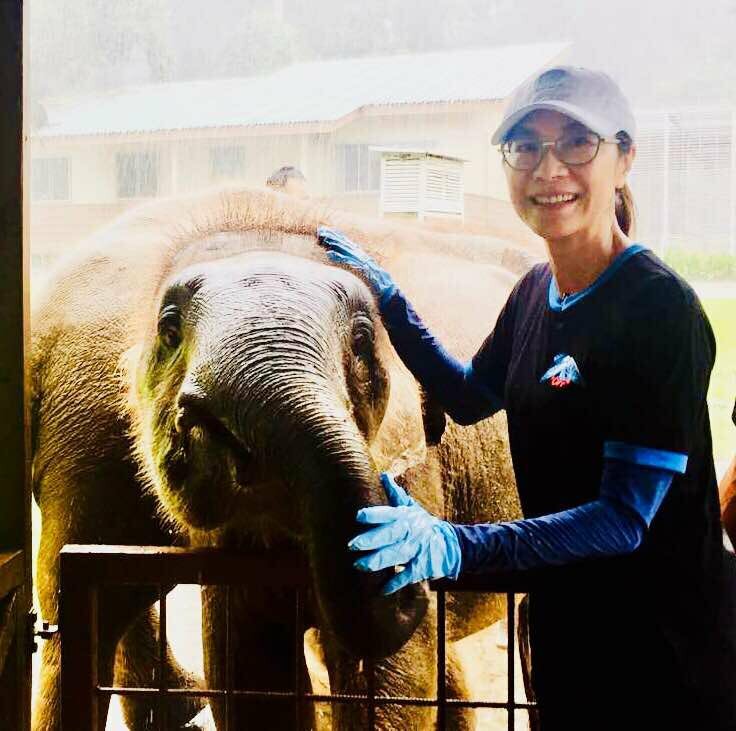 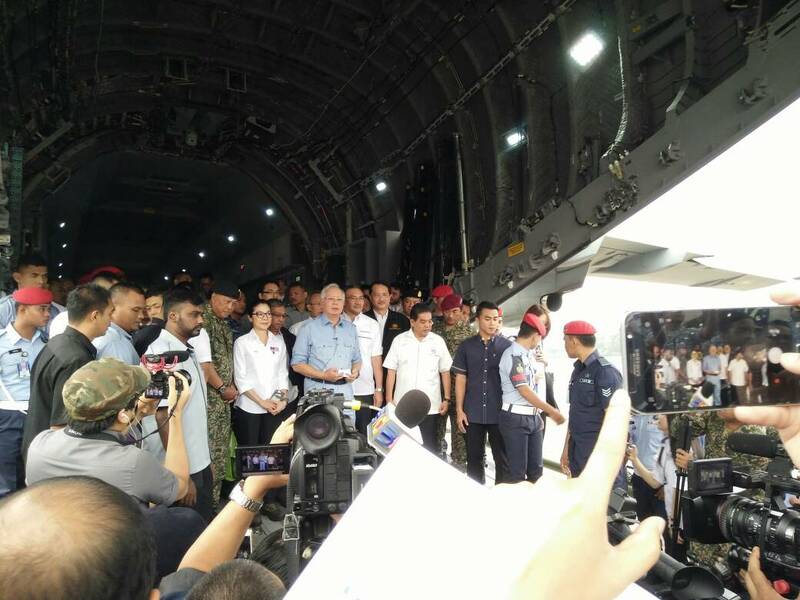 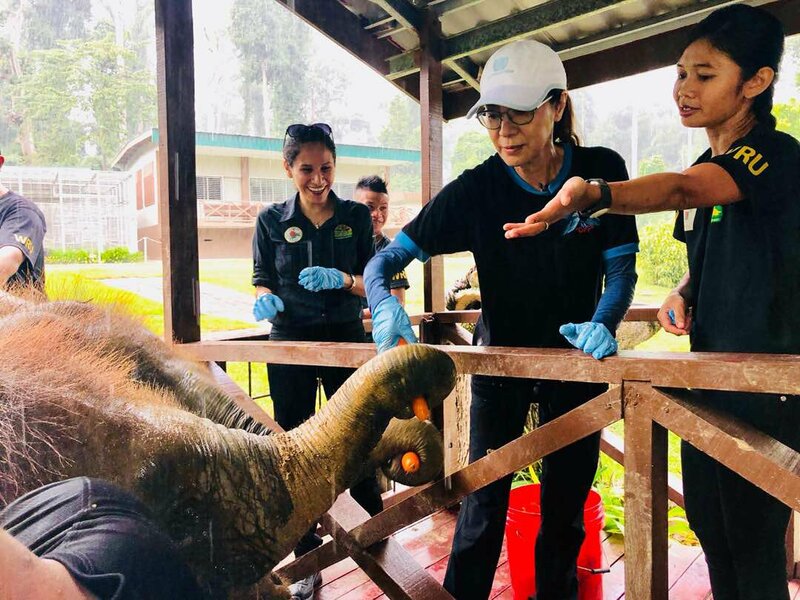 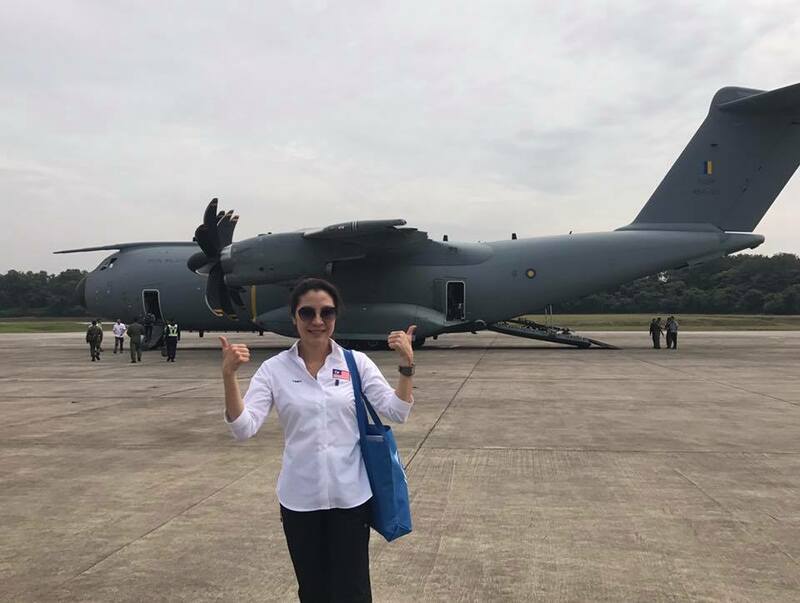 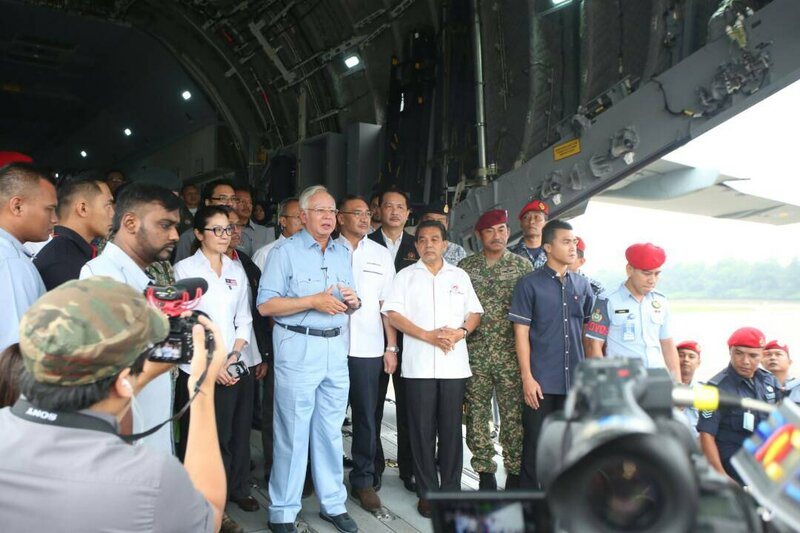 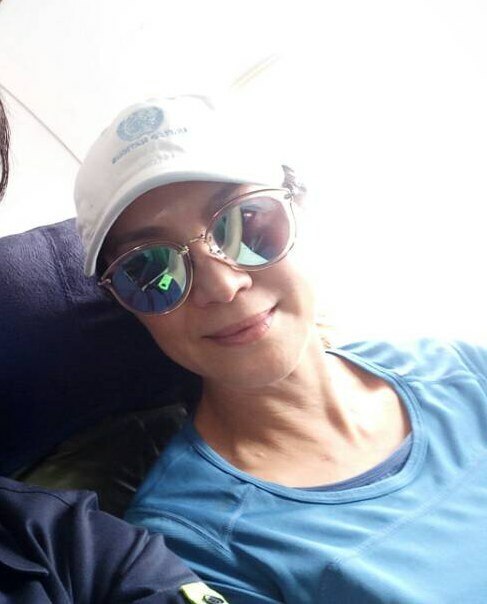 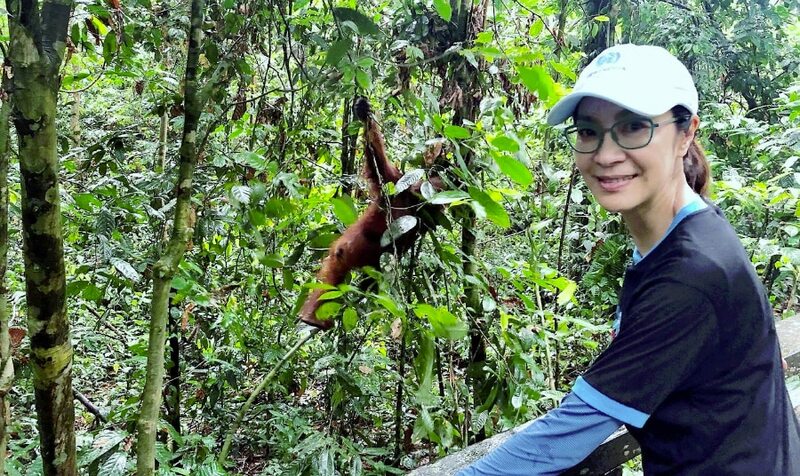 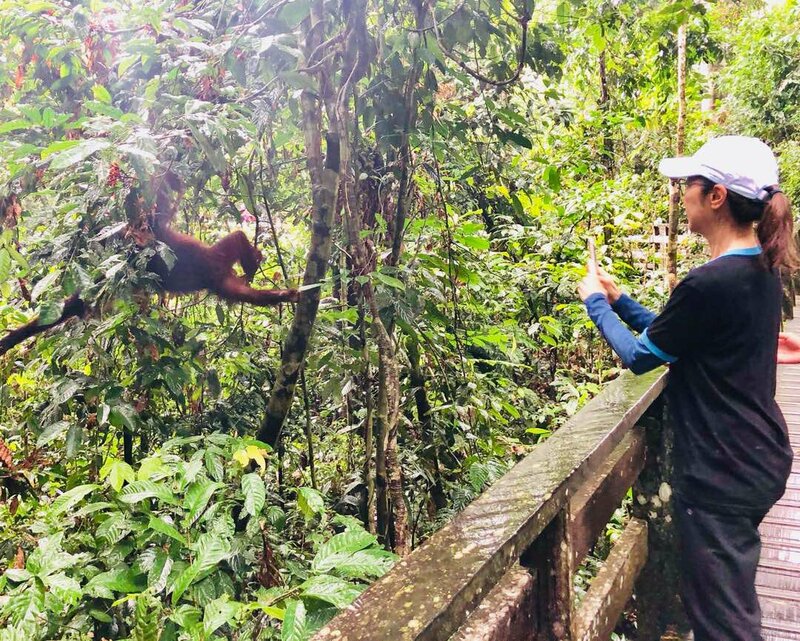 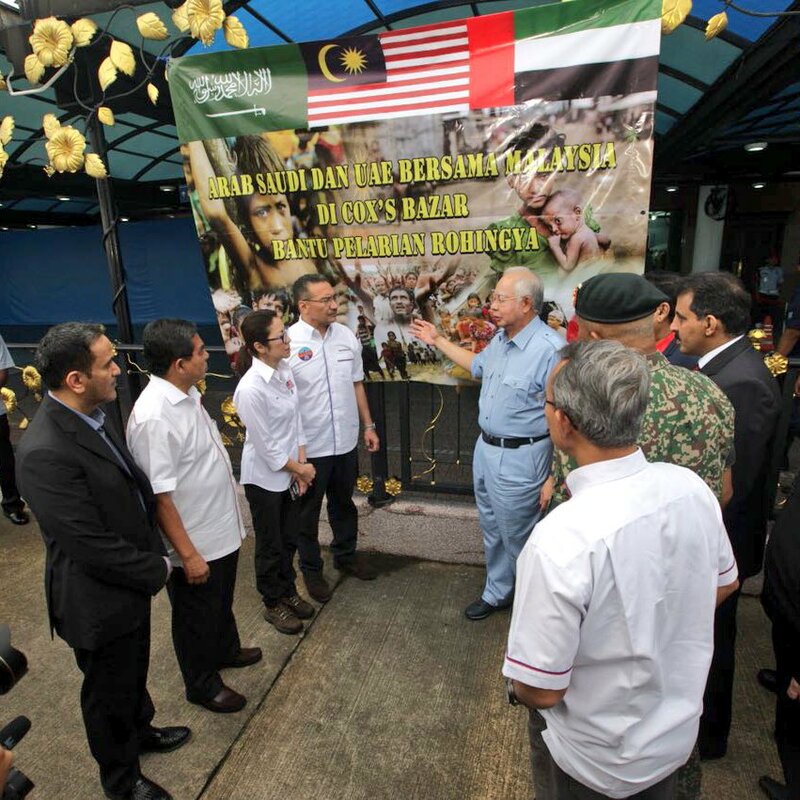 - Photos: Michelle at wildlife conservation in Sandakan, Sabah, Malaysia, February 3rd. 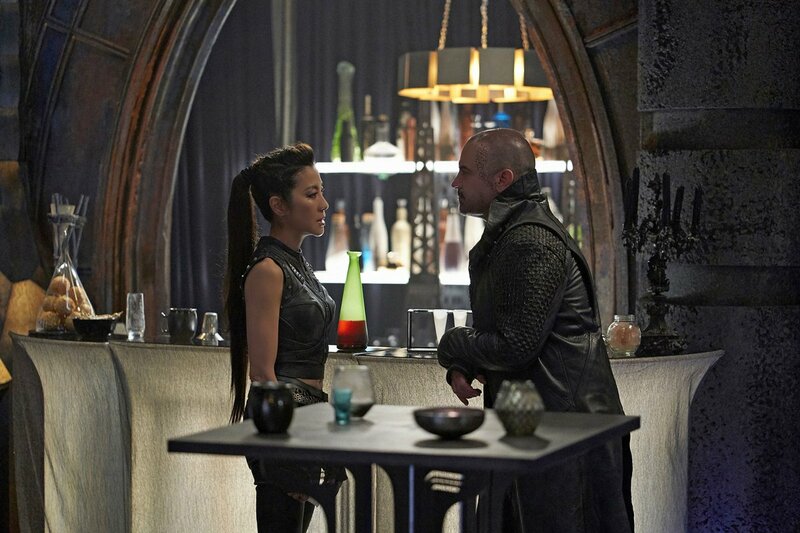 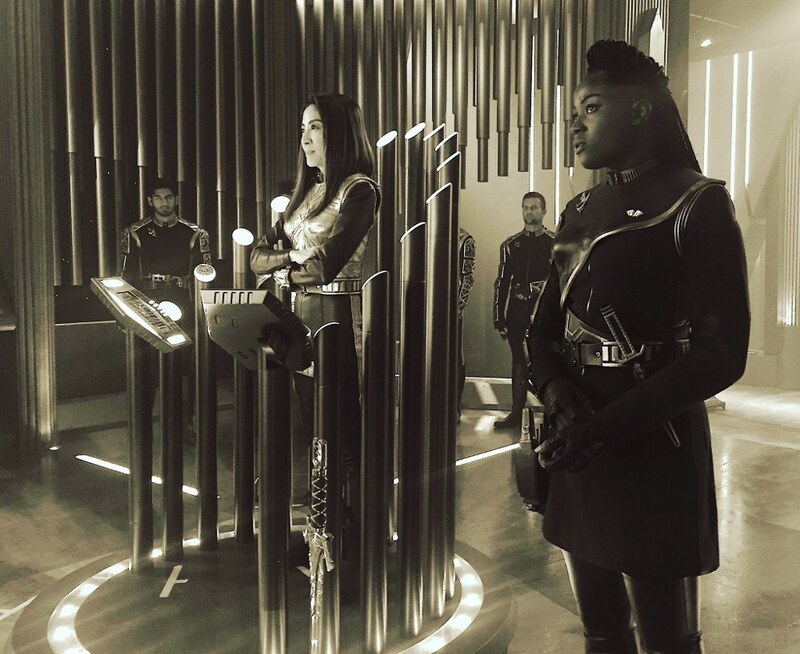 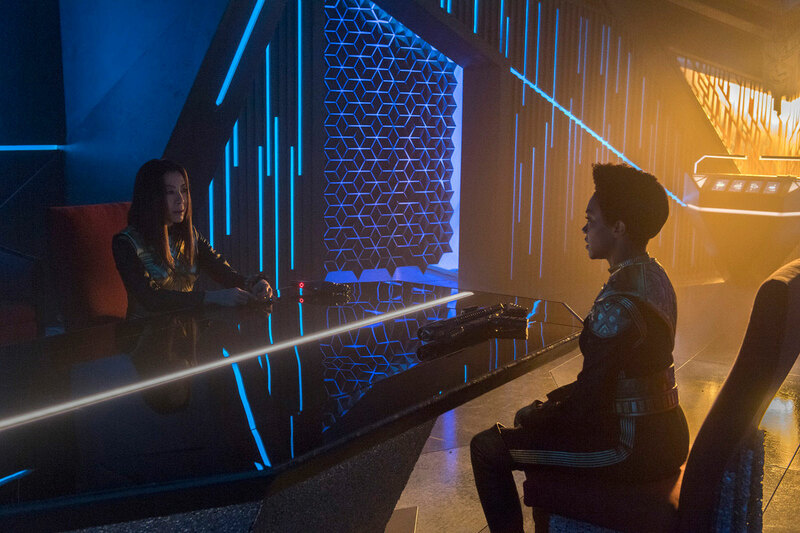 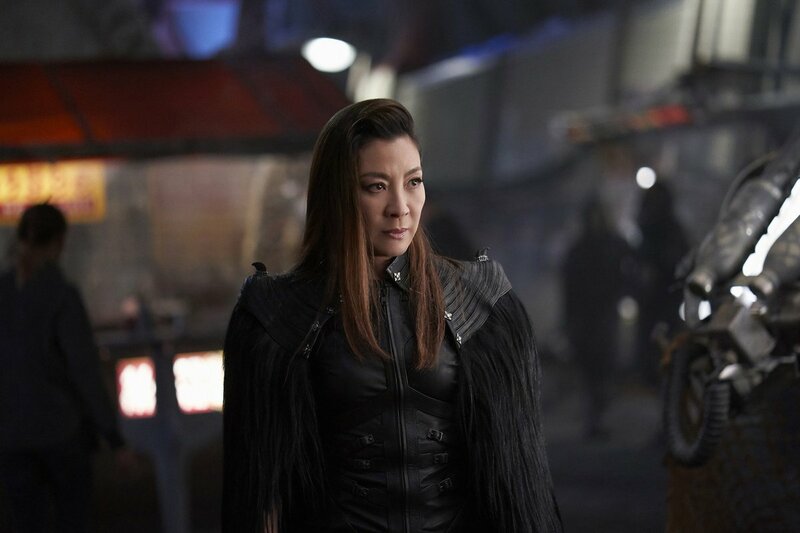 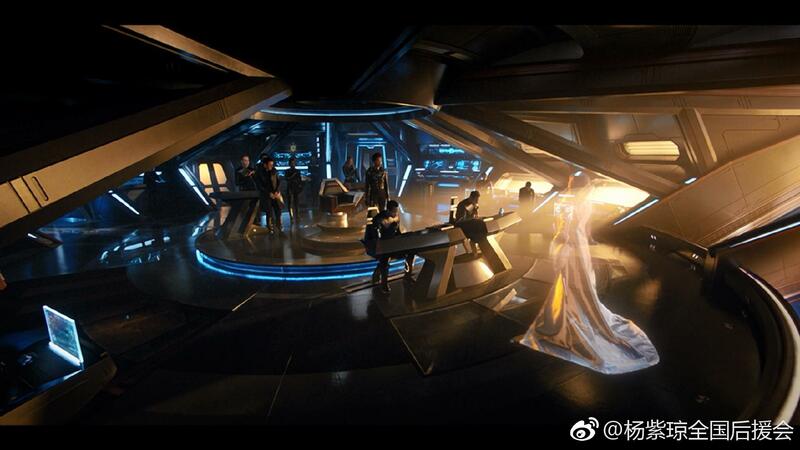 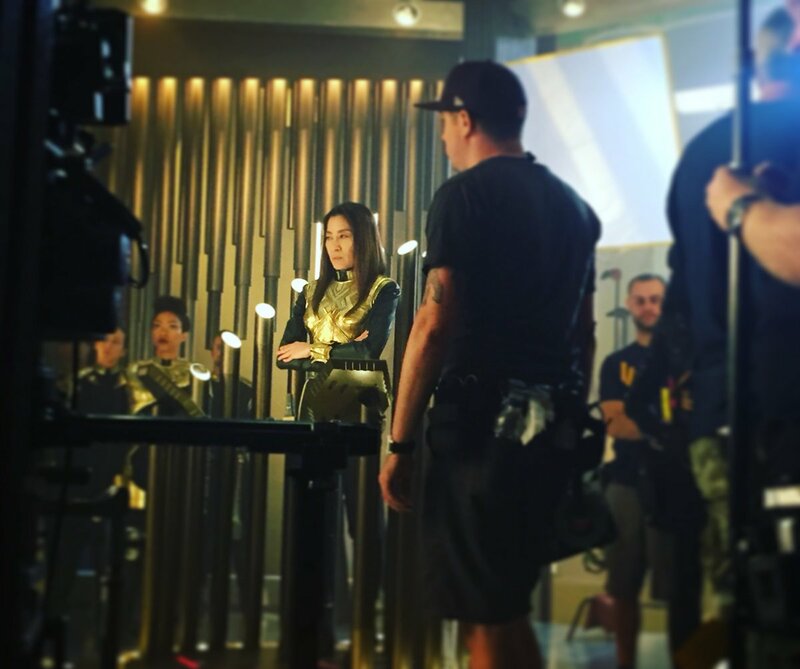 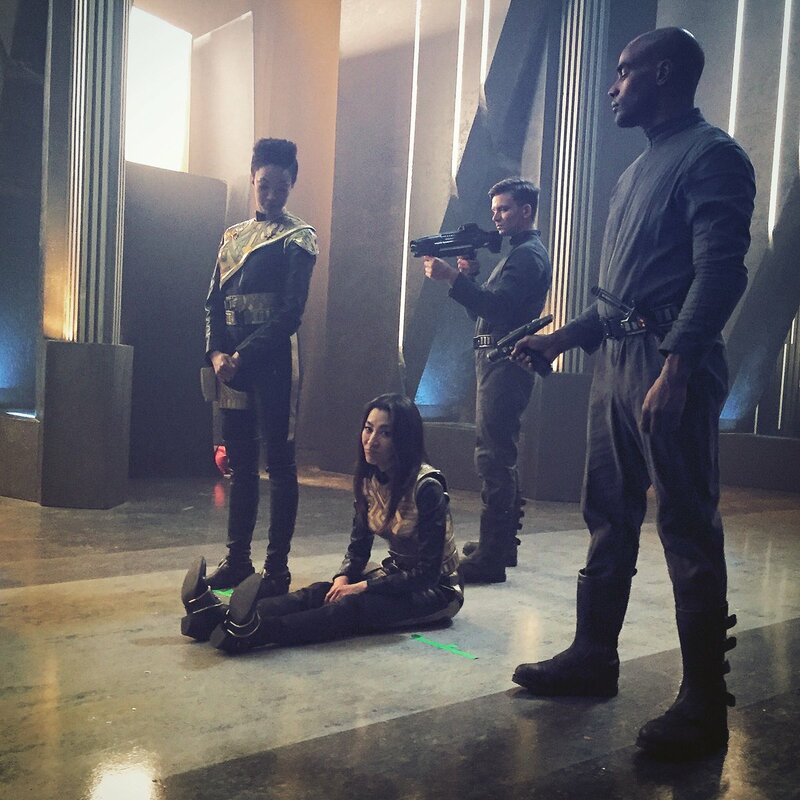 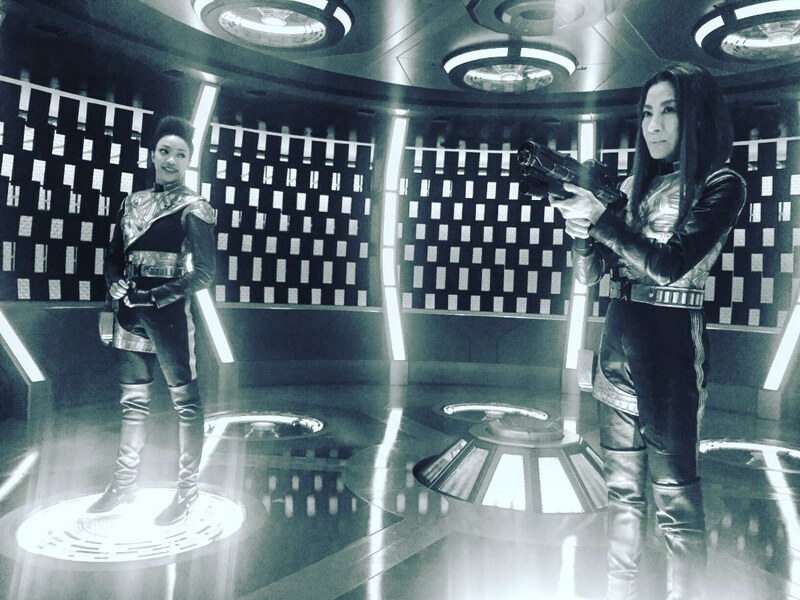 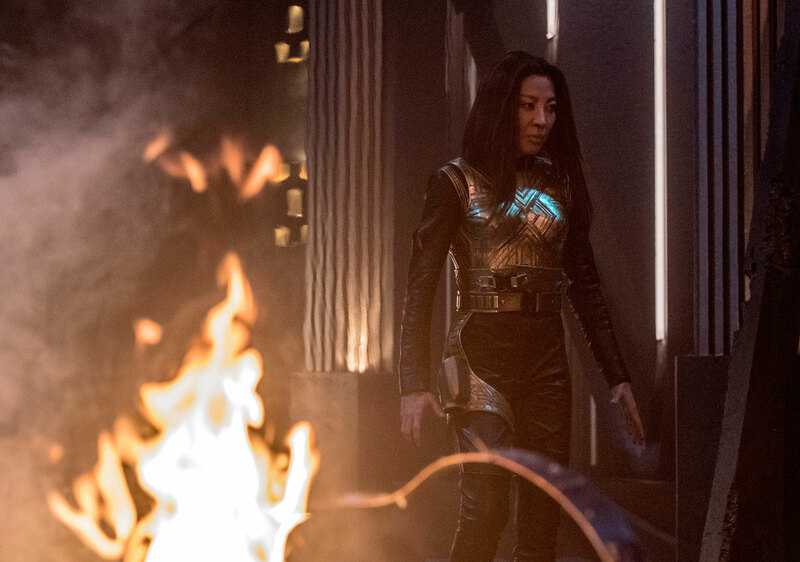 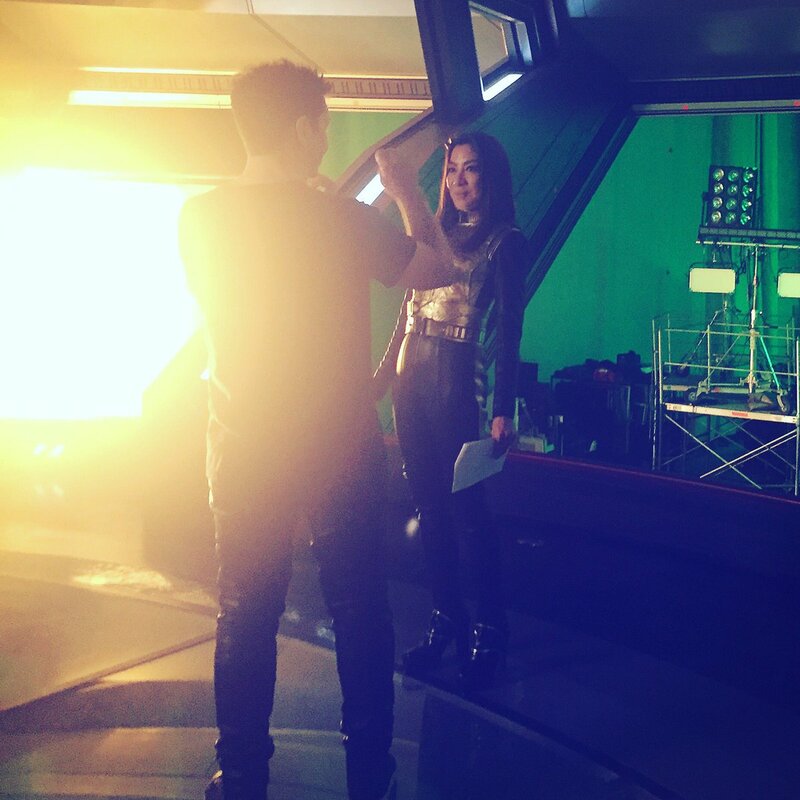 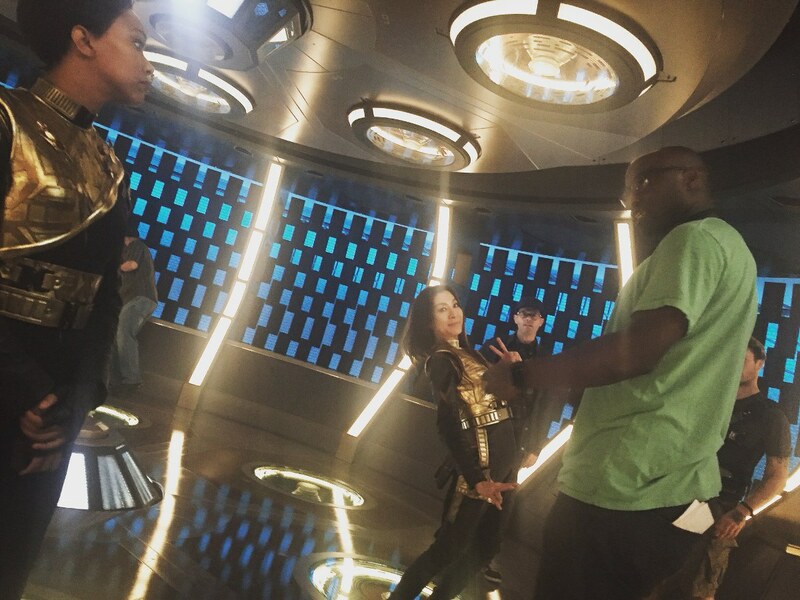 - See Star Trek: Discovery for more stills and behind scenes photos. 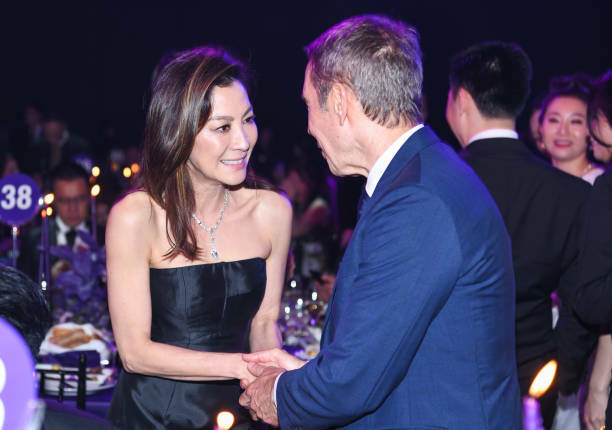 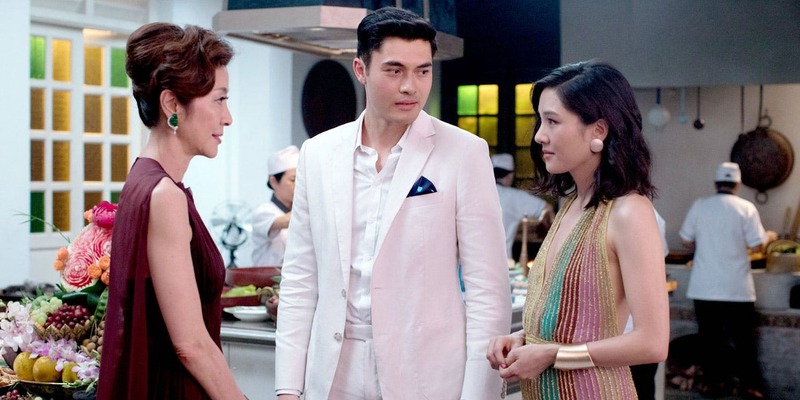 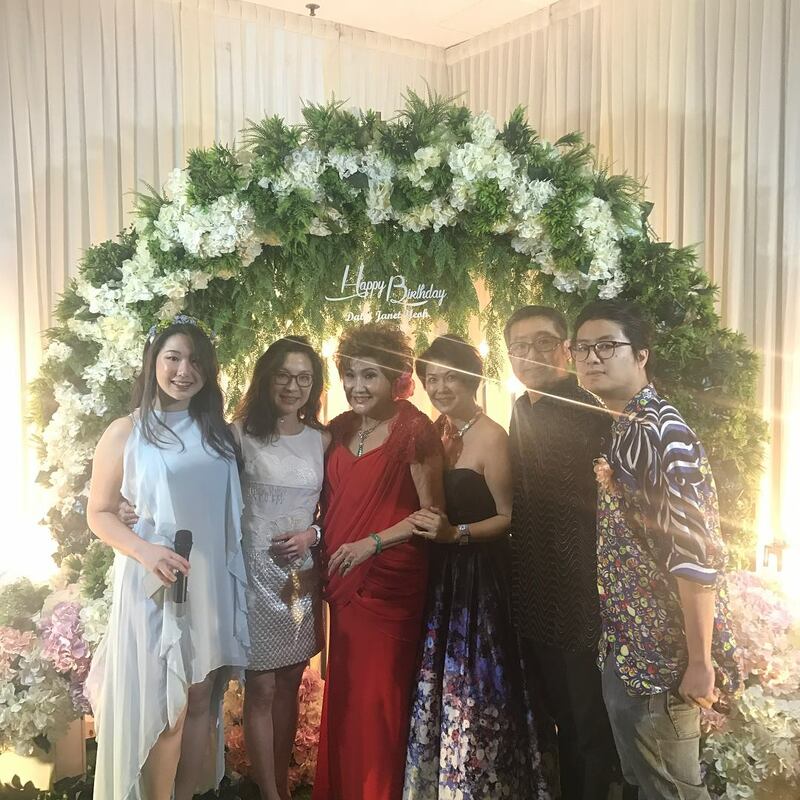 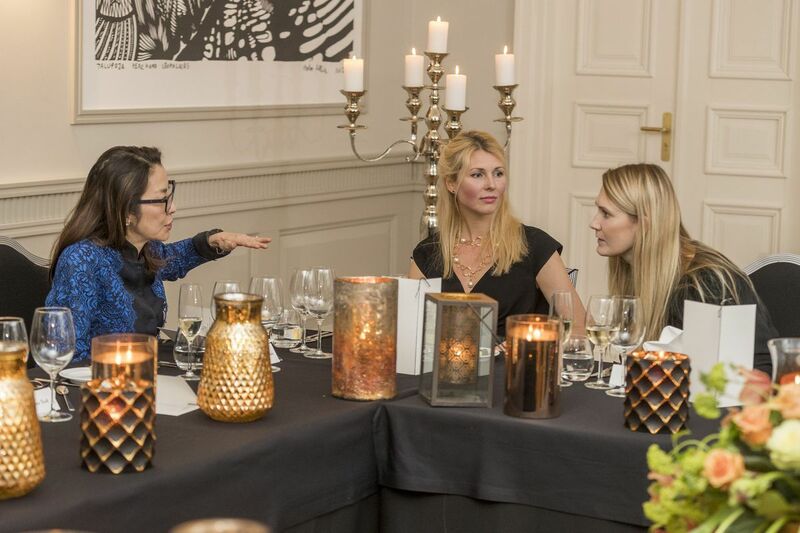 - January 31st: at a Parfums Henry Jacques event, Marina Bay Sands Hotel, Singapore. 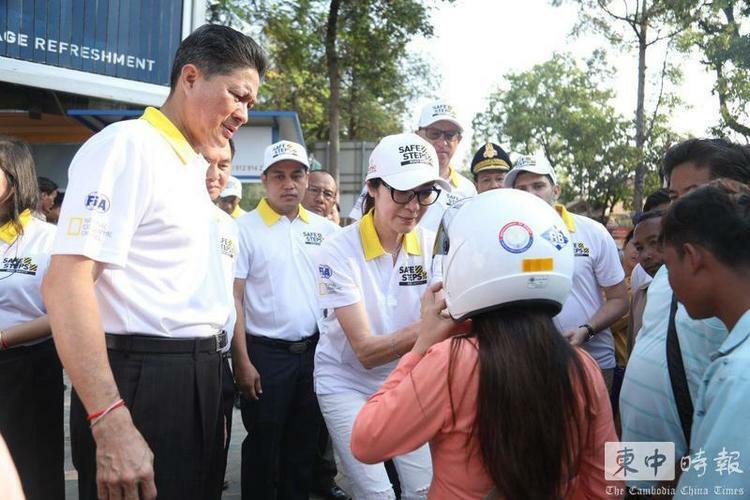 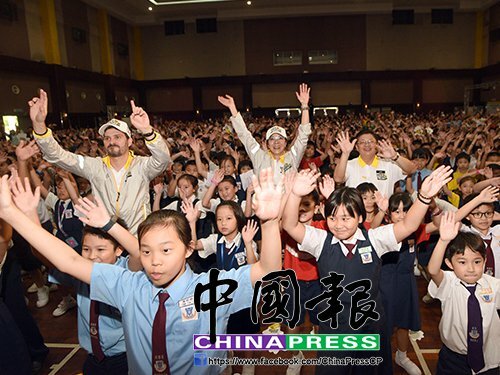 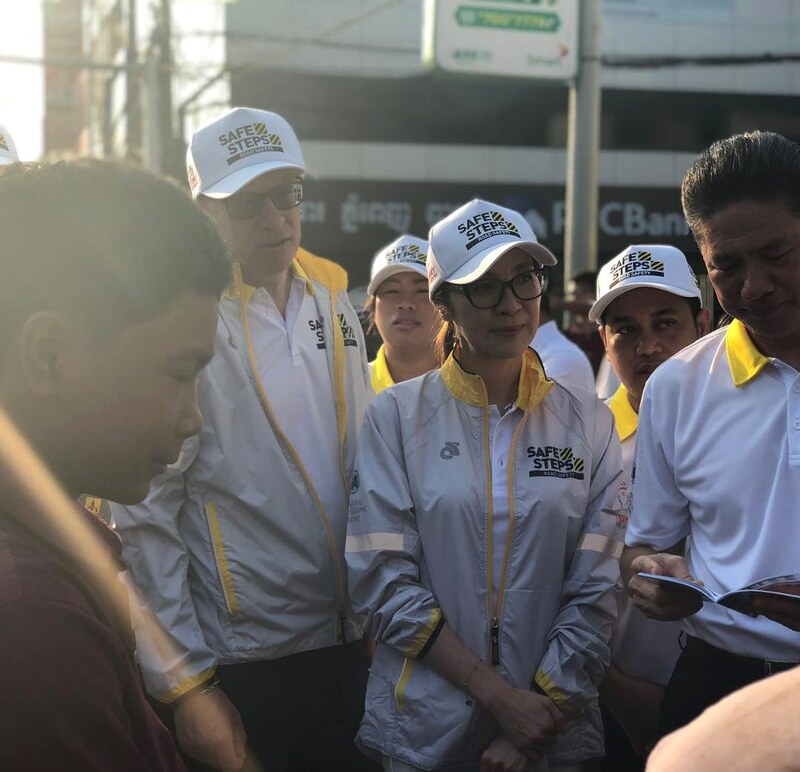 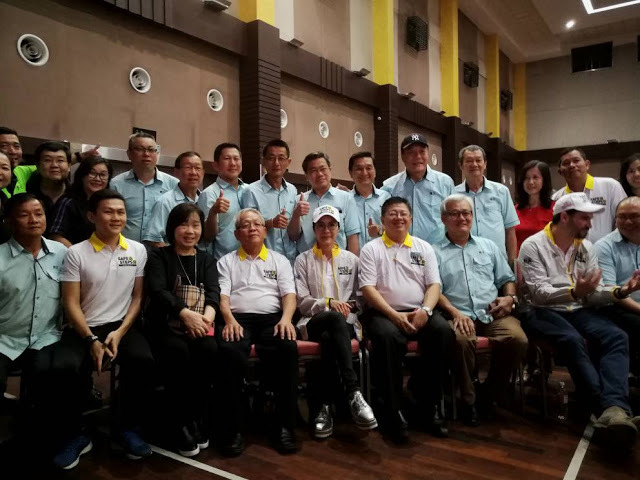 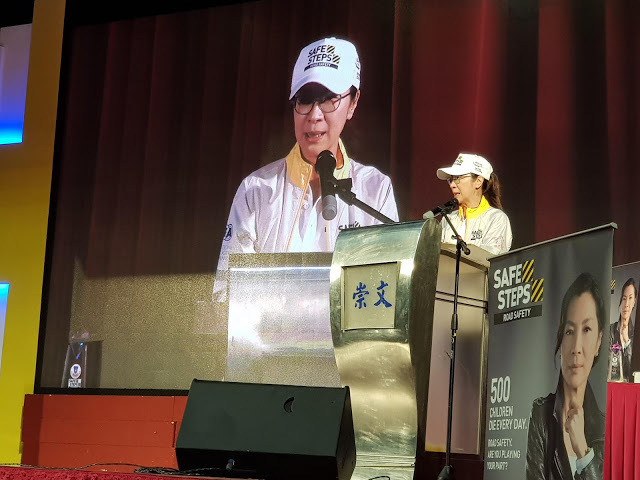 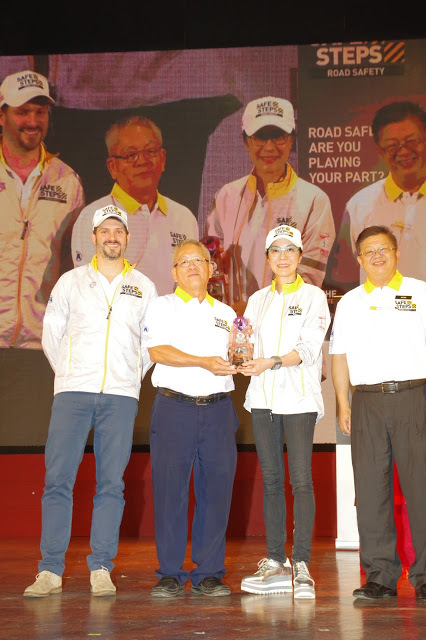 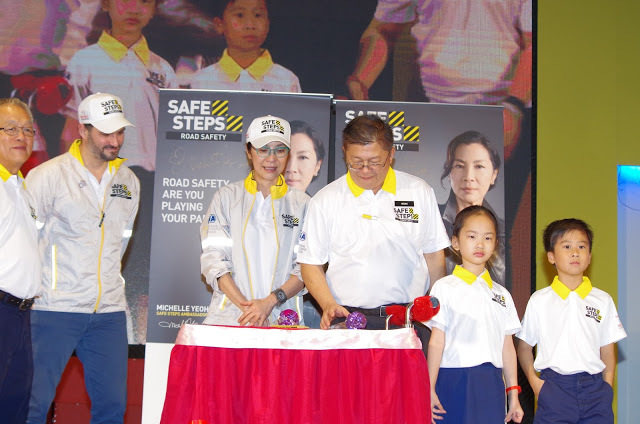 - News photos: Michelle promoting road safety in SJKC Choong Wen Elementary School, Kuala Lumpur, Malaysia, January 30th. 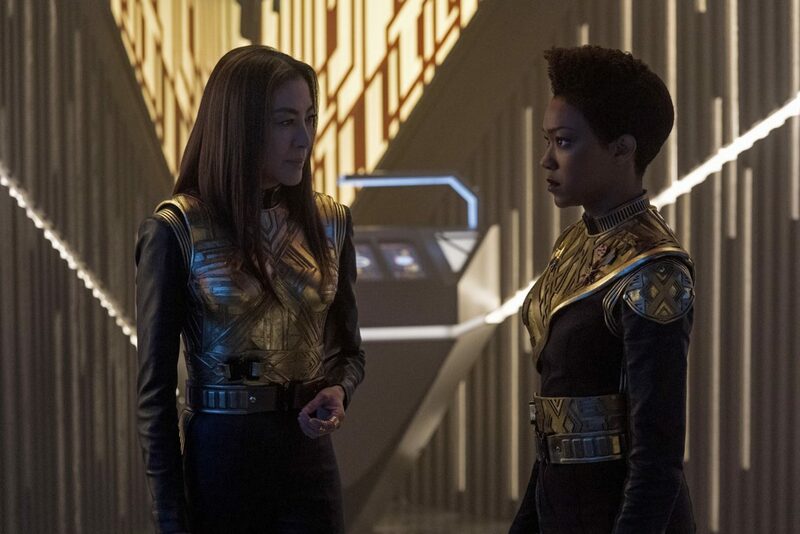 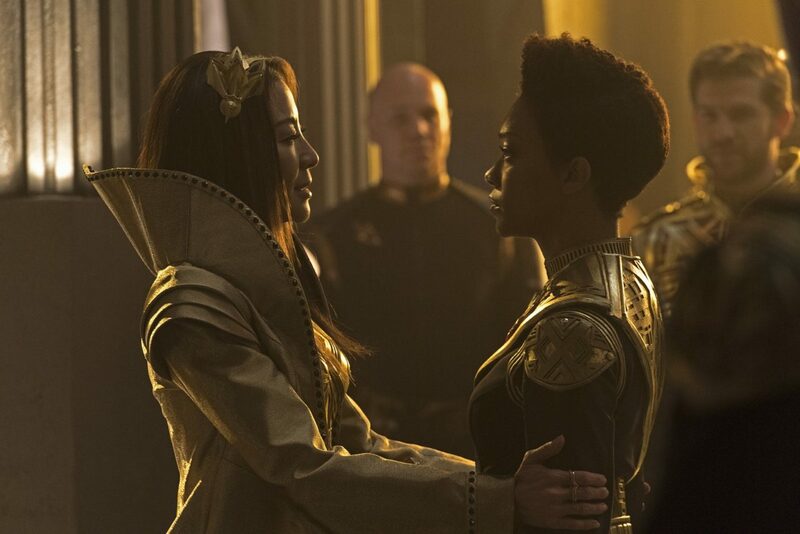 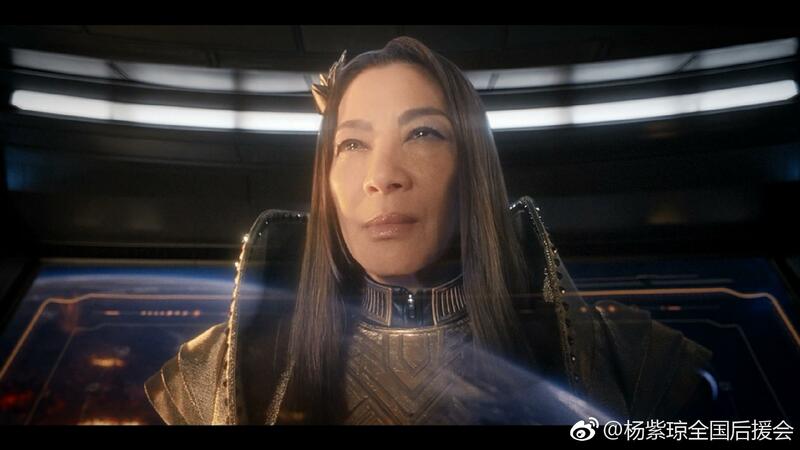 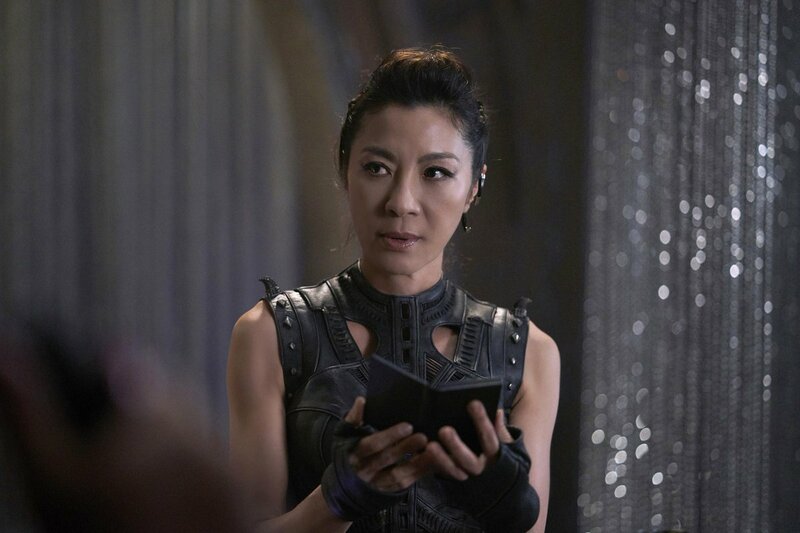 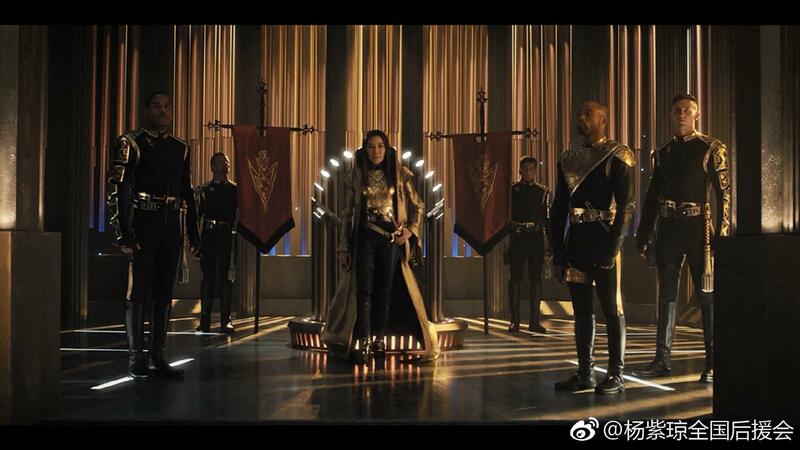 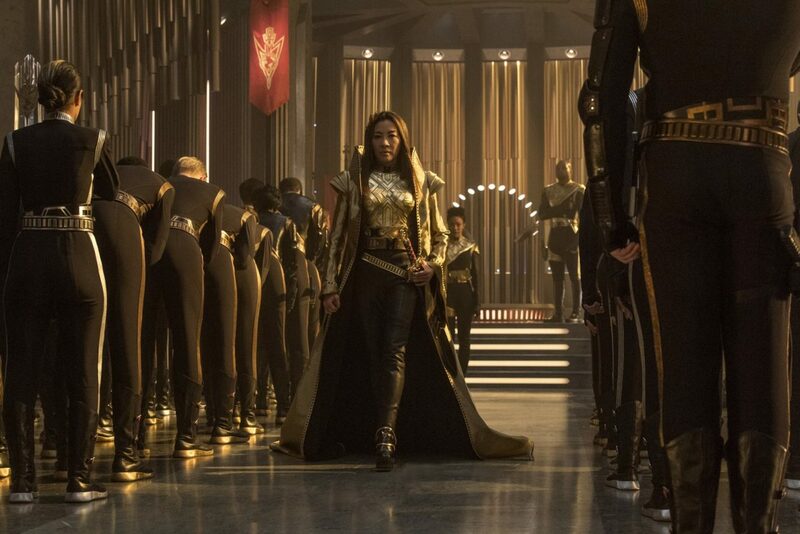 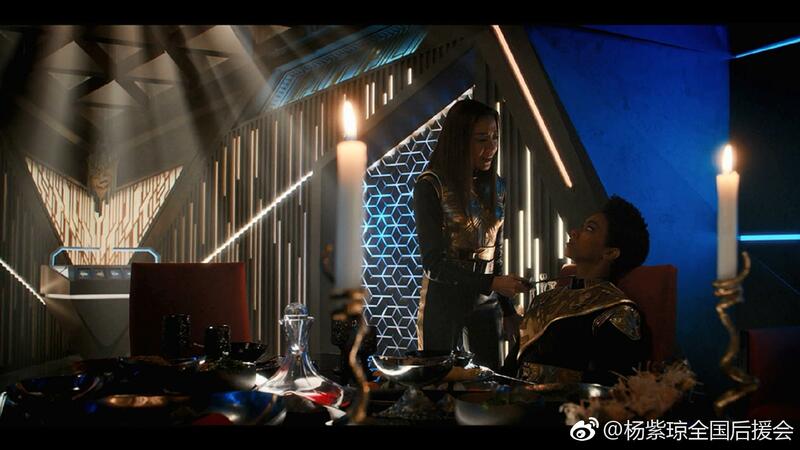 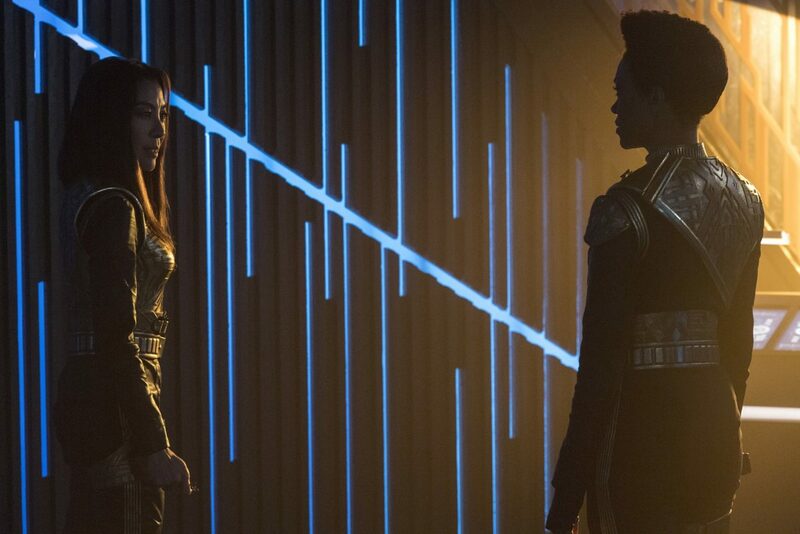 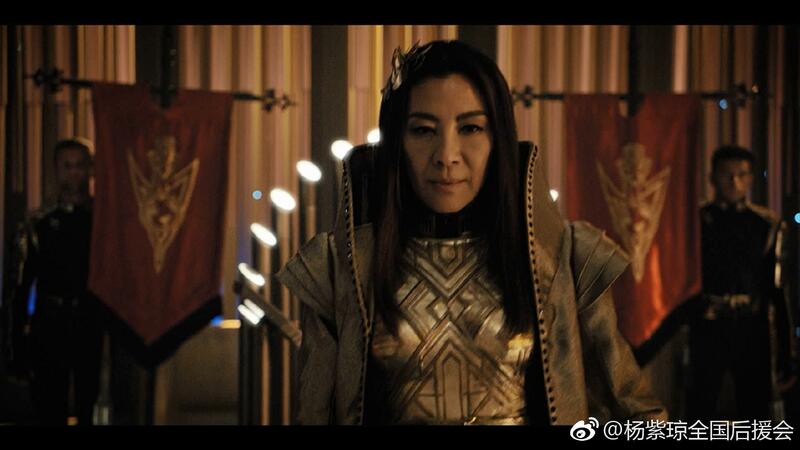 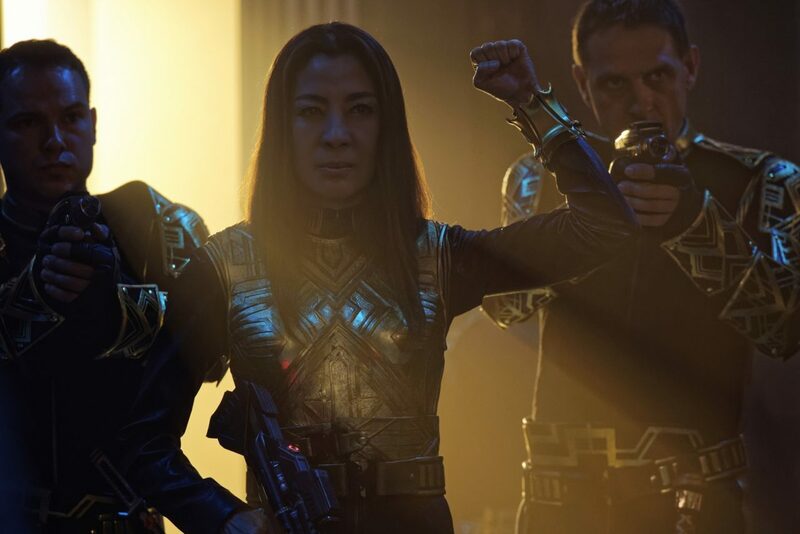 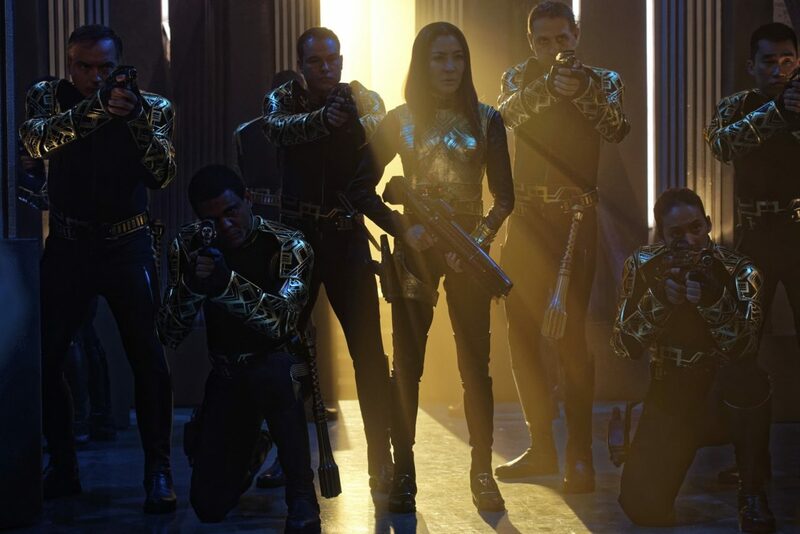 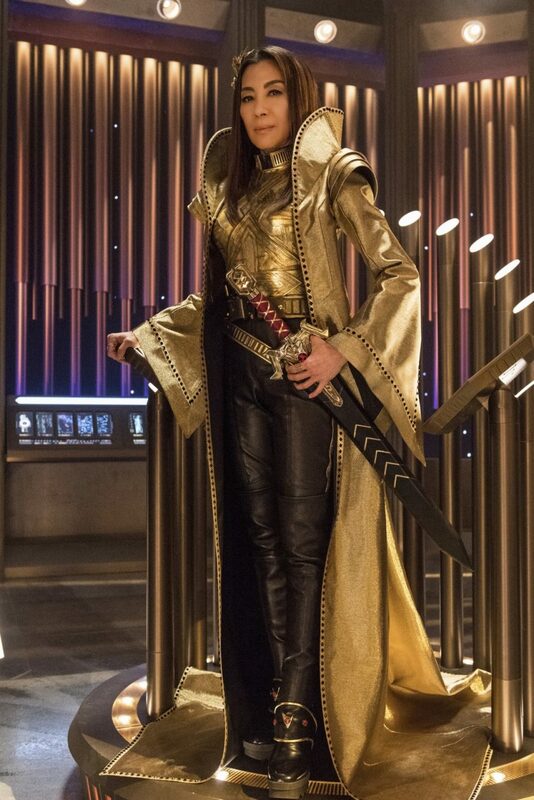 - See Star Trek: Discovery for more stills. 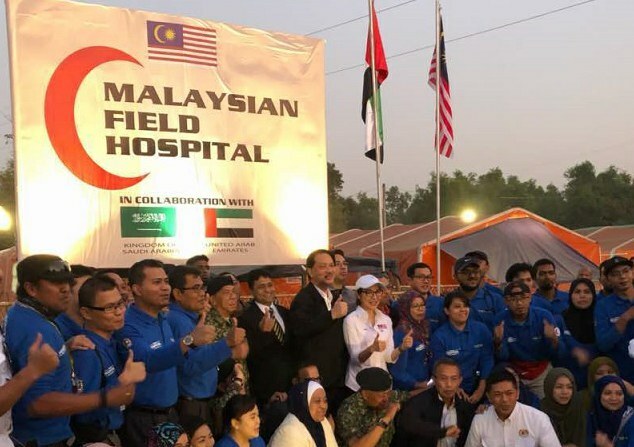 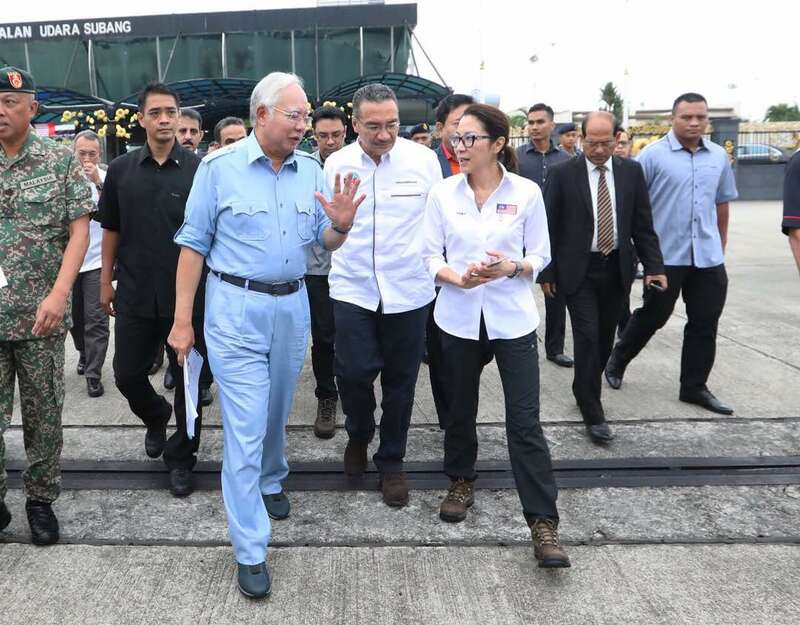 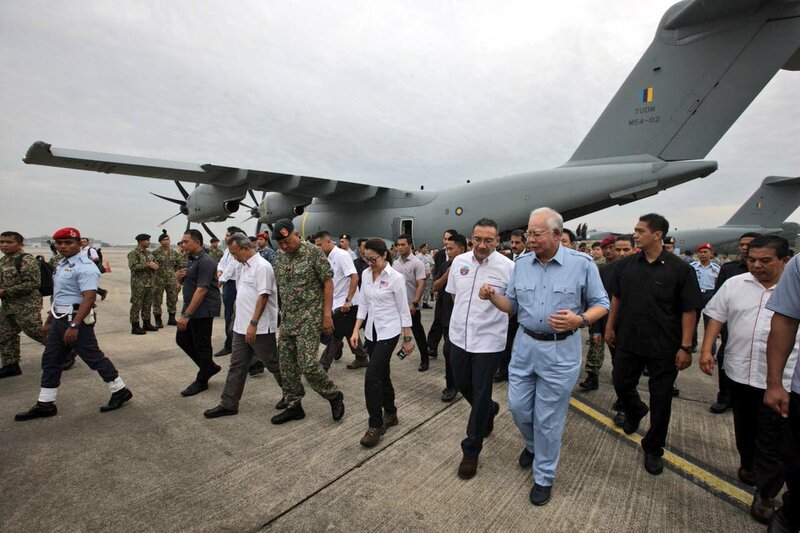 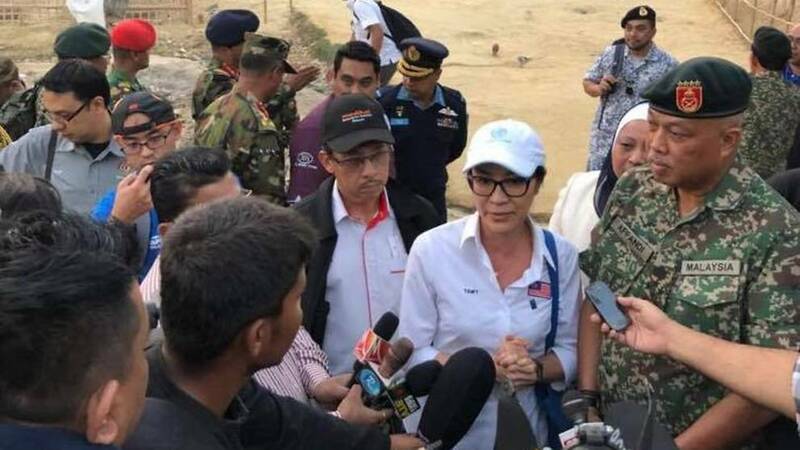 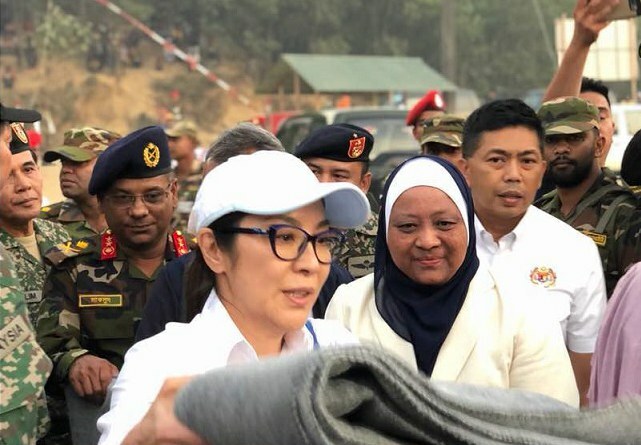 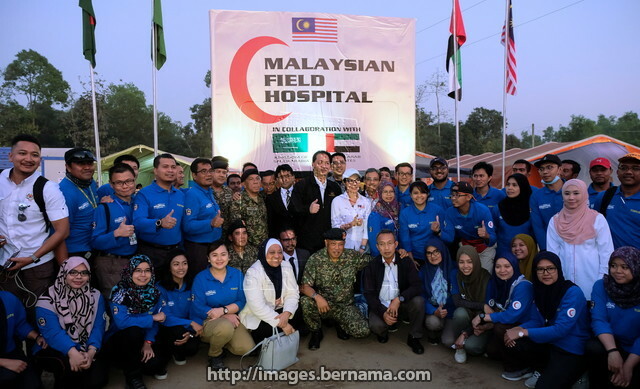 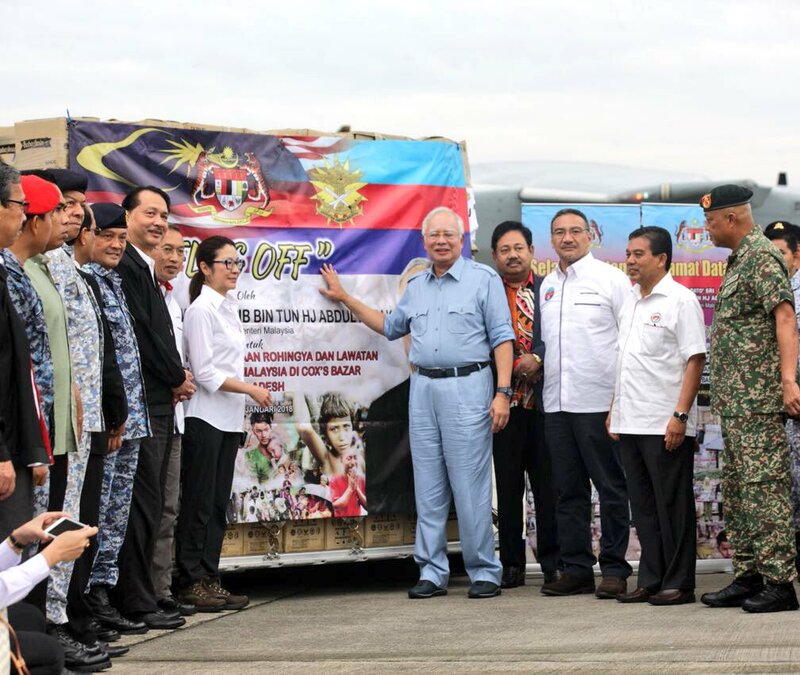 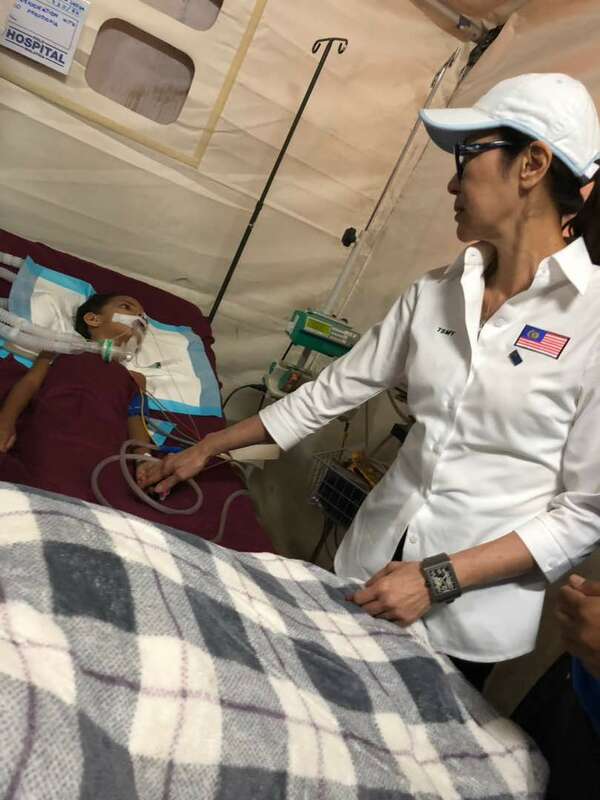 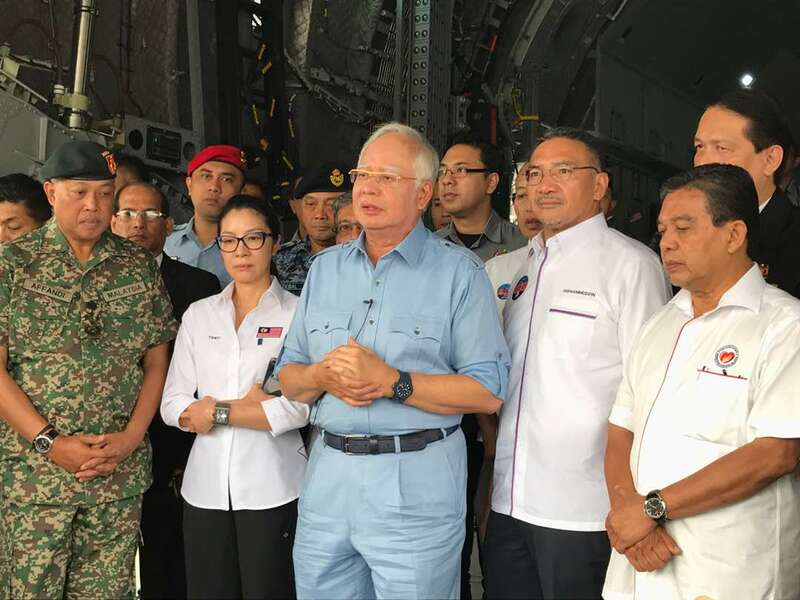 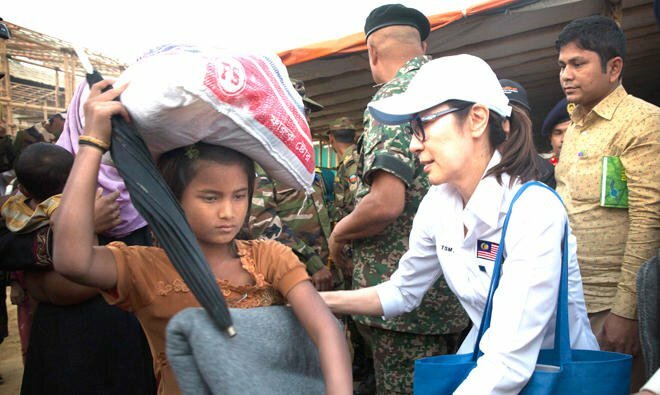 - Michelle joins a special delegation to Bangladesh on Malaysia's Rohingya Humanitarian Aid Mission, January 27th. 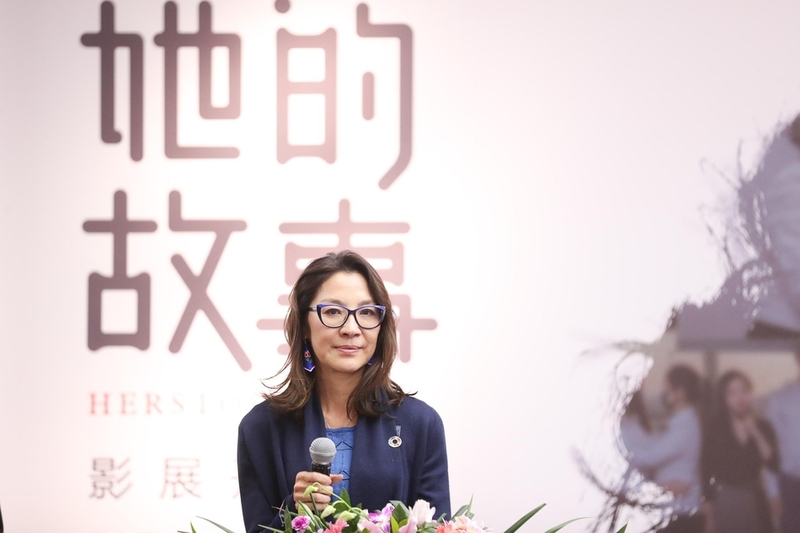 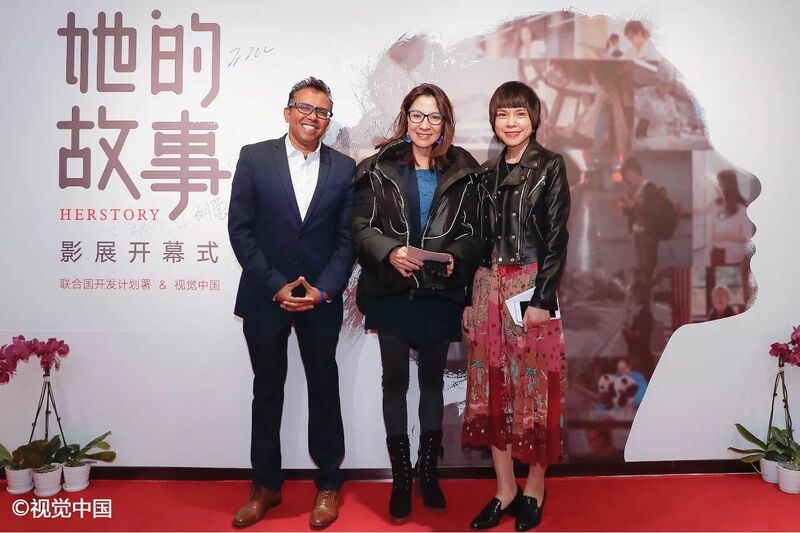 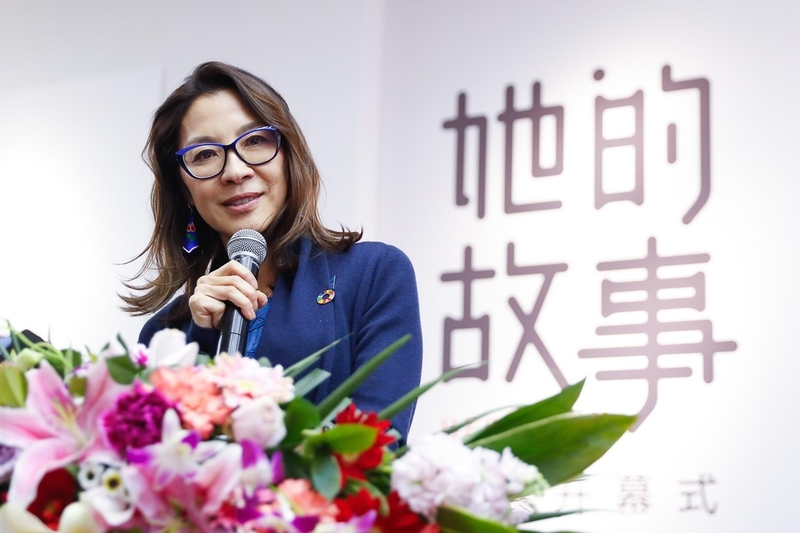 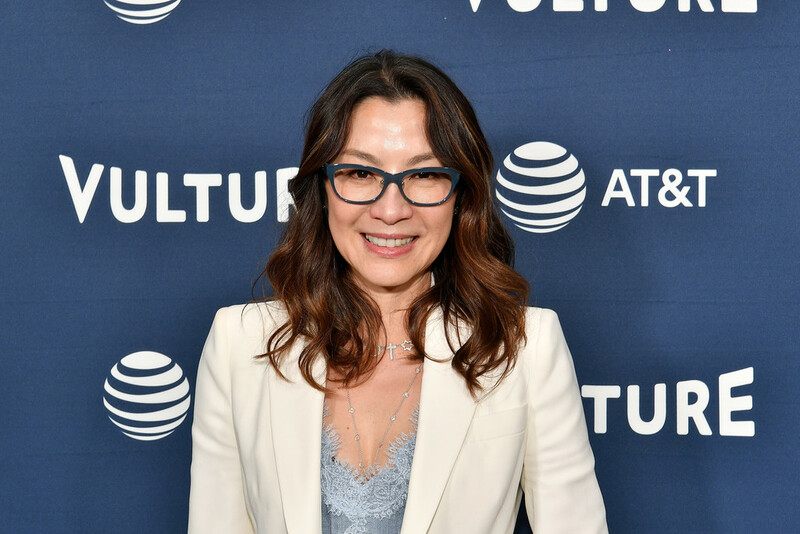 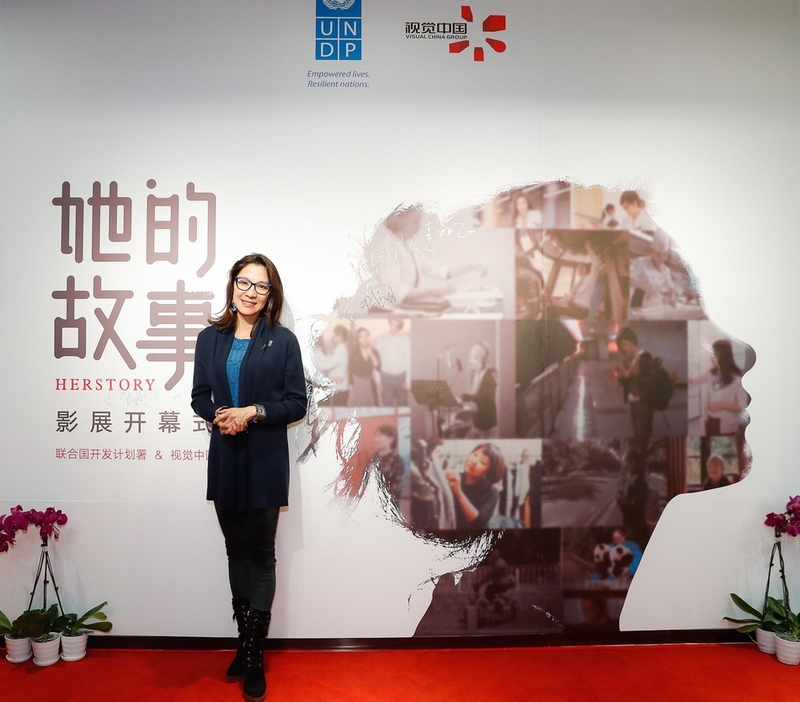 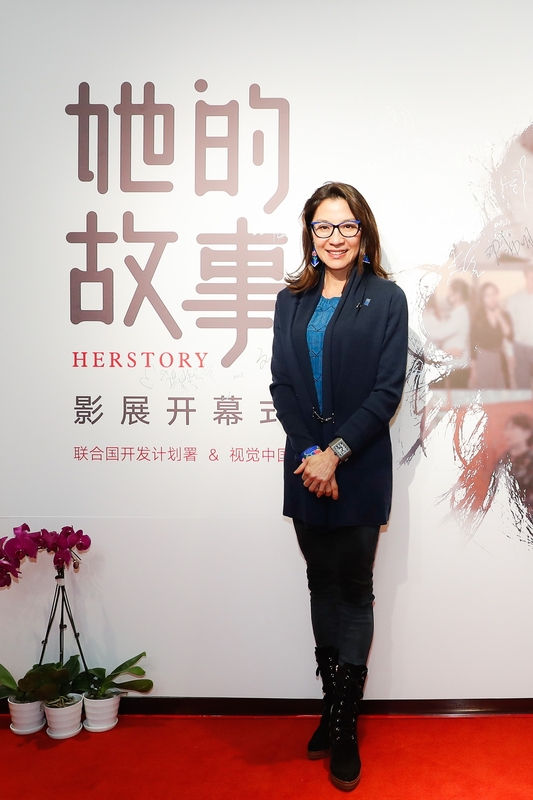 - January 23rd: Michelle gave opening remarks at the "Her Story" film festival in Beijing, organised by UNDP (United Nations Development Programme) and Visual China to promote gender equality in the workplace. 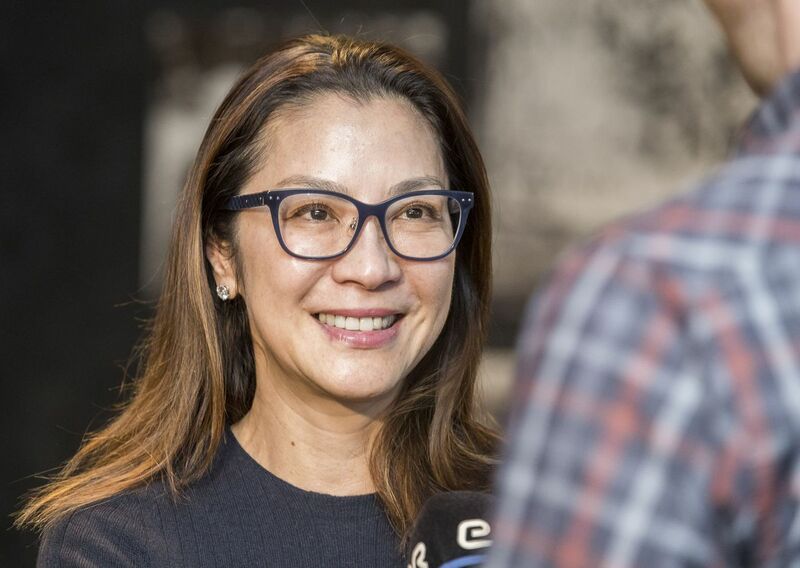 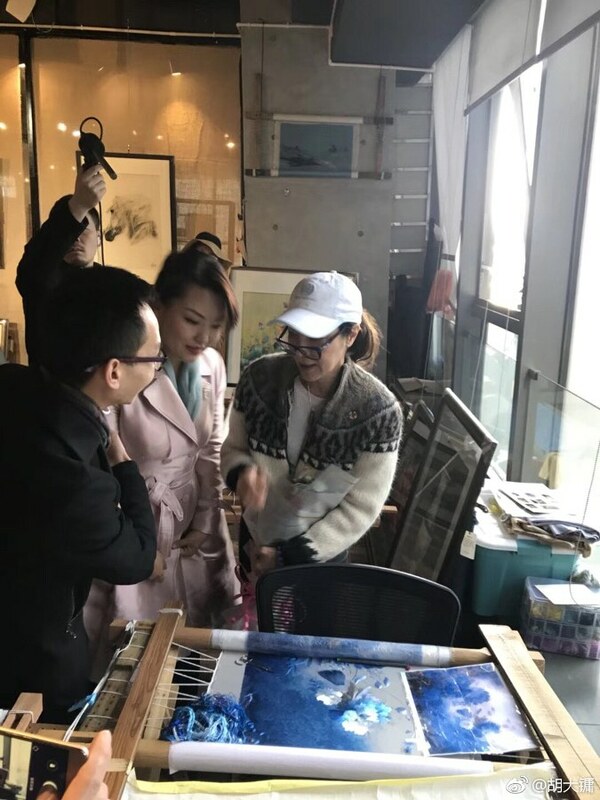 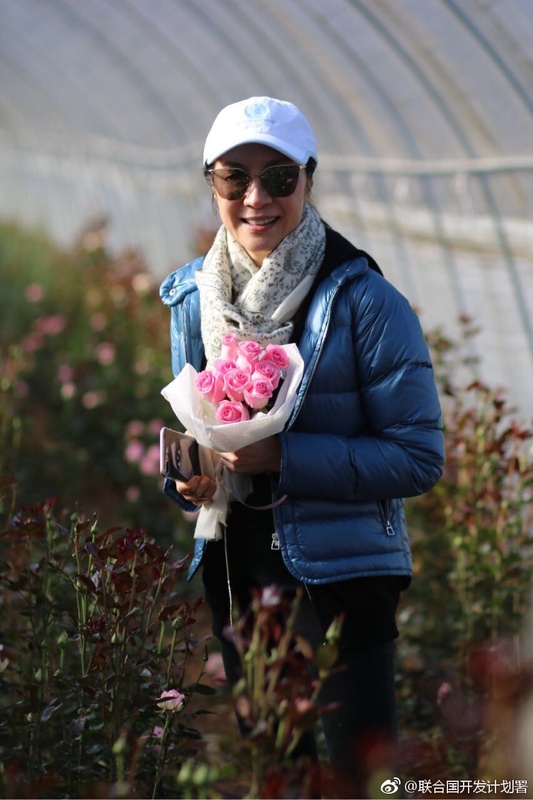 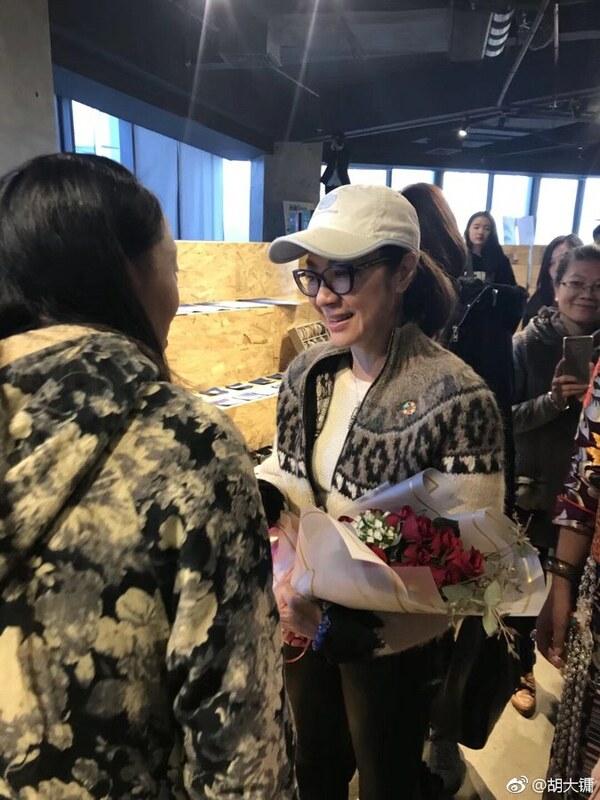 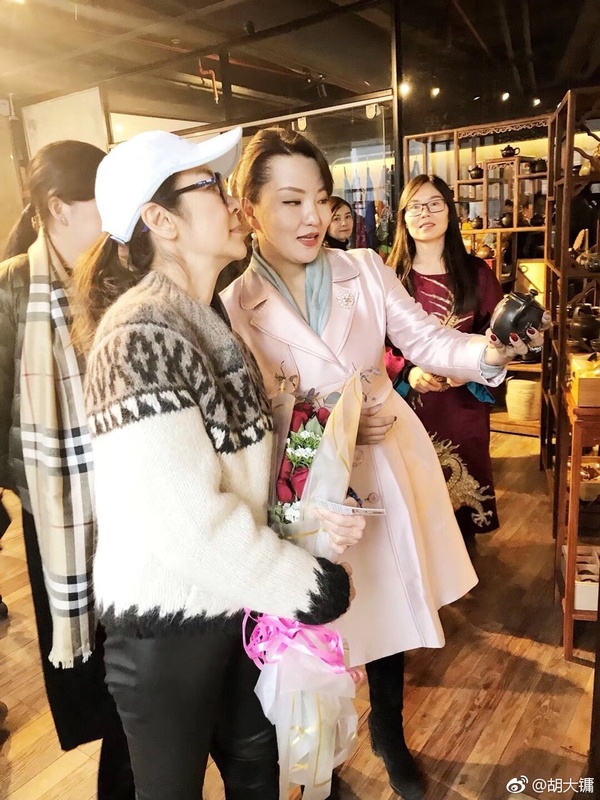 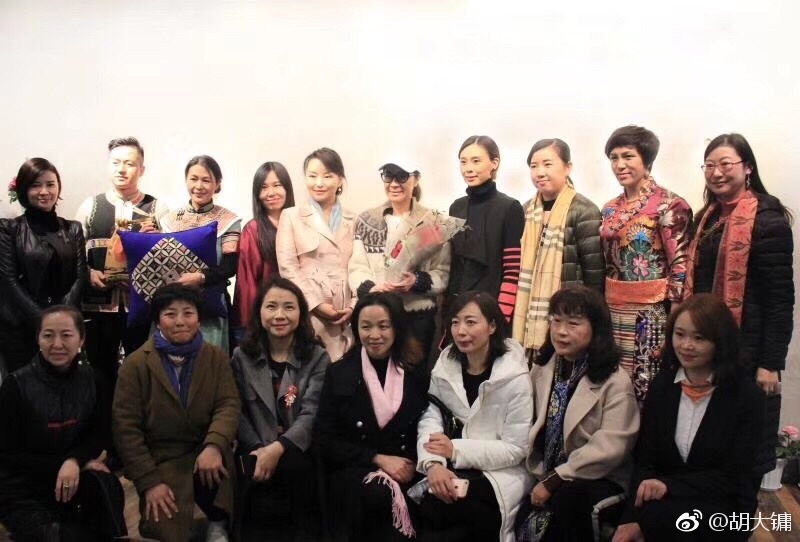 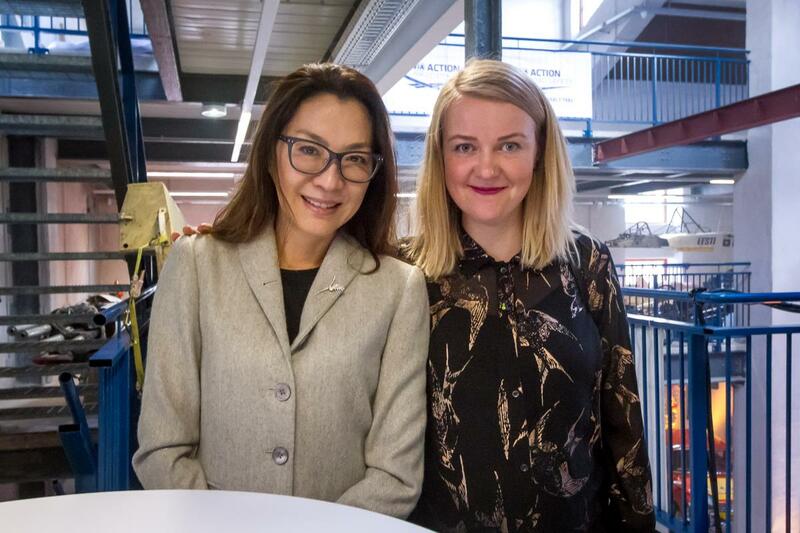 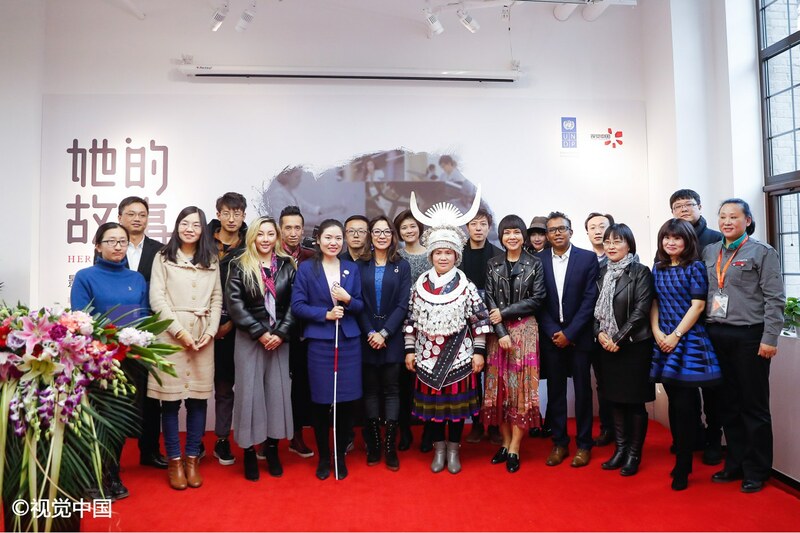 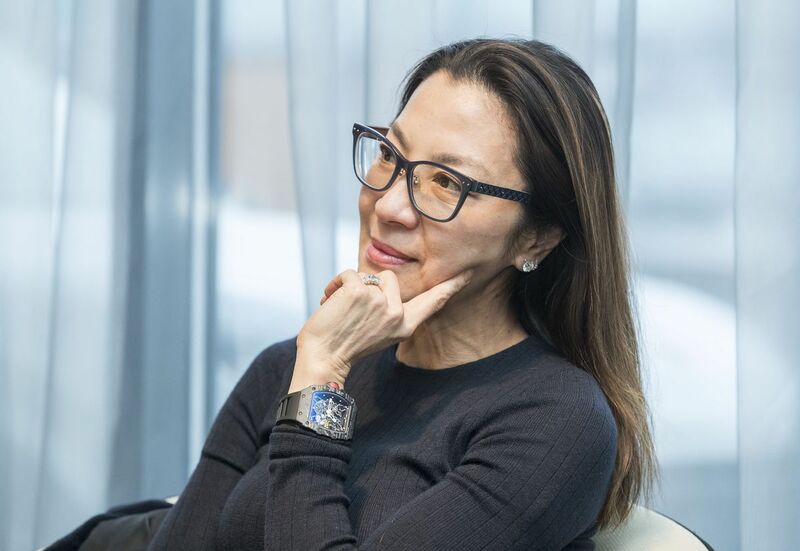 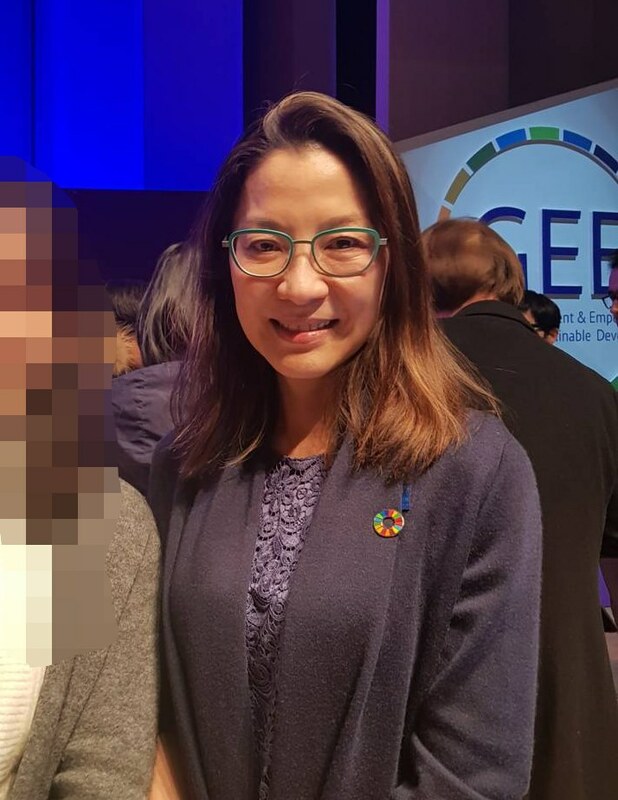 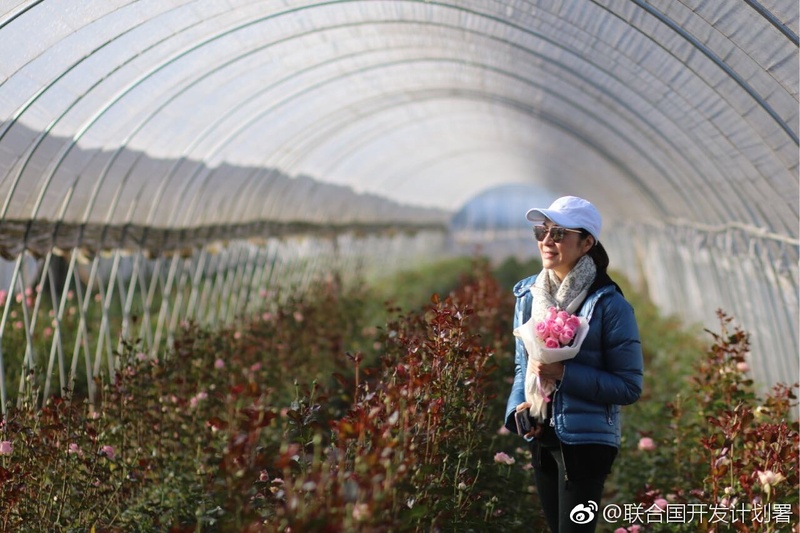 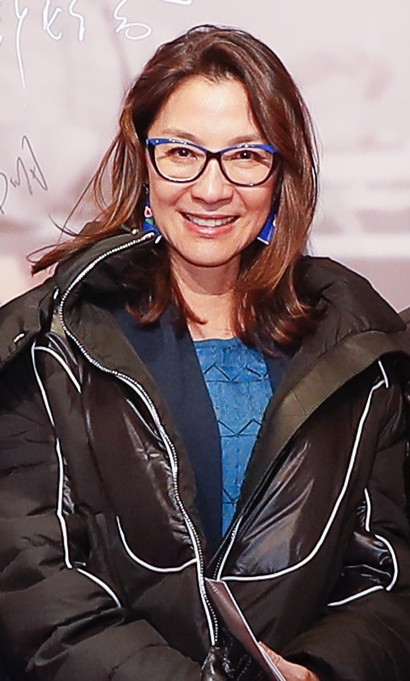 - January 21st: Michelle visiting Innovation Center for Women in Kunming City, Yunnan Province, China. 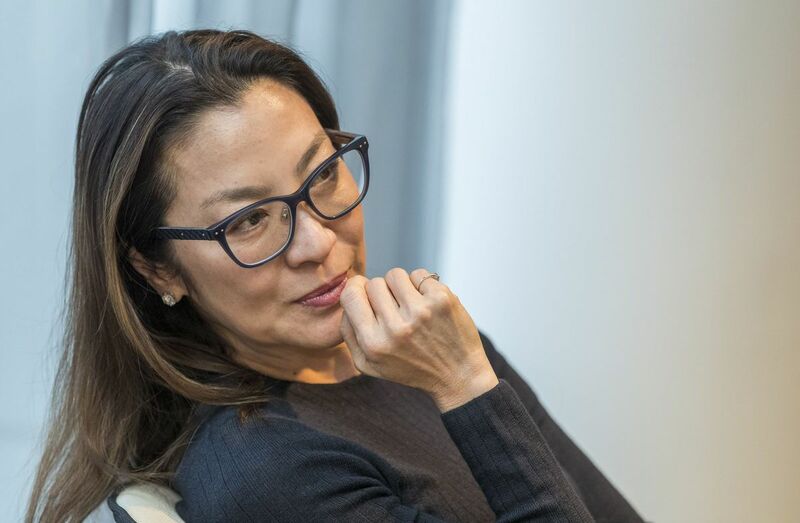 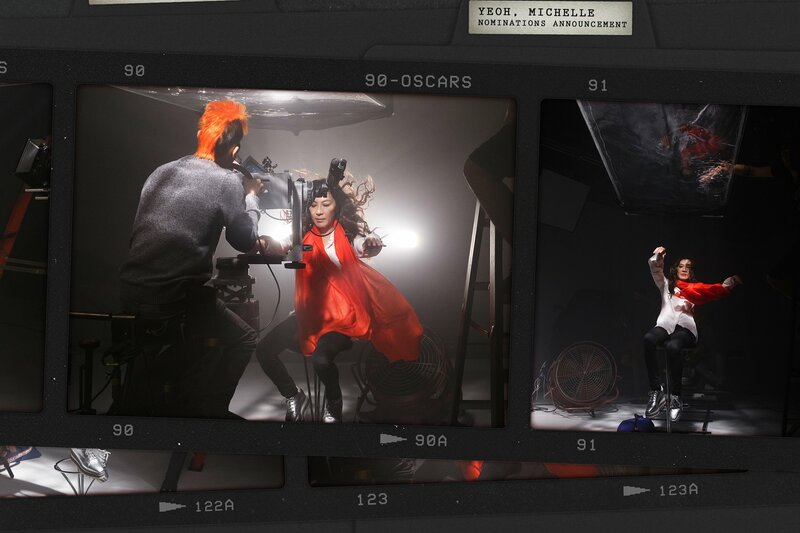 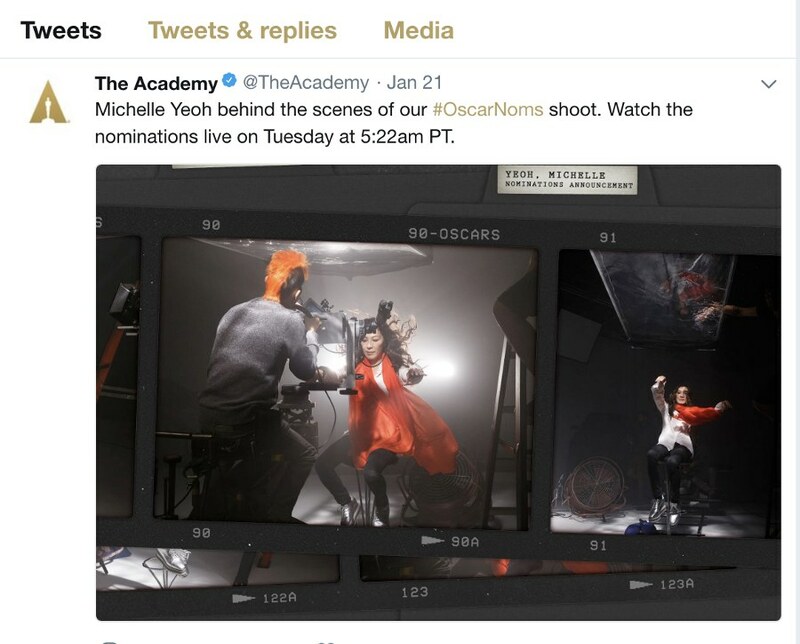 - Michelle will be one of the actors who introduce this year's Oscar nominations. 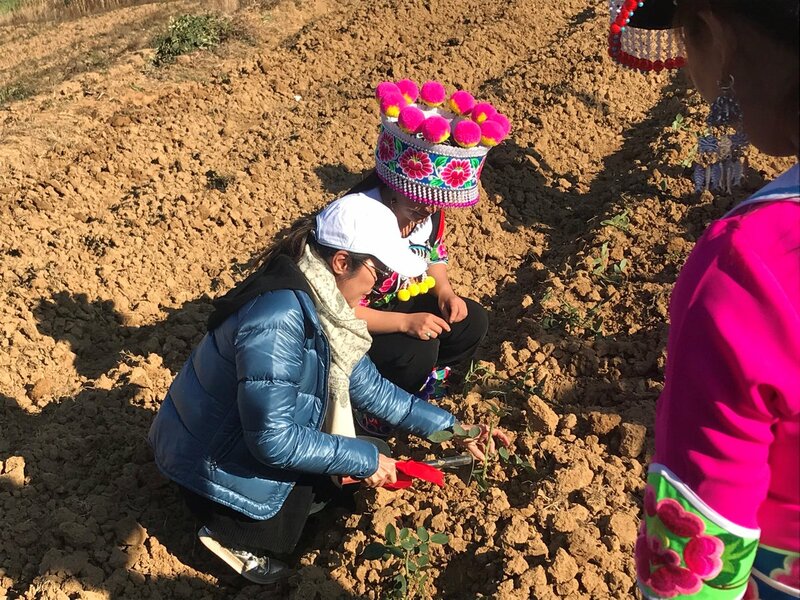 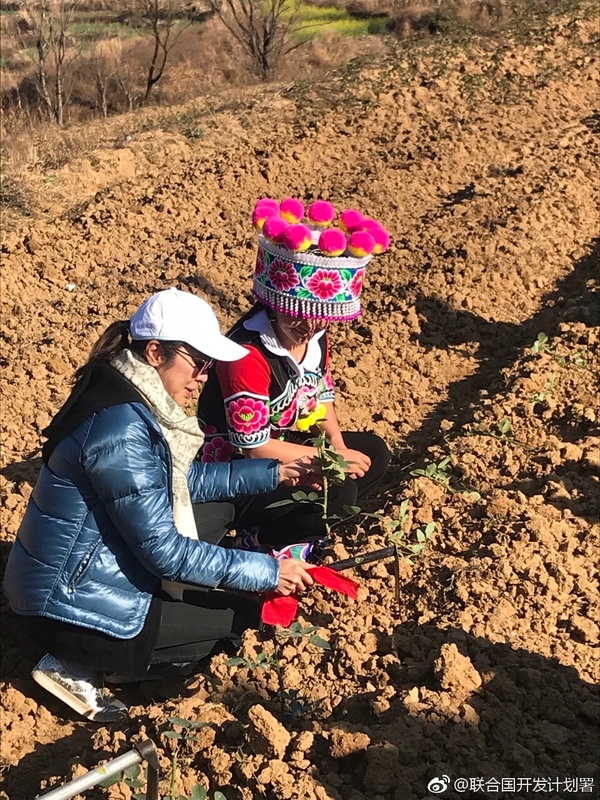 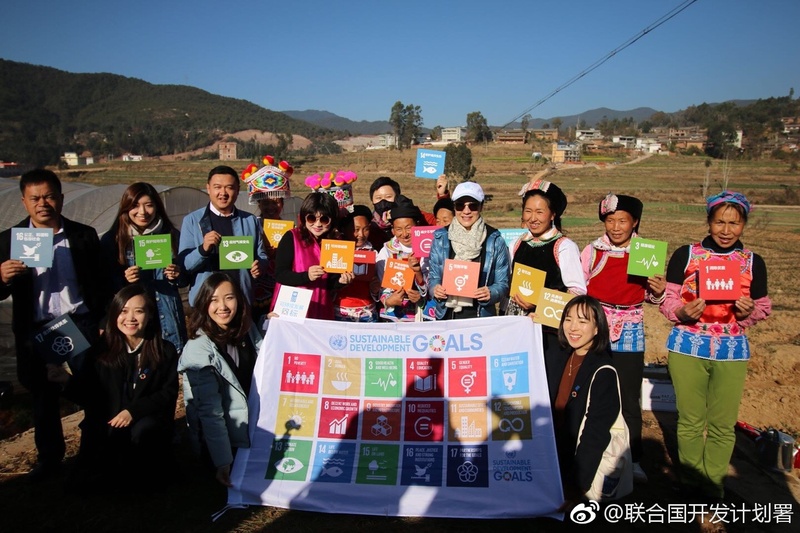 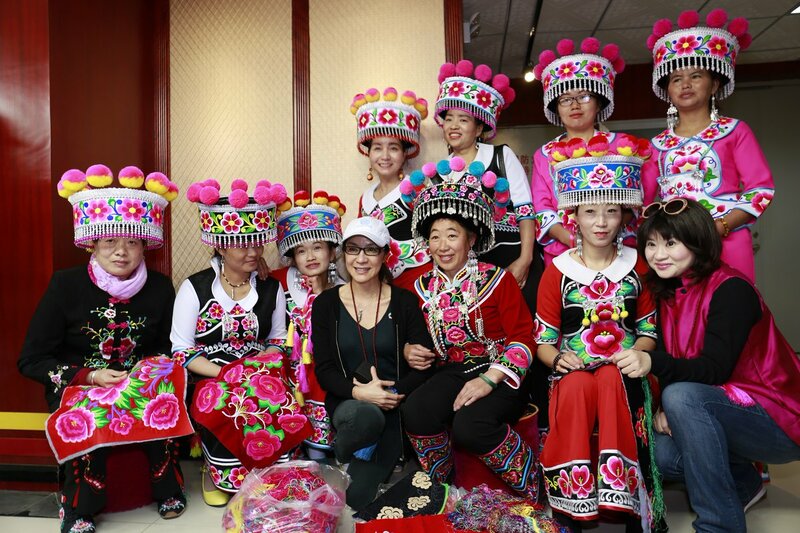 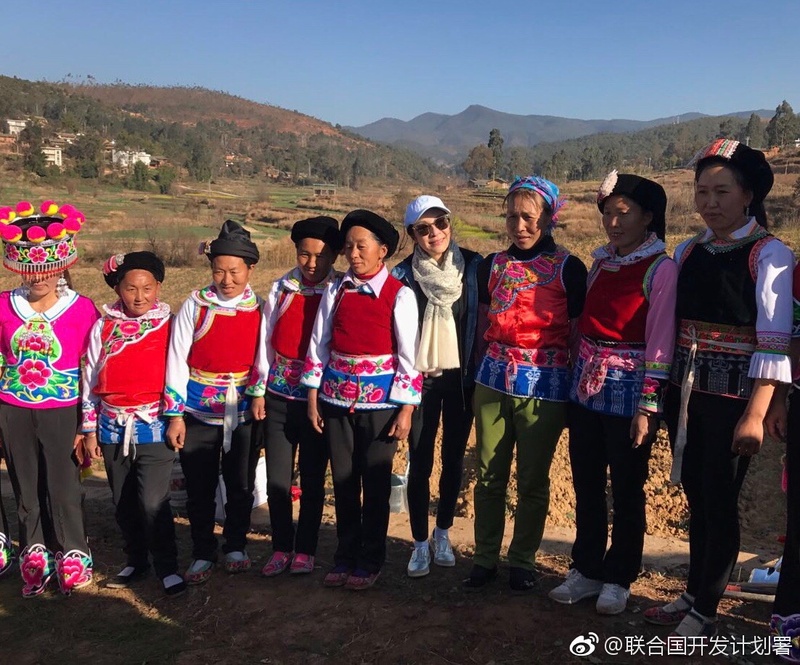 - Photos: Michelle, as UNDP Goodwill Ambassador, visited the Yi ethnic minority in Yunnan, China, January 20th. 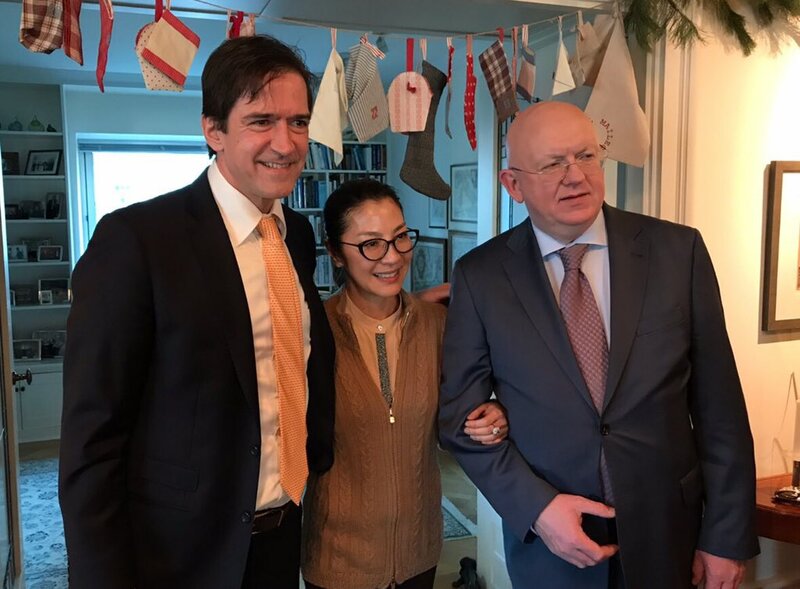 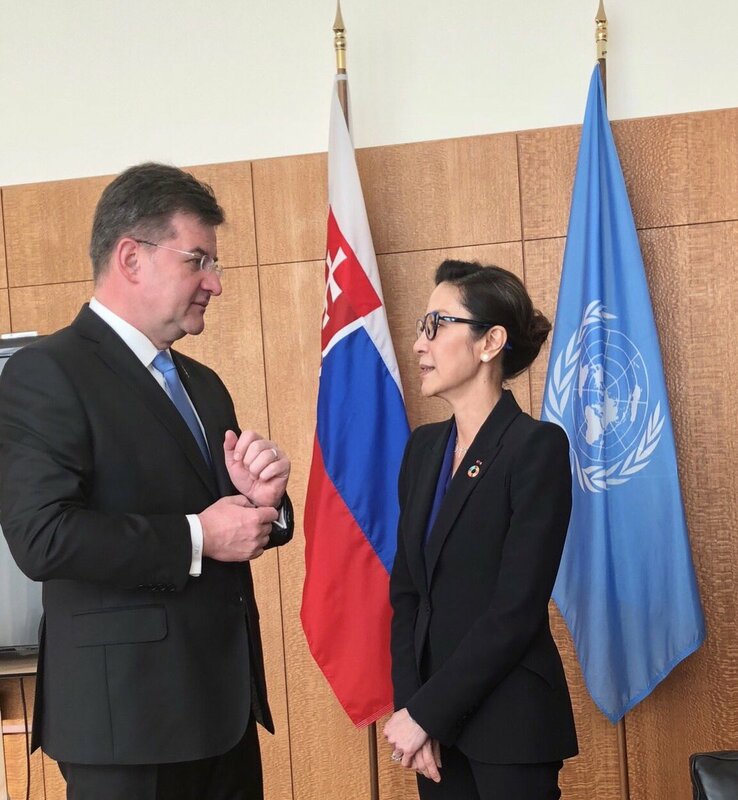 - Meeting with Miroslav Lajcak, president of the 72nd Session of the UN General Assembly, on global road safety, UN headquarters in NYC, January 11th. 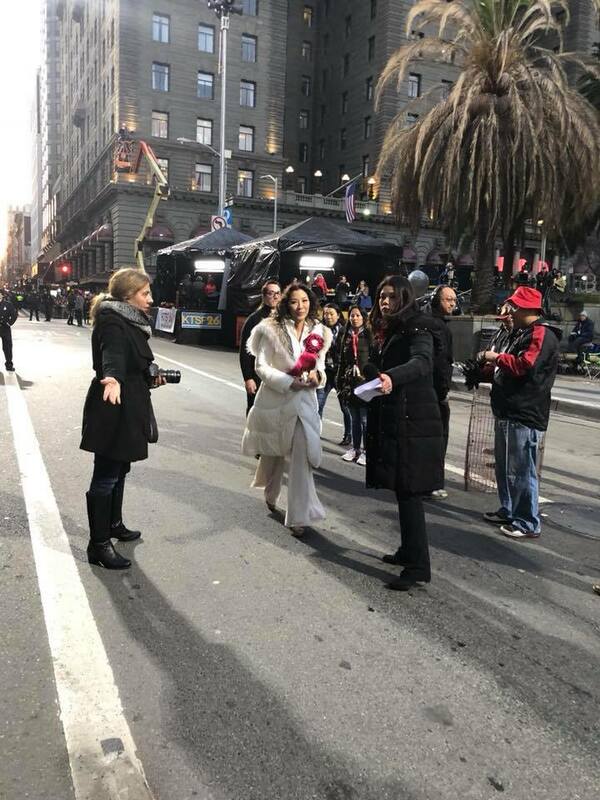 - New York, January 10th.